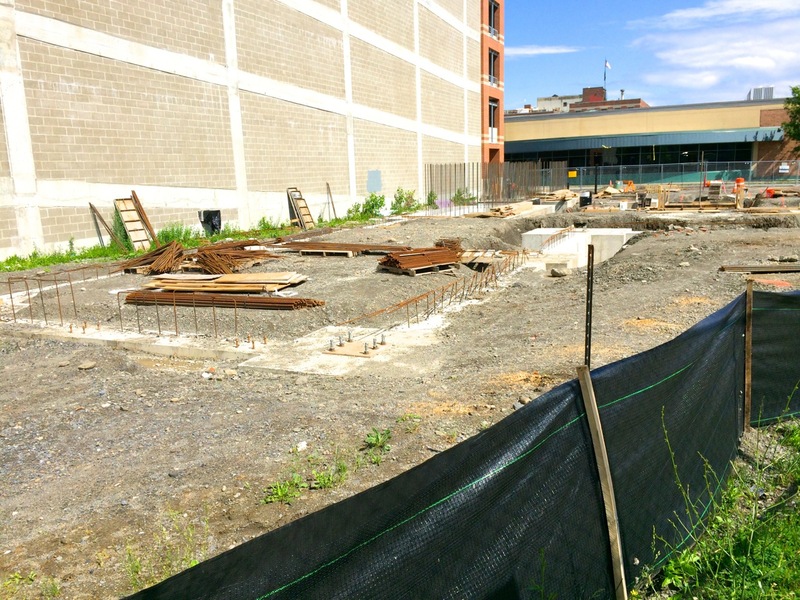 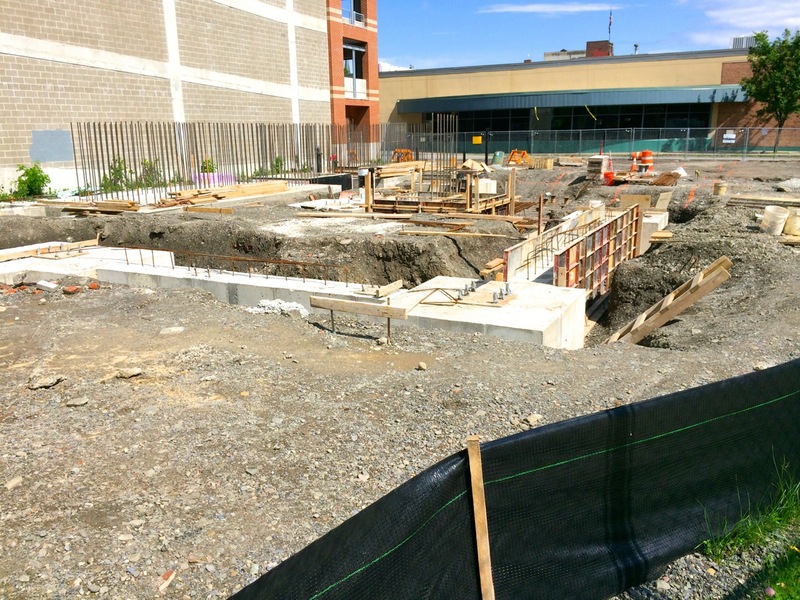 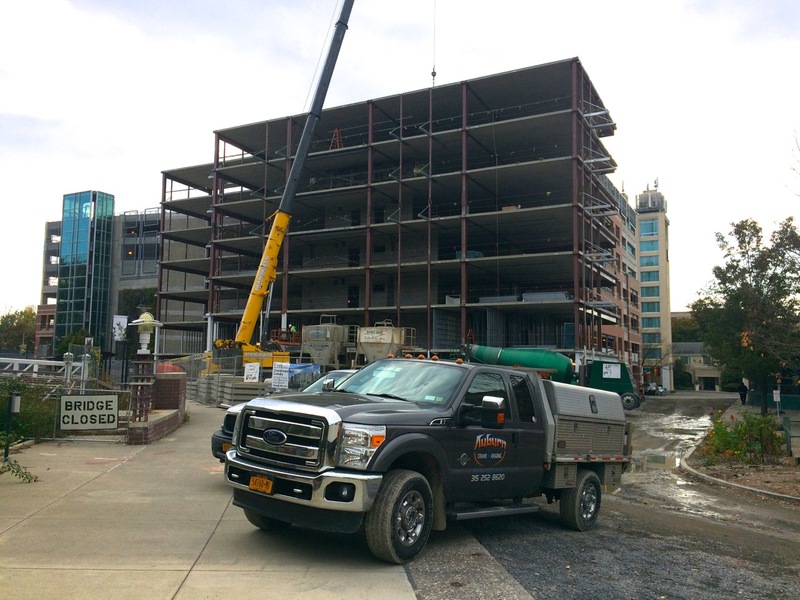 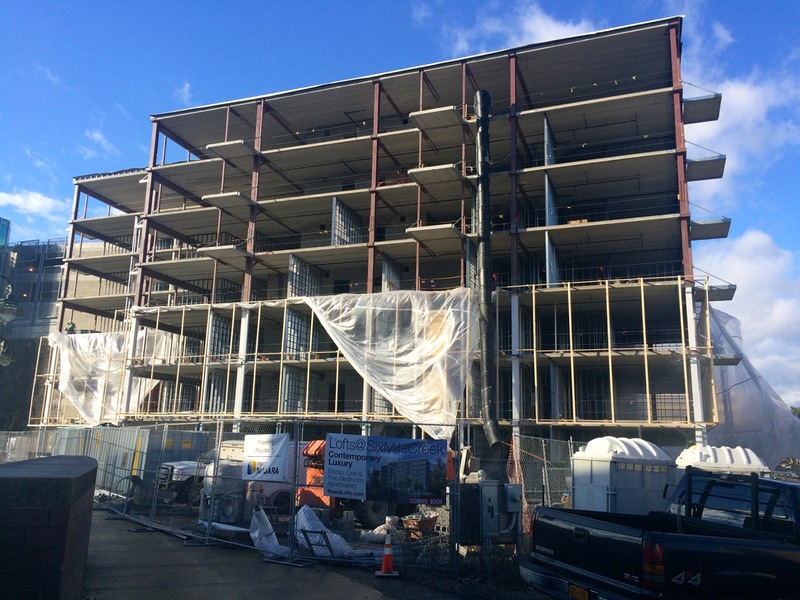 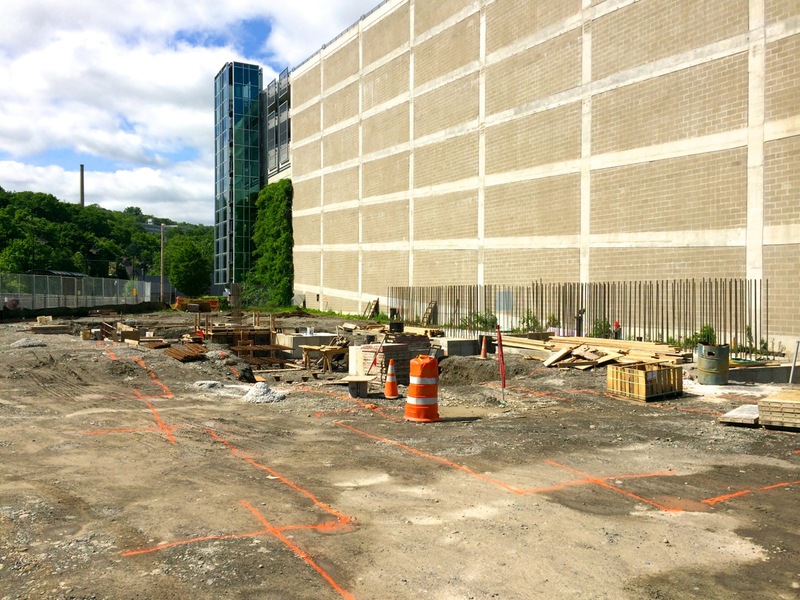 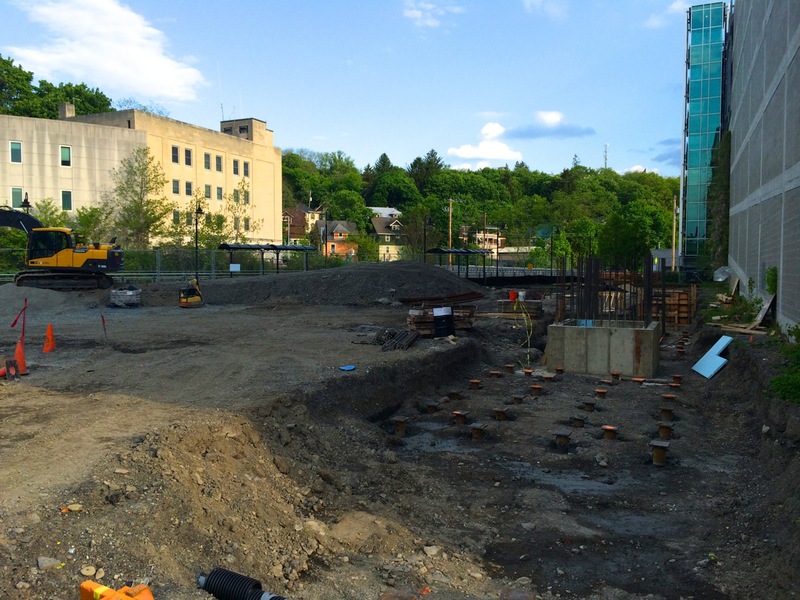 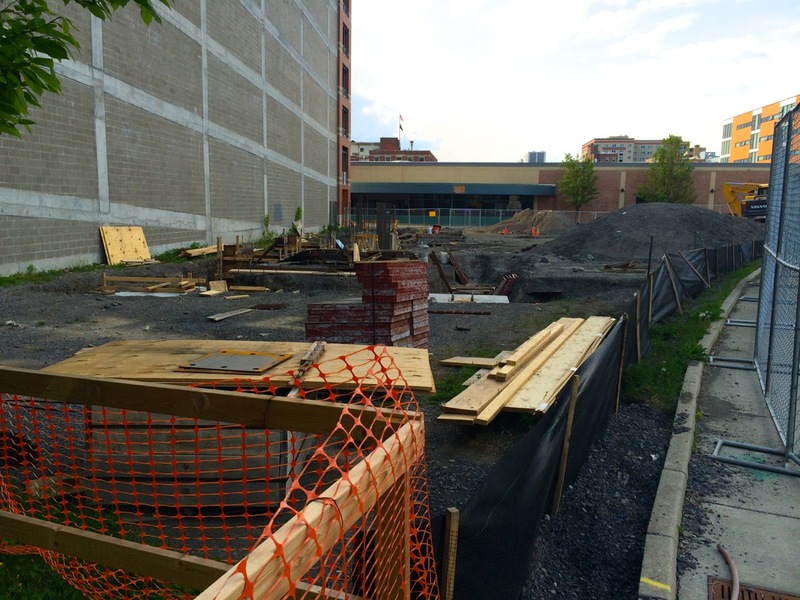 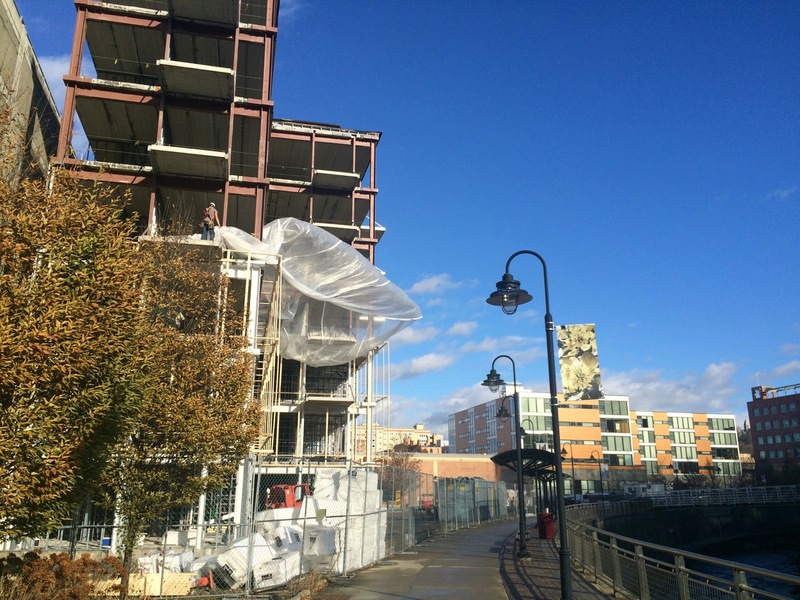 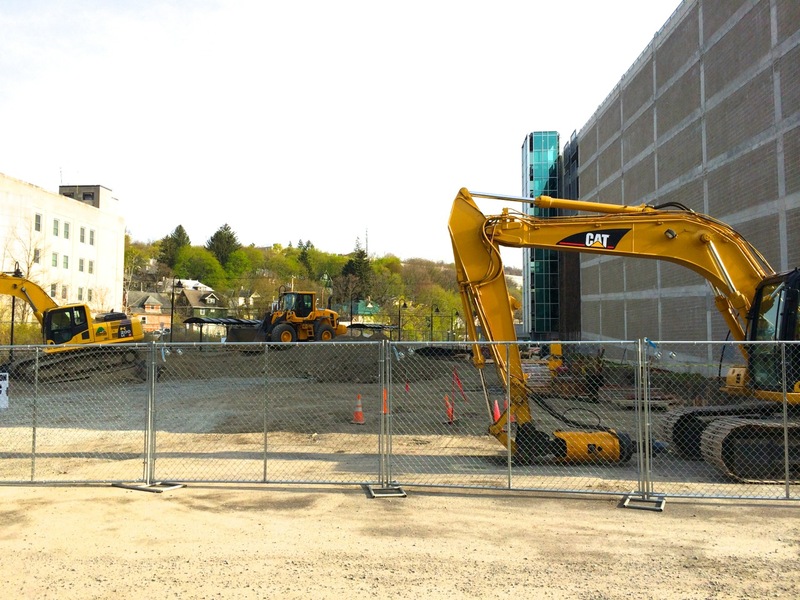 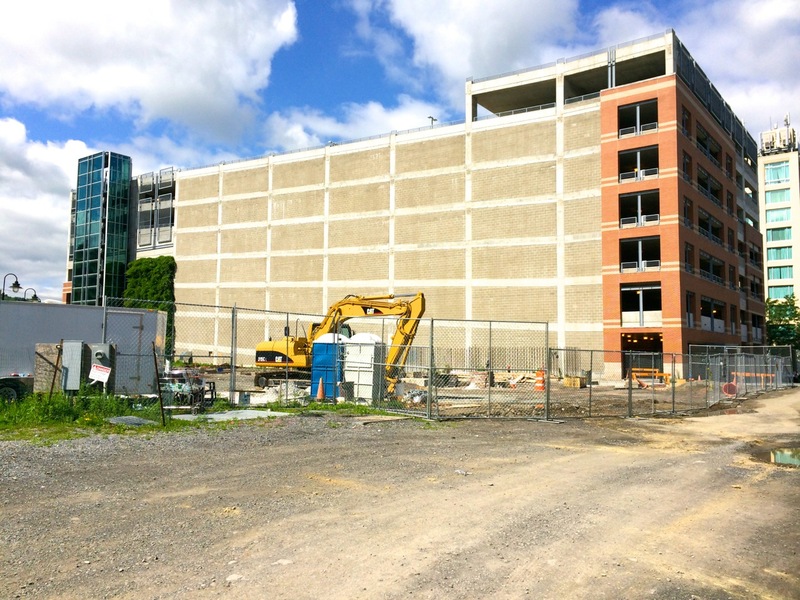 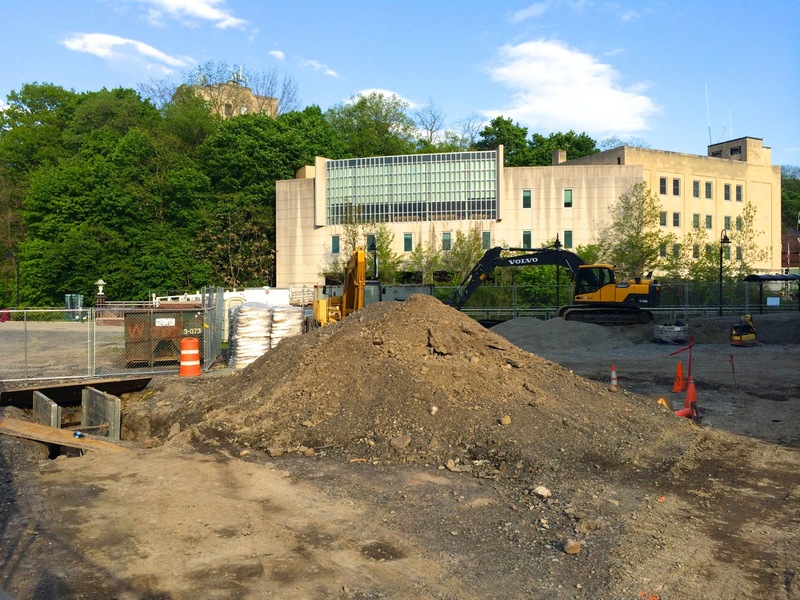 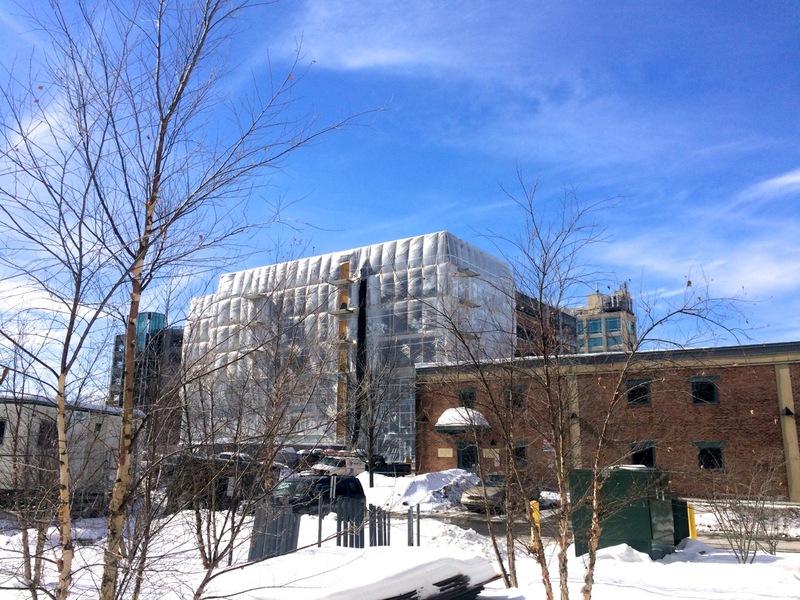 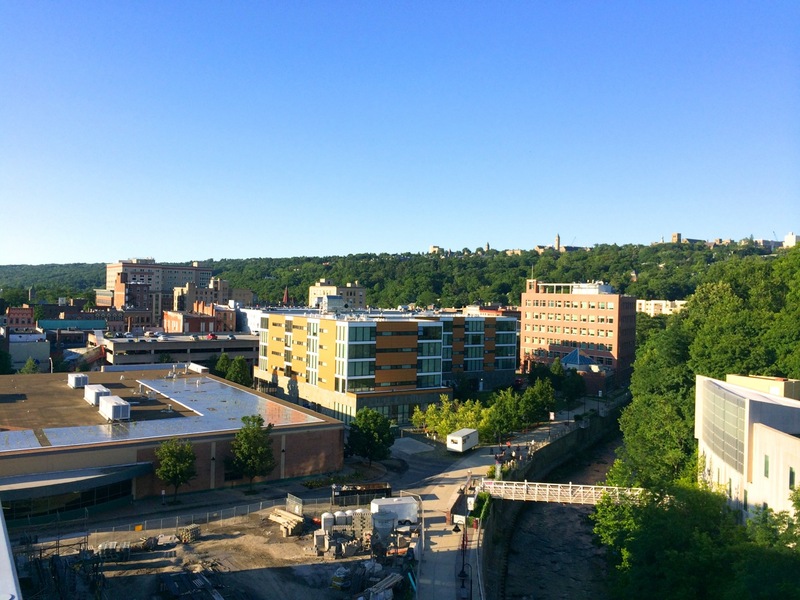 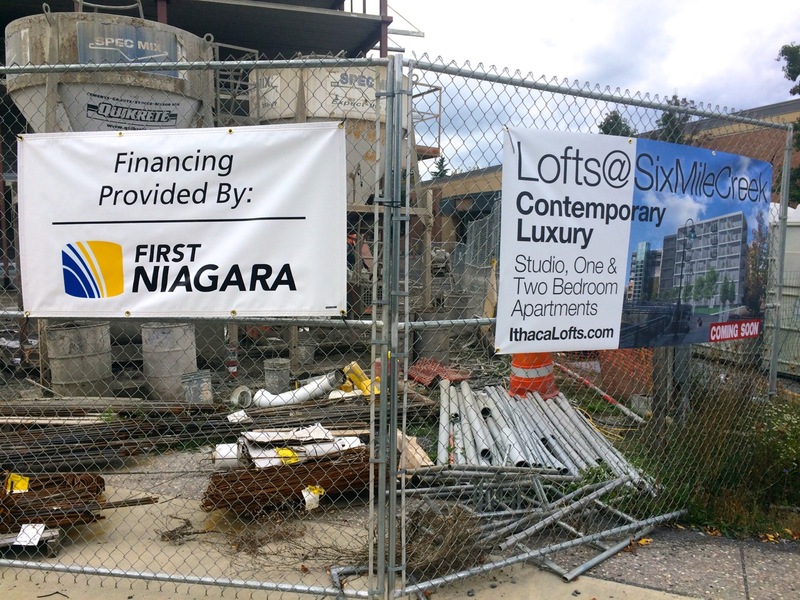 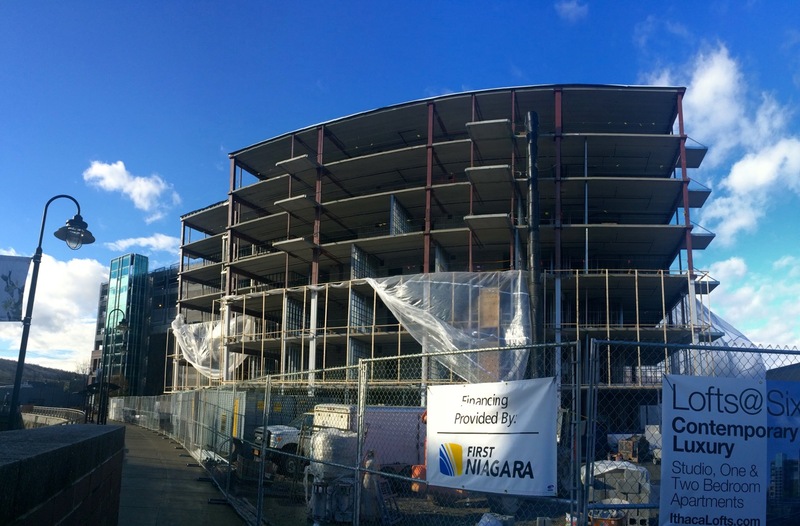 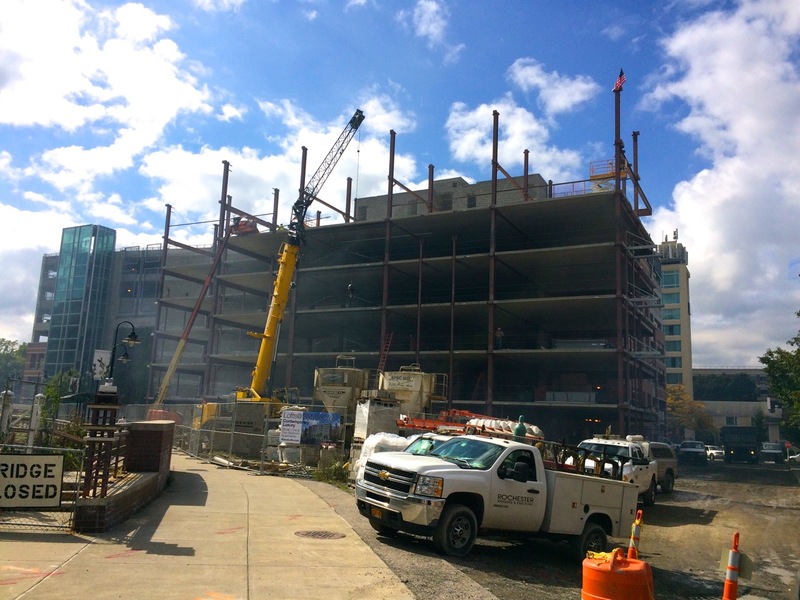 Foundation work by Turnbull-Wahlert Construction has progressed on Bloomfield/Schon + Partners‘ 45-unit Cayuga Place Residences project, as the foundation pours have made their way west, then counter-clockwise around the footprint of the future building. 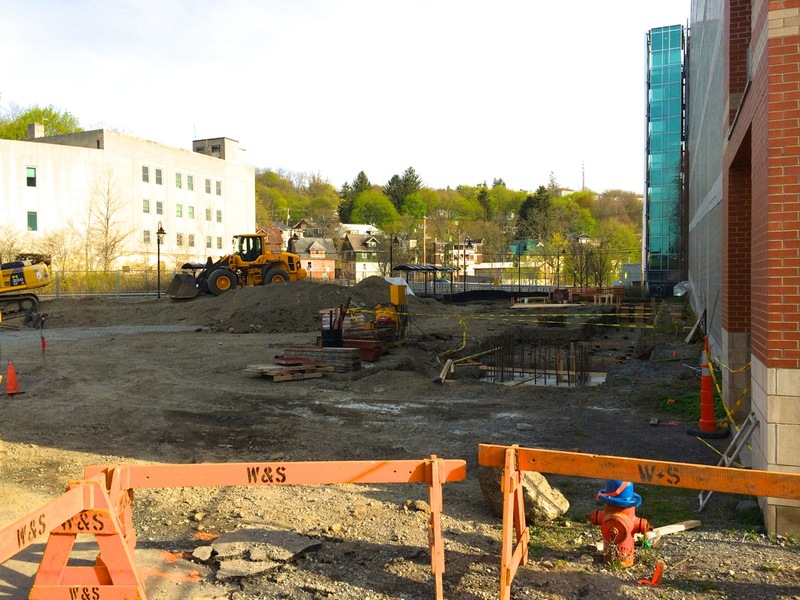 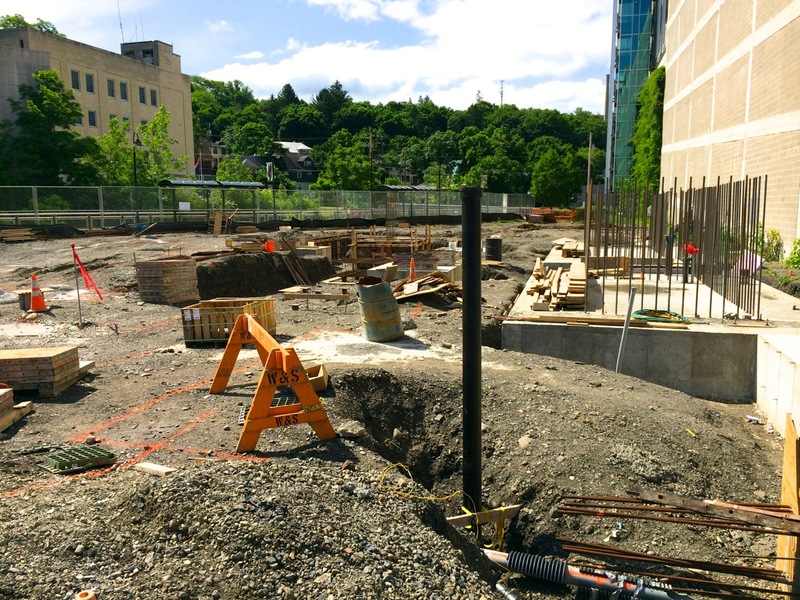 The foundation footings are being set on top of the STELCOR auger micro-piles for soil support, with rebar sticking-out to tie-in the walls as they’re built-up. 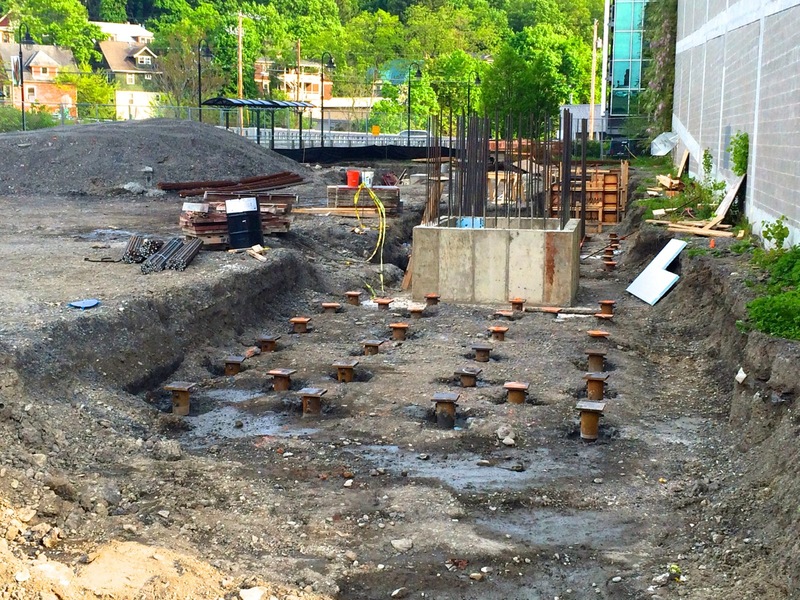 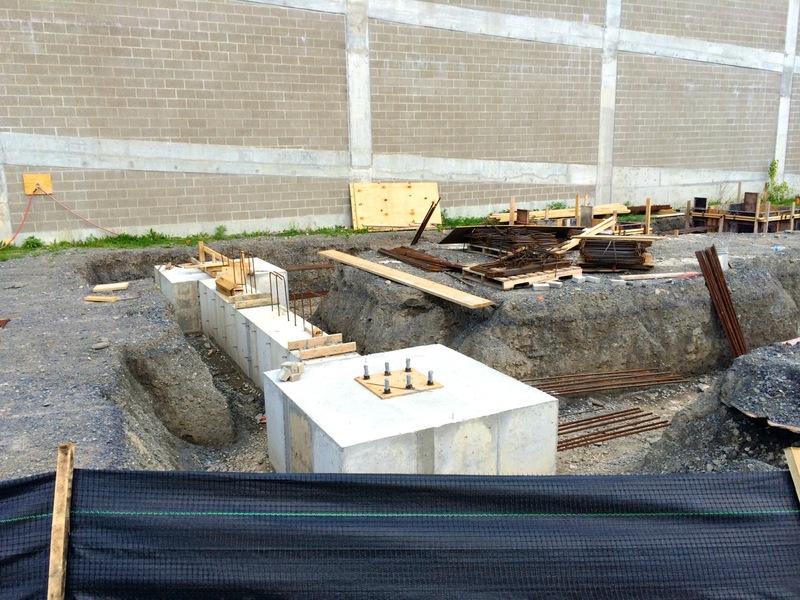 The foundation corners have plates with bolts on top of the footings for structural steel to form the building superstructure. 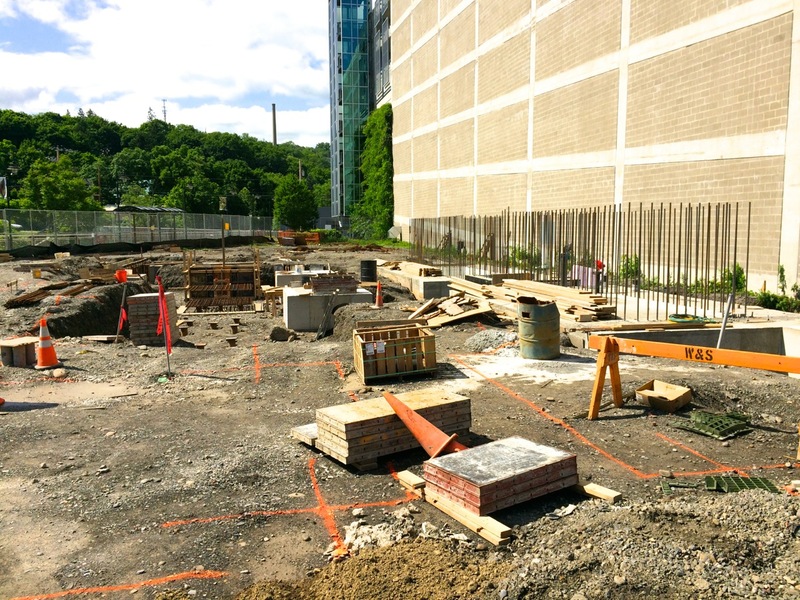 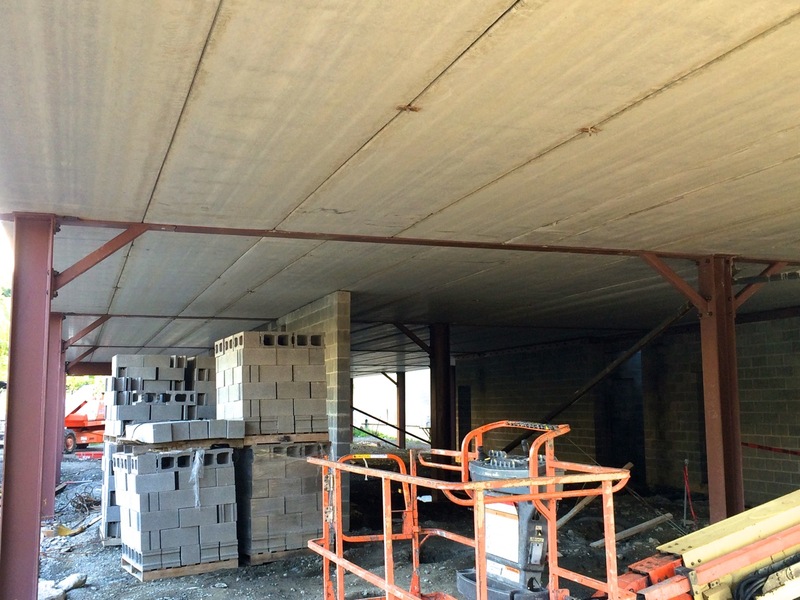 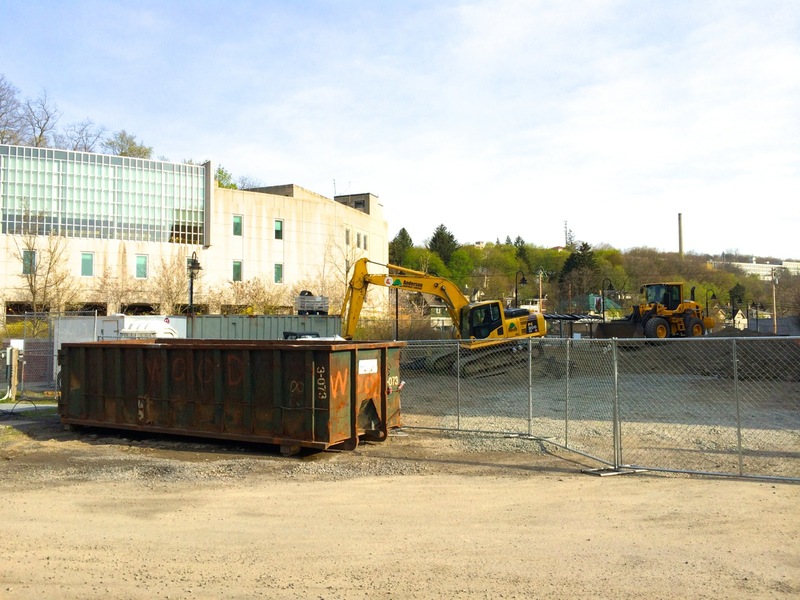 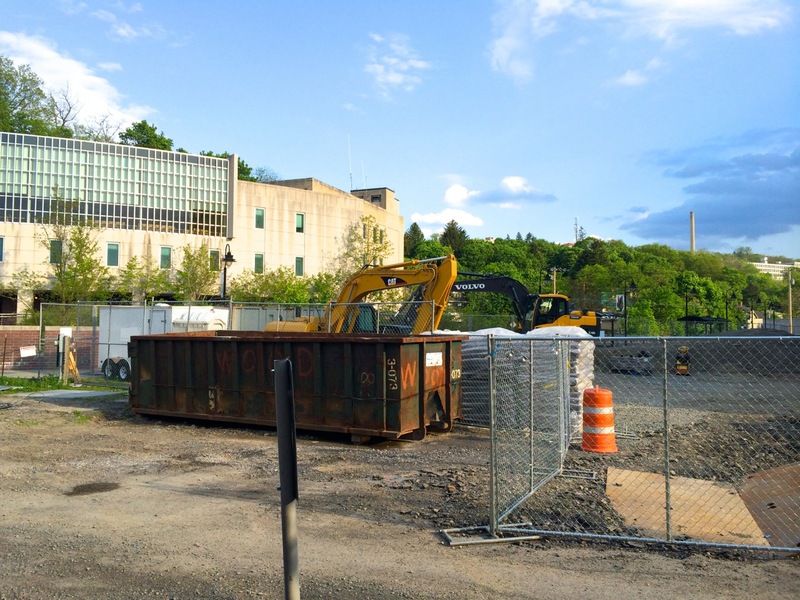 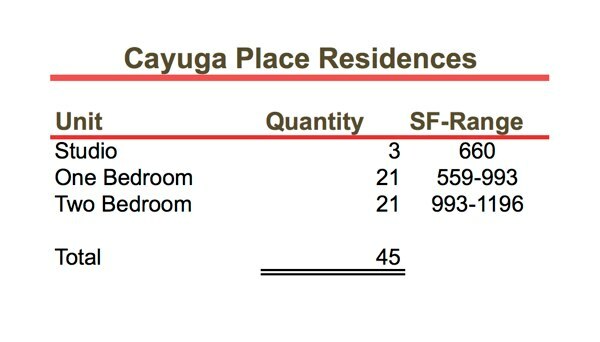 The foundation walls are poured in certain areas between these large rectangular footings at specific dimensions, according to the weight they will hold. 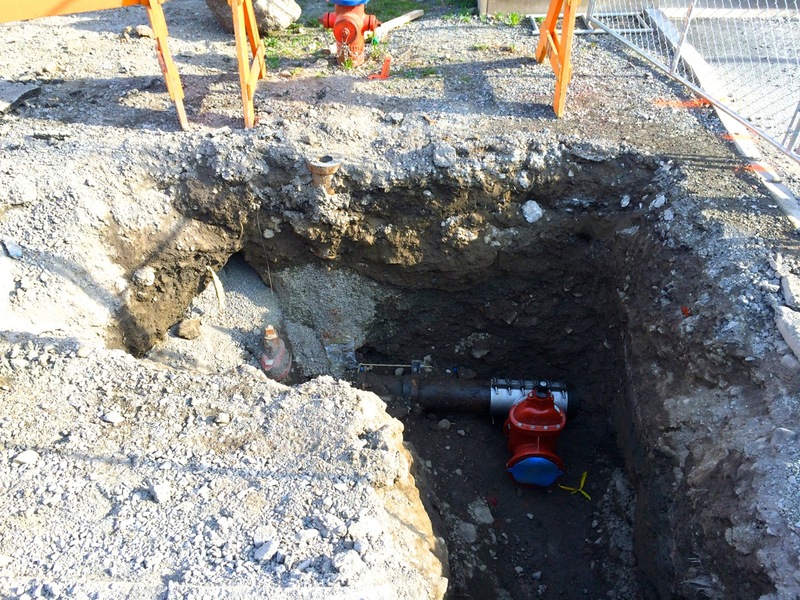 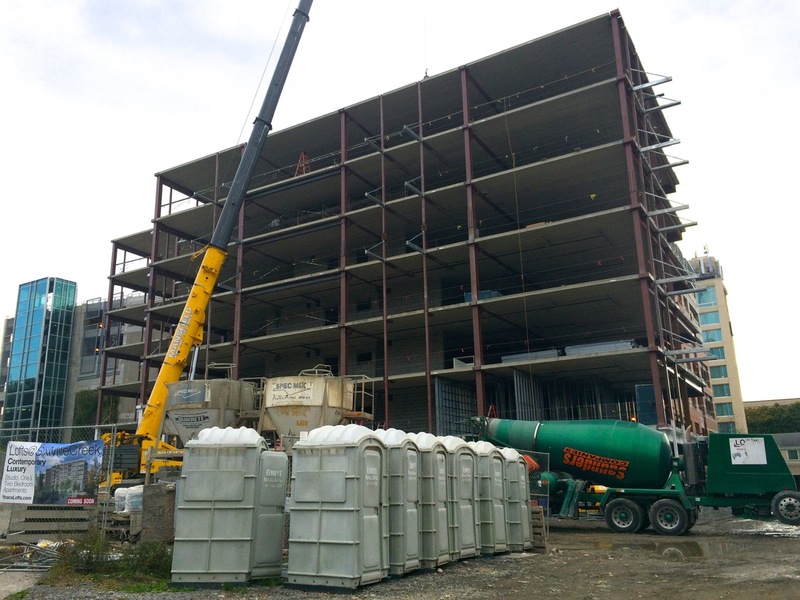 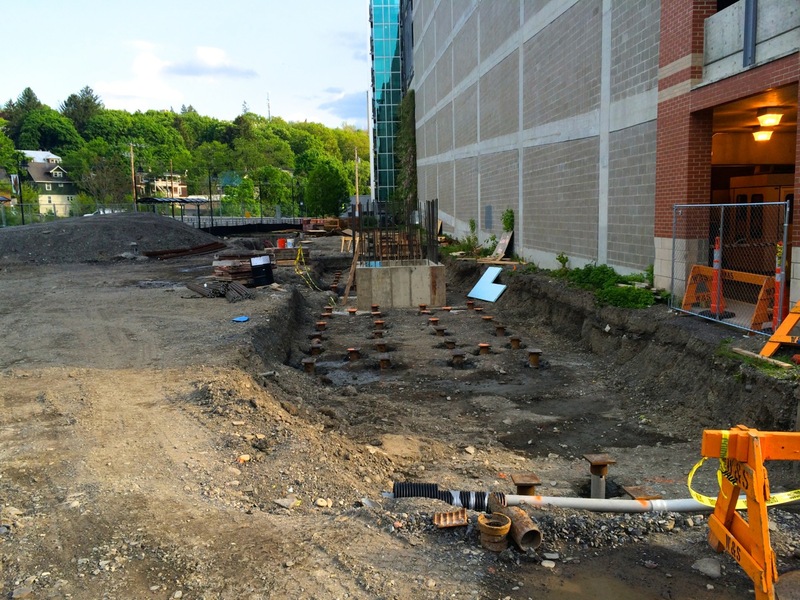 The footings supported by the micro-piles take the major point loads of the structure. 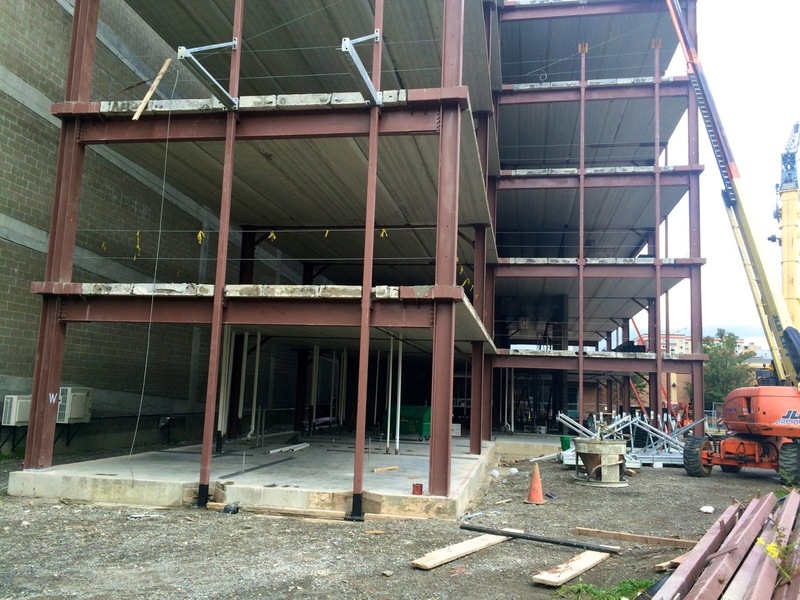 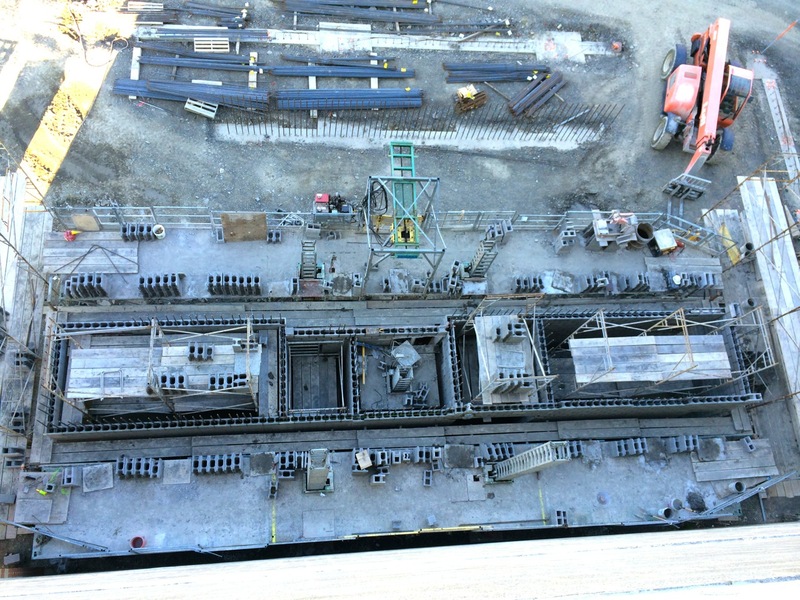 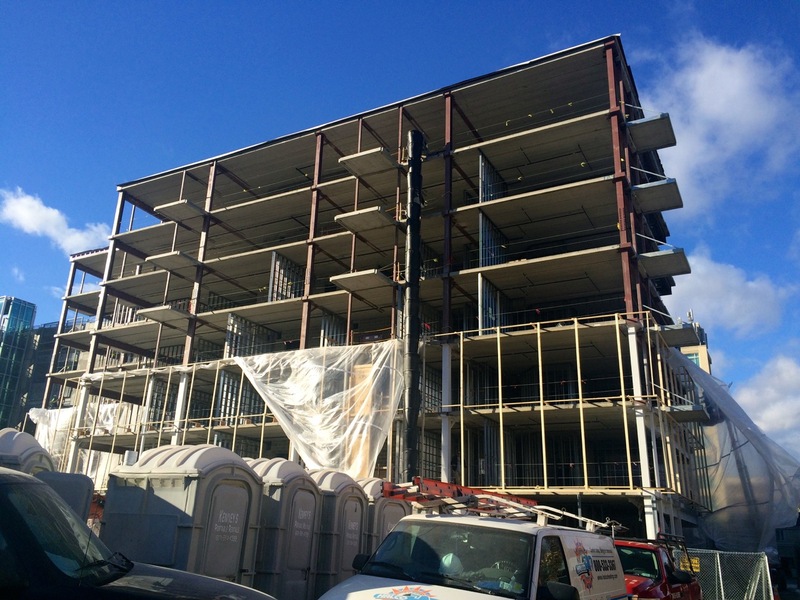 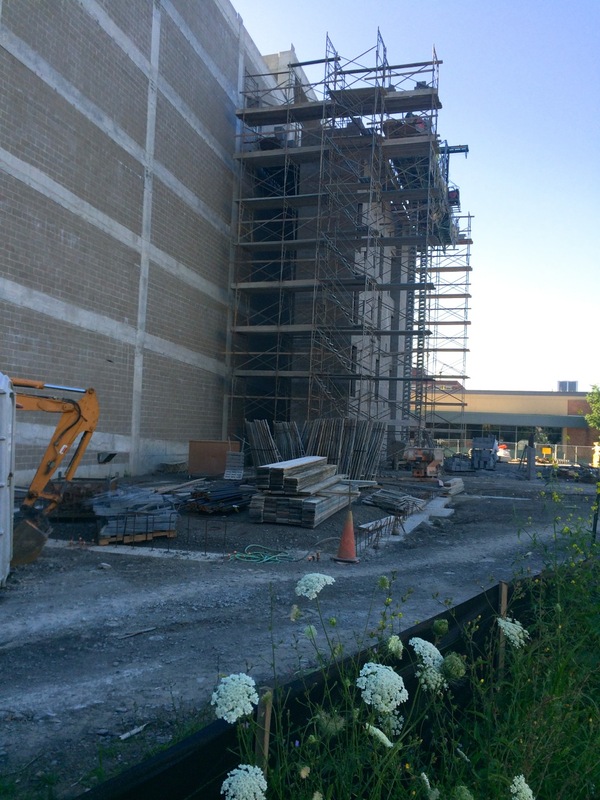 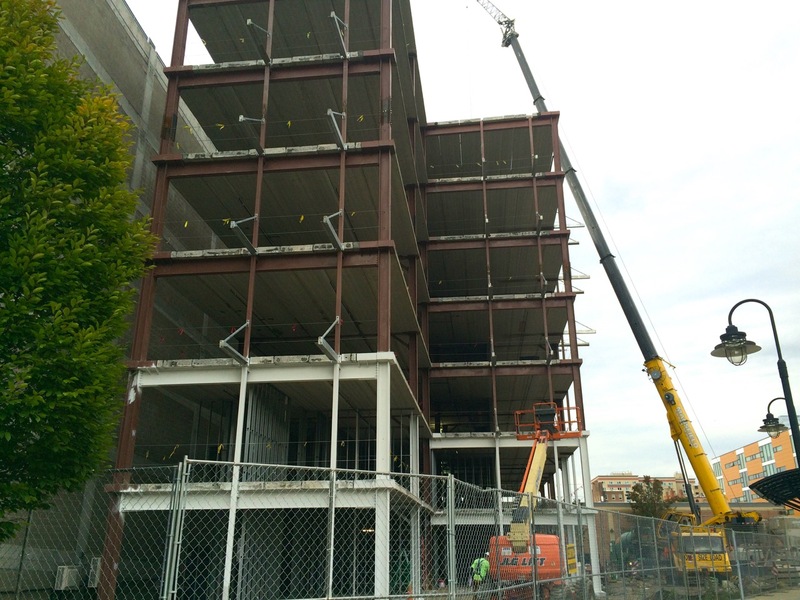 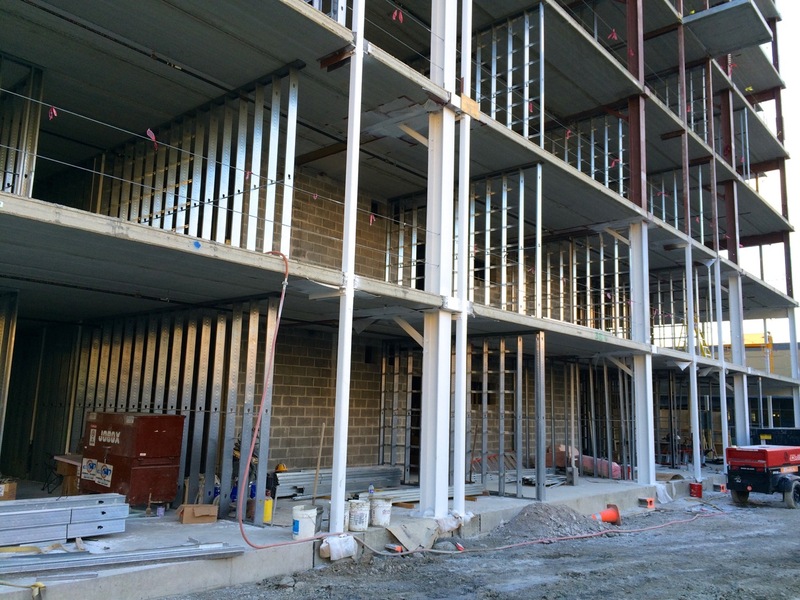 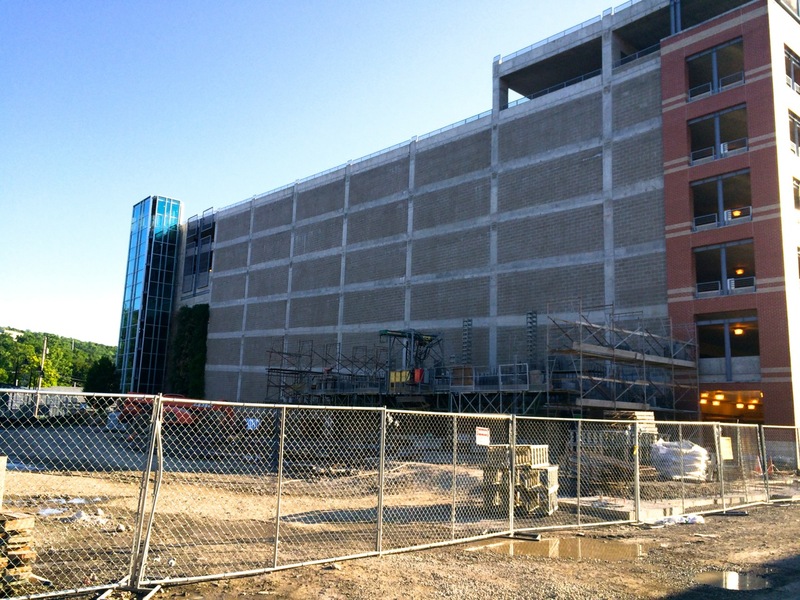 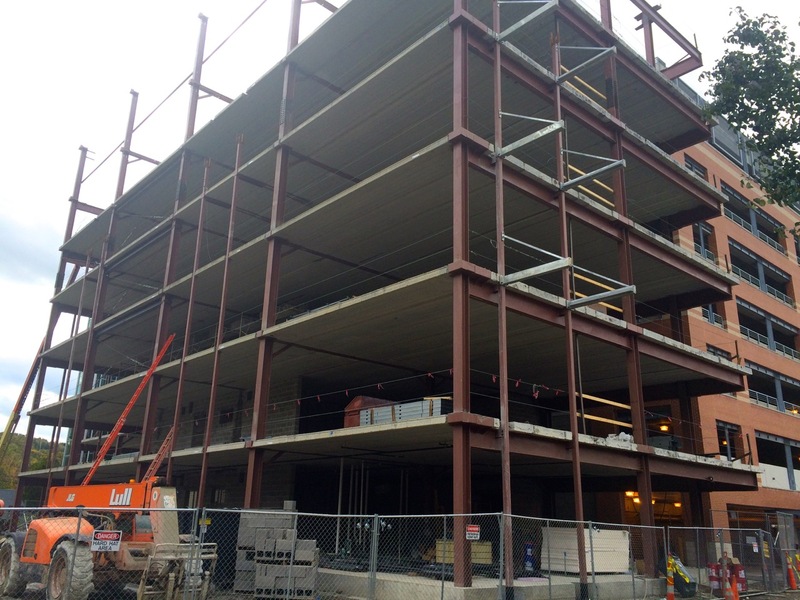 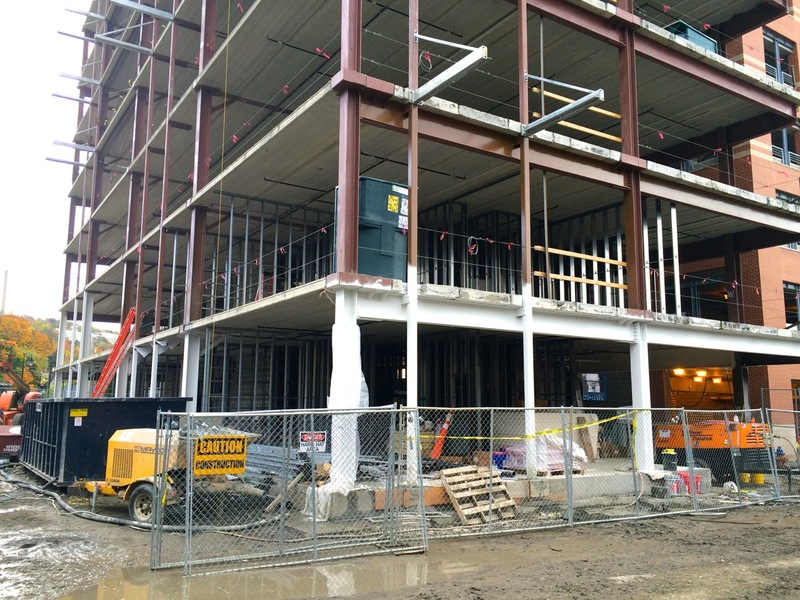 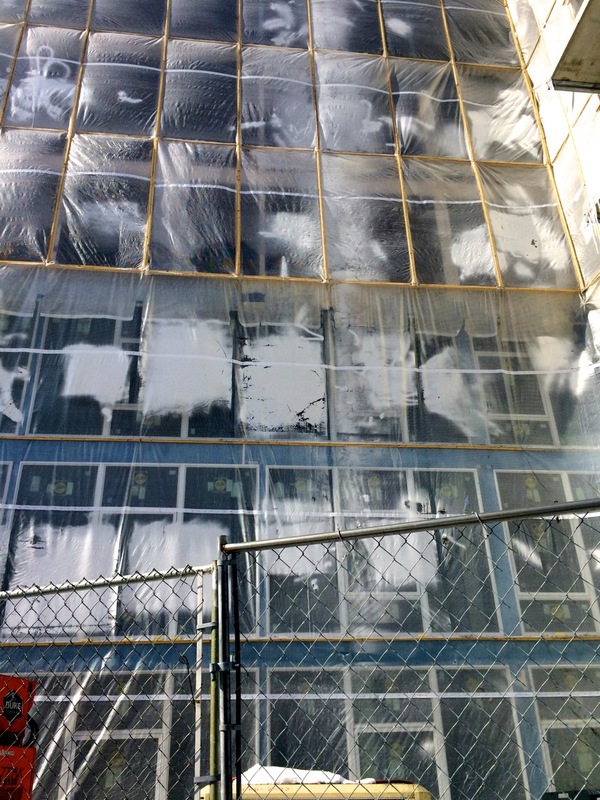 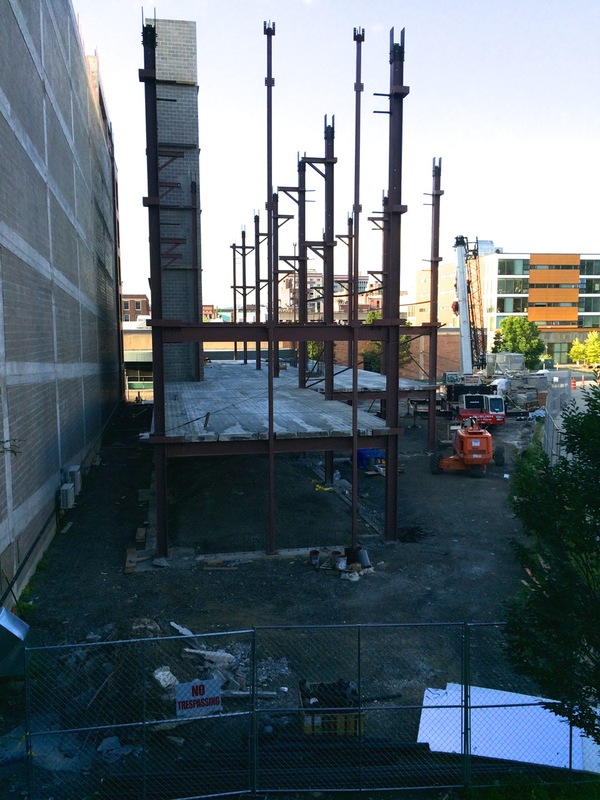 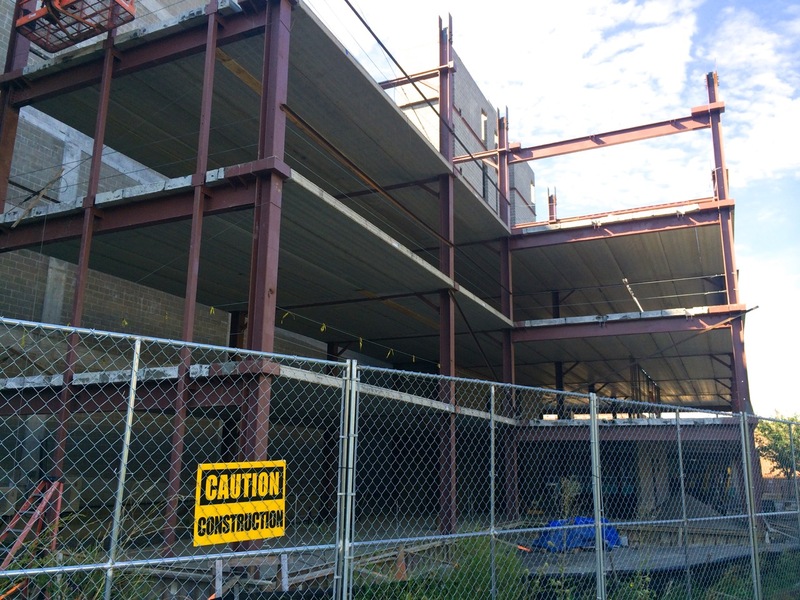 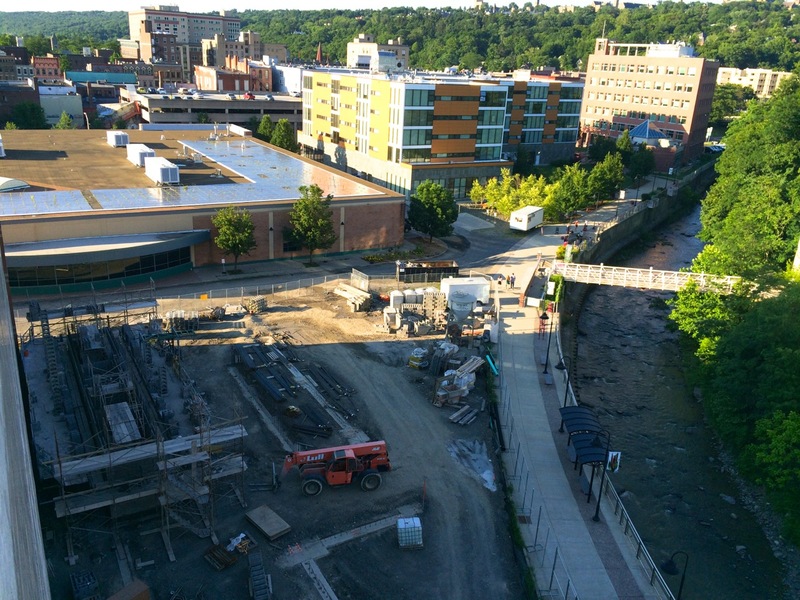 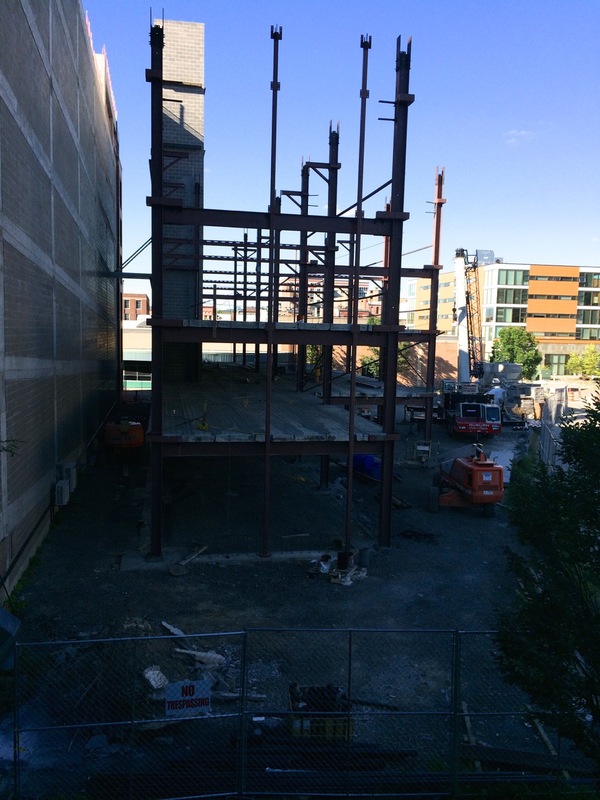 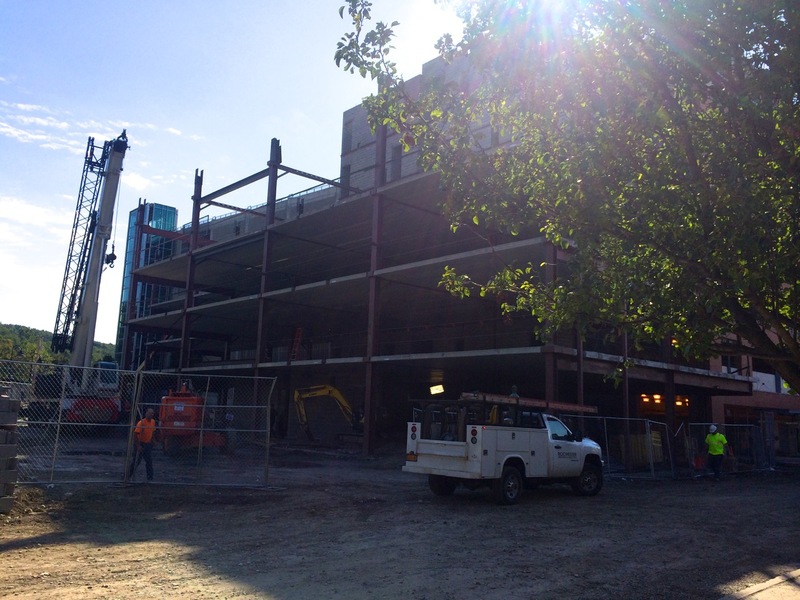 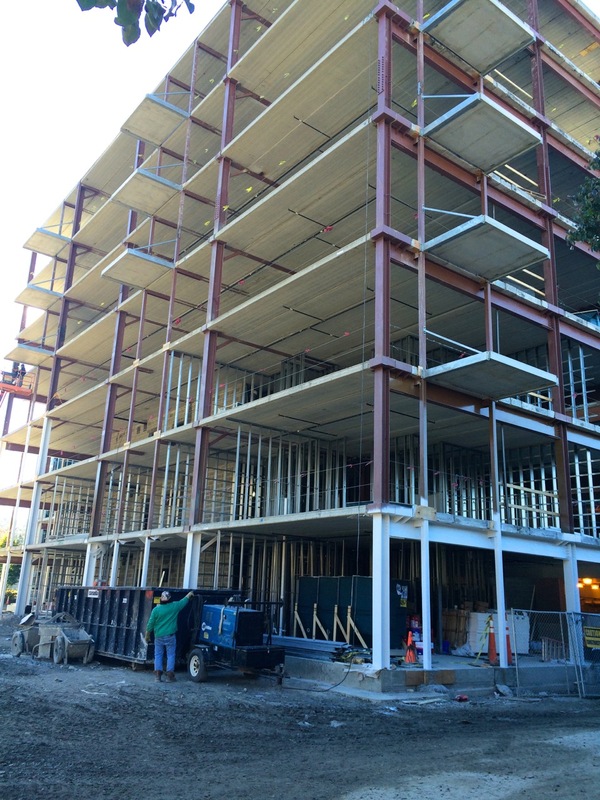 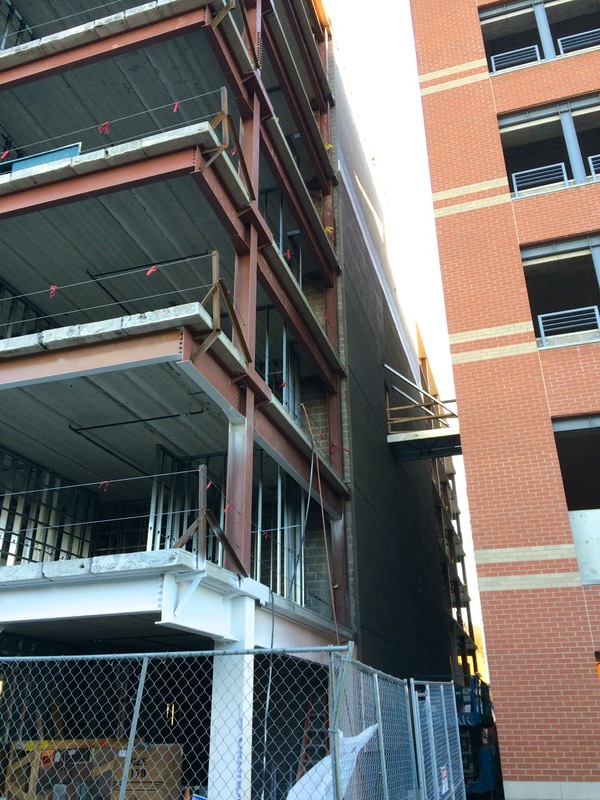 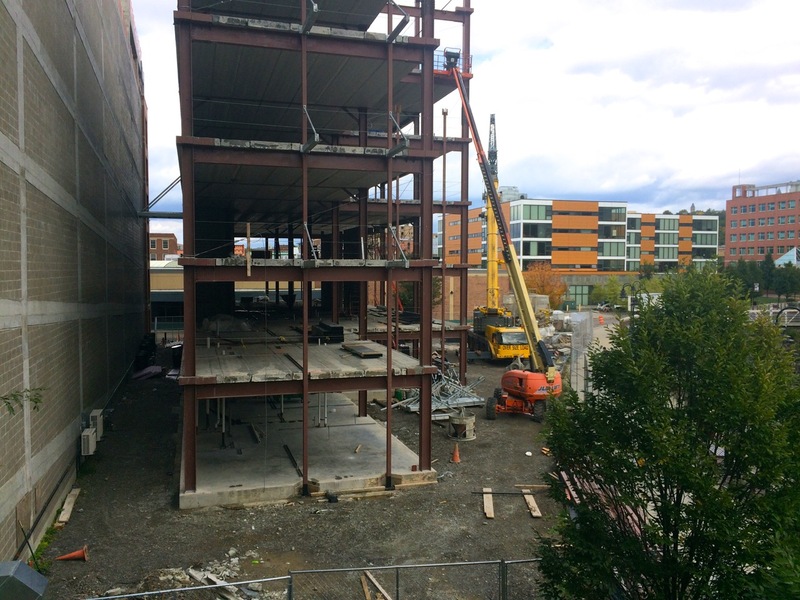 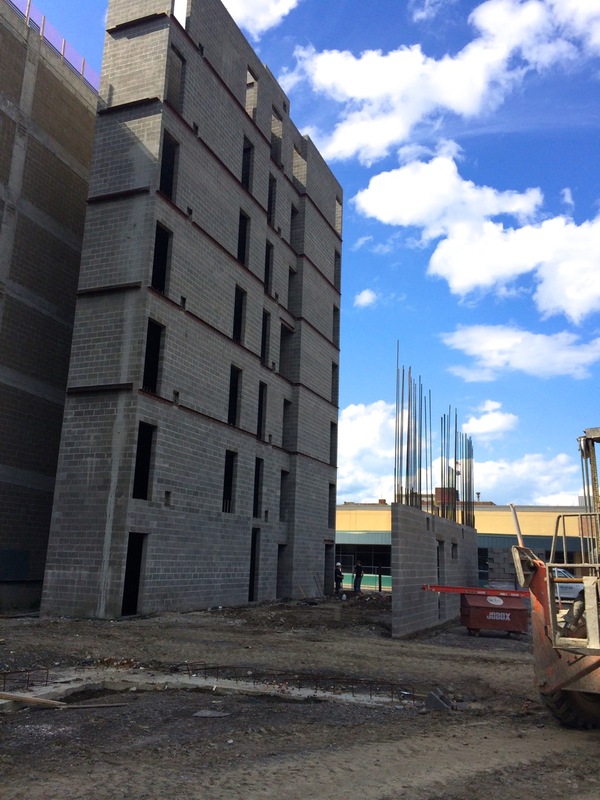 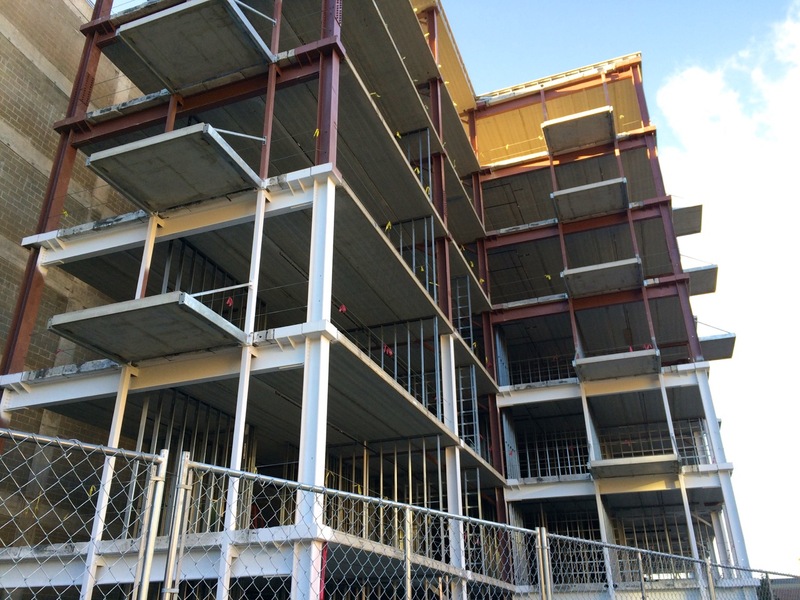 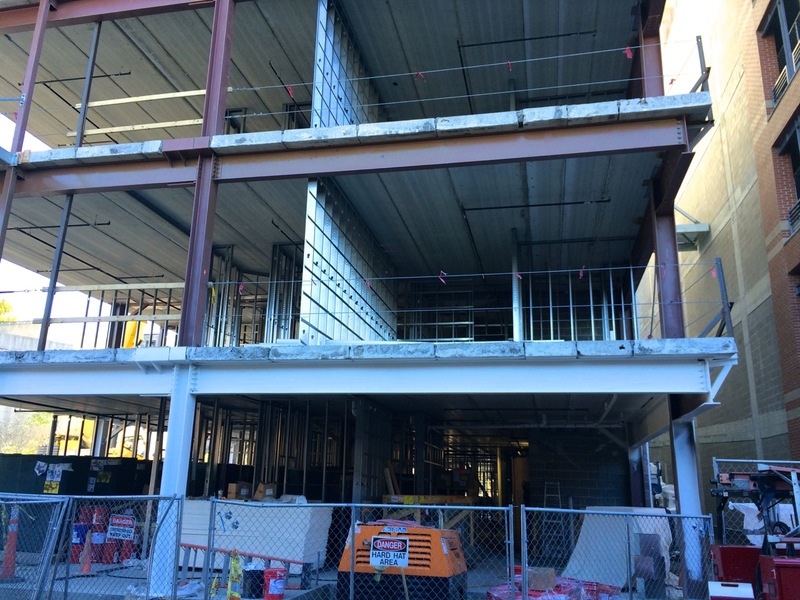 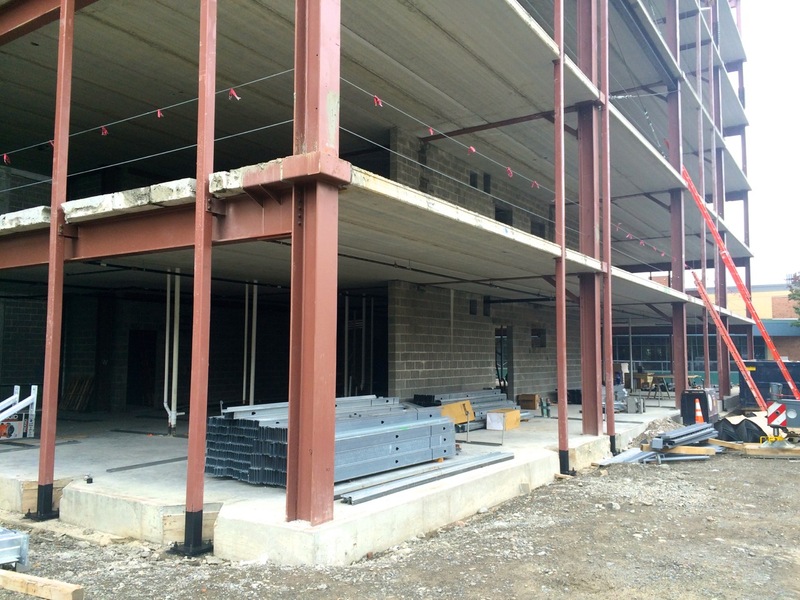 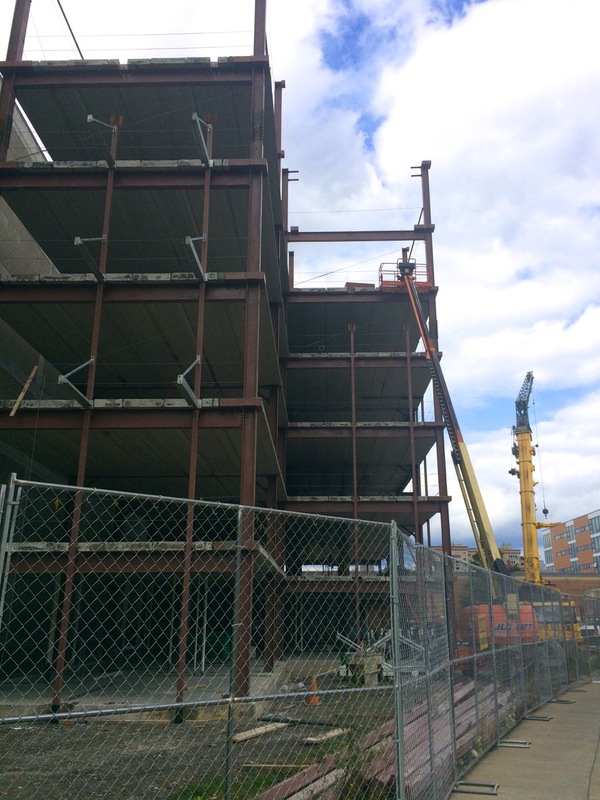 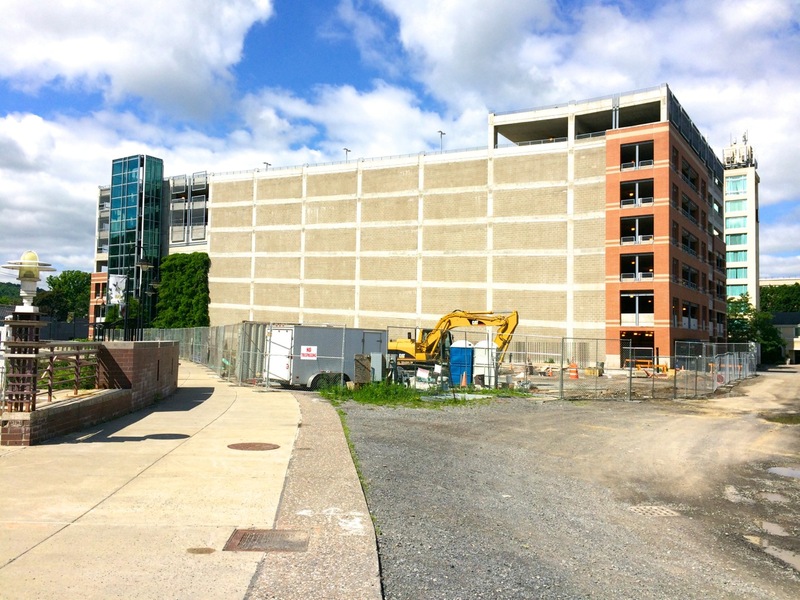 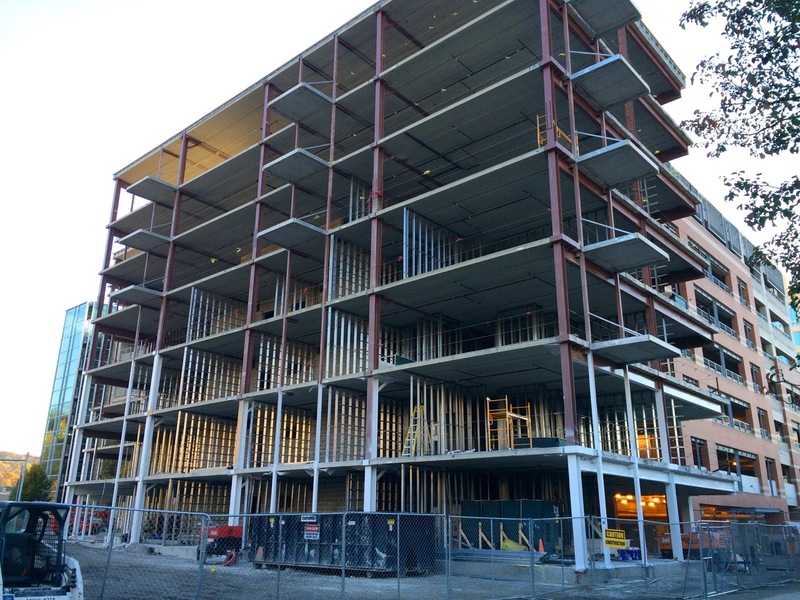 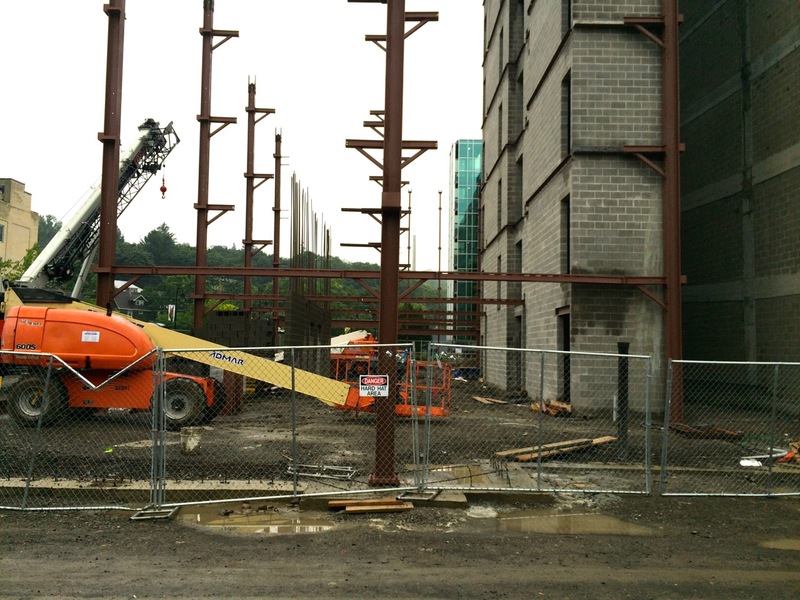 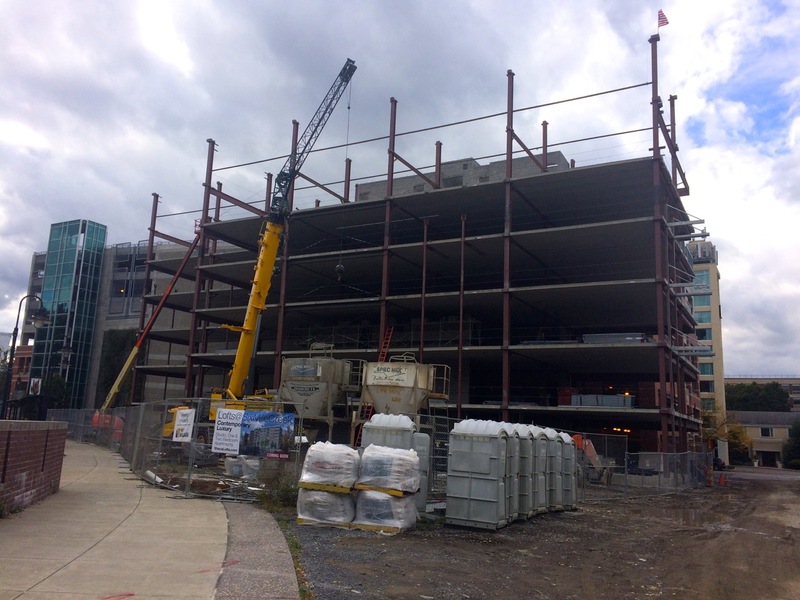 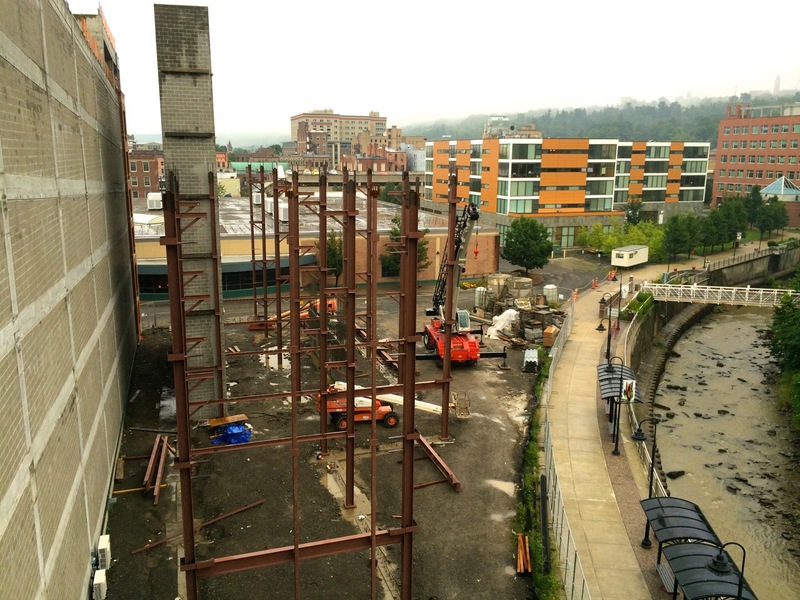 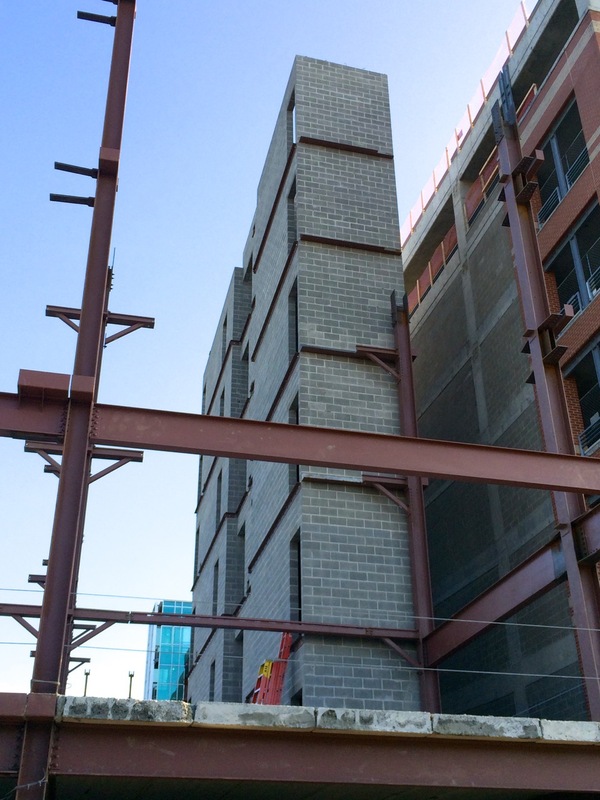 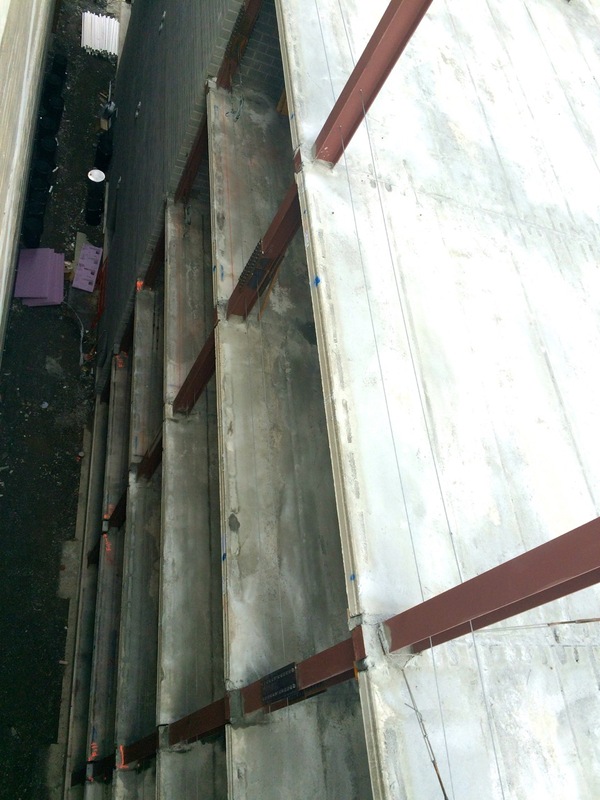 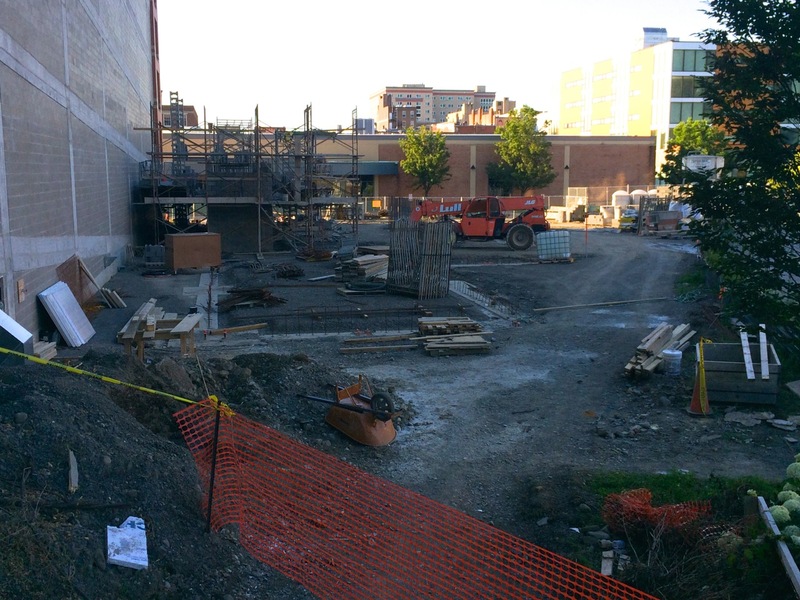 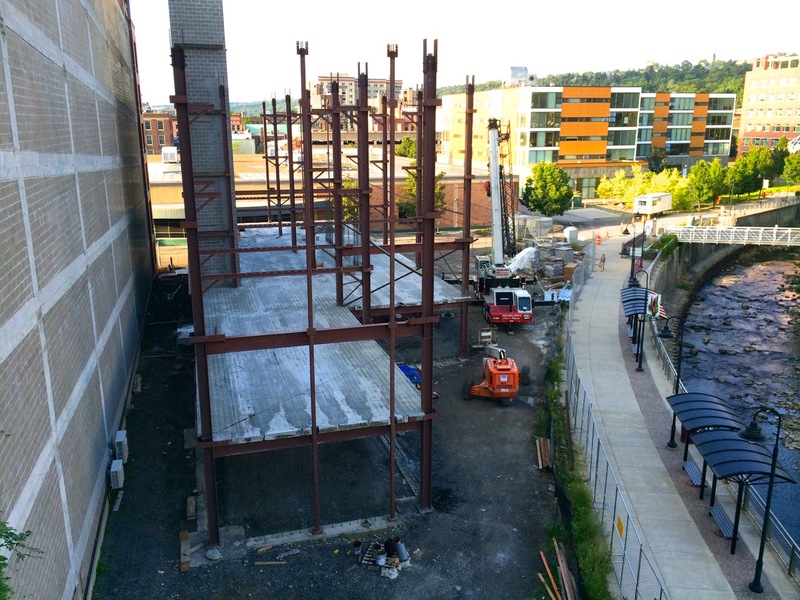 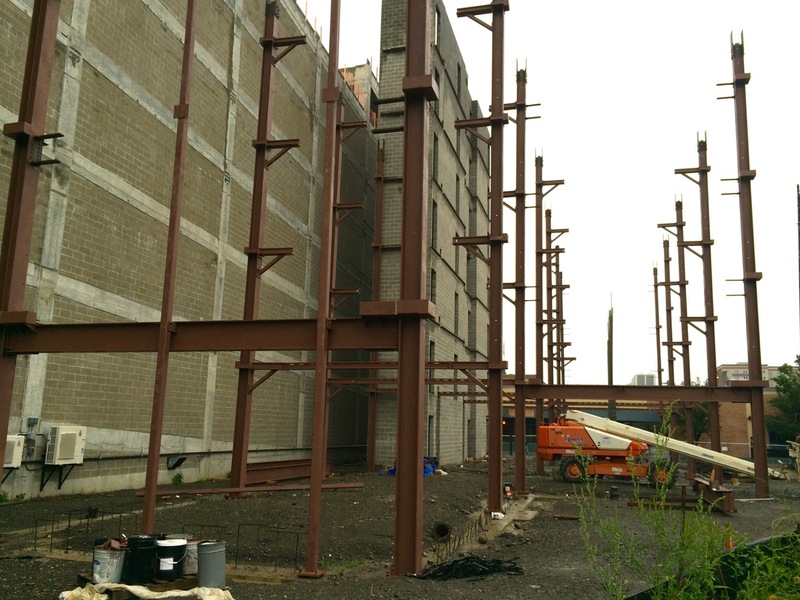 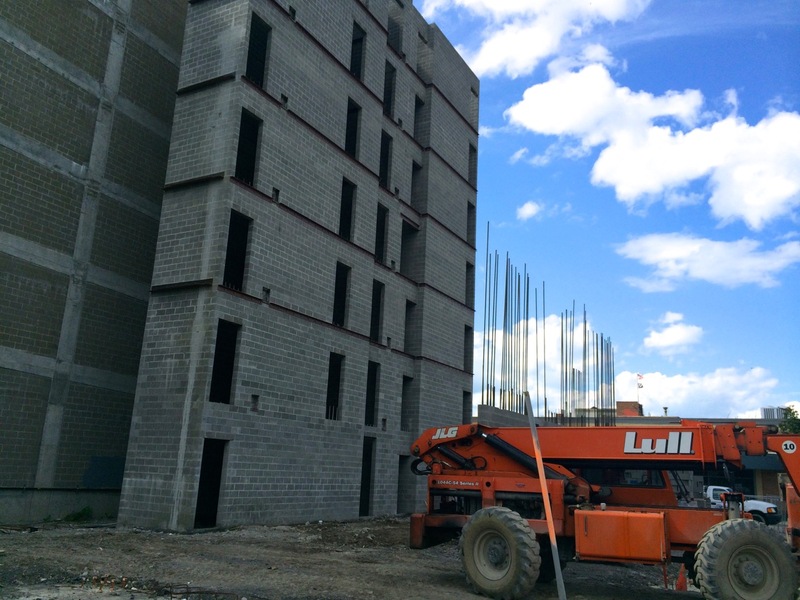 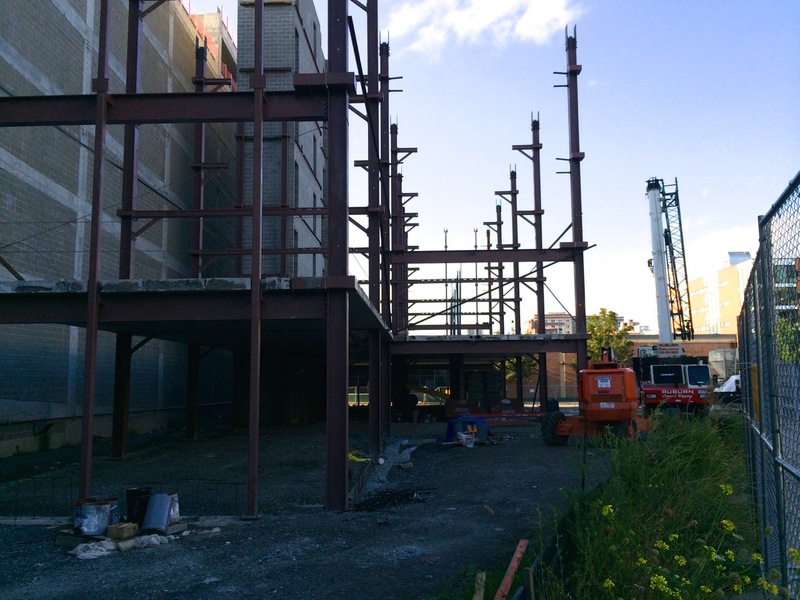 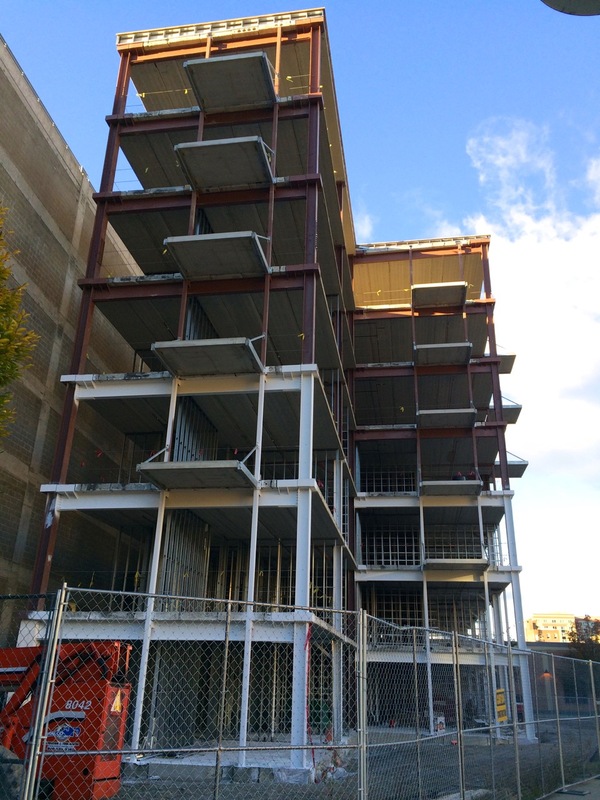 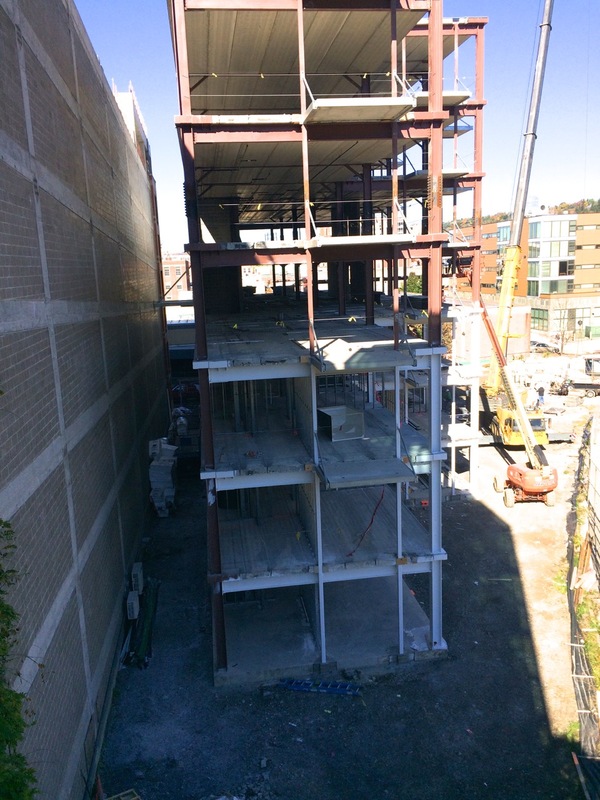 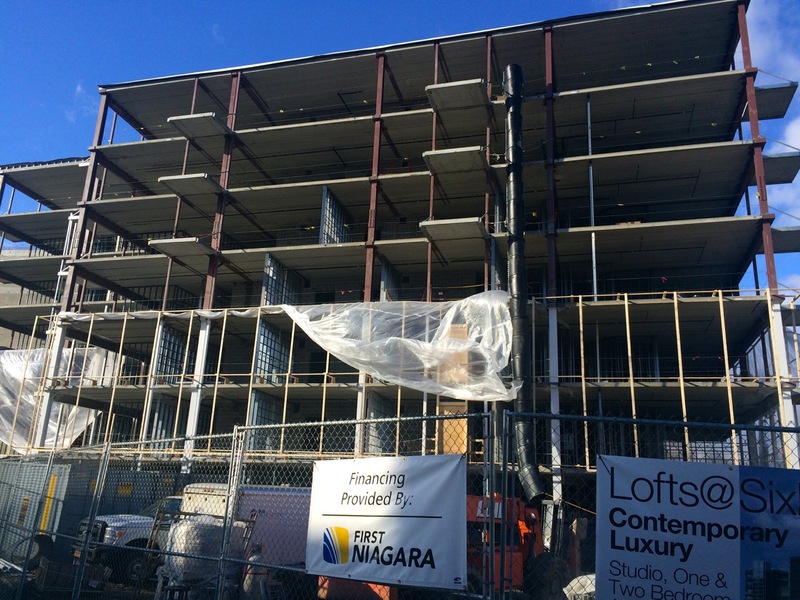 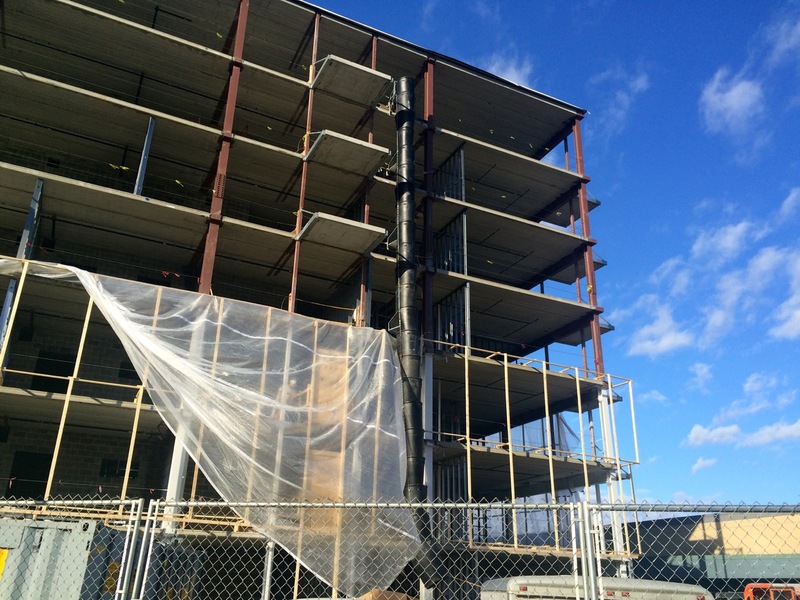 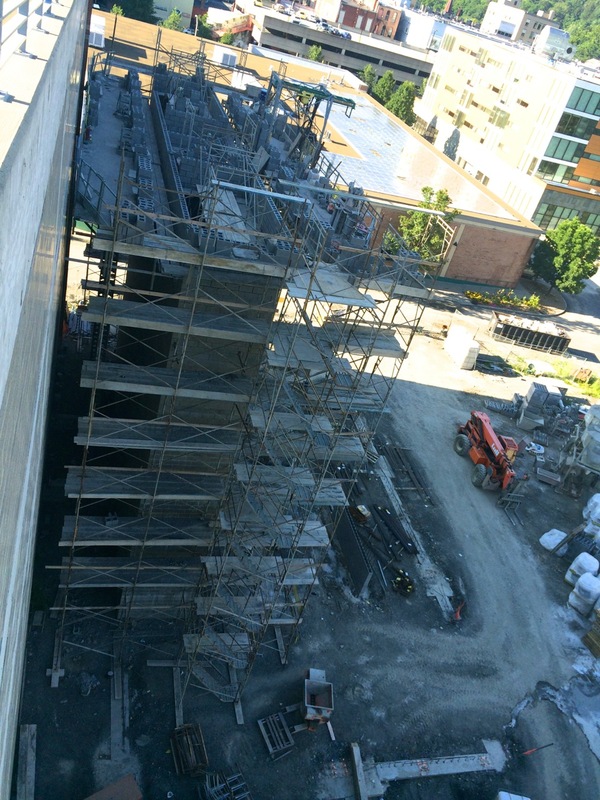 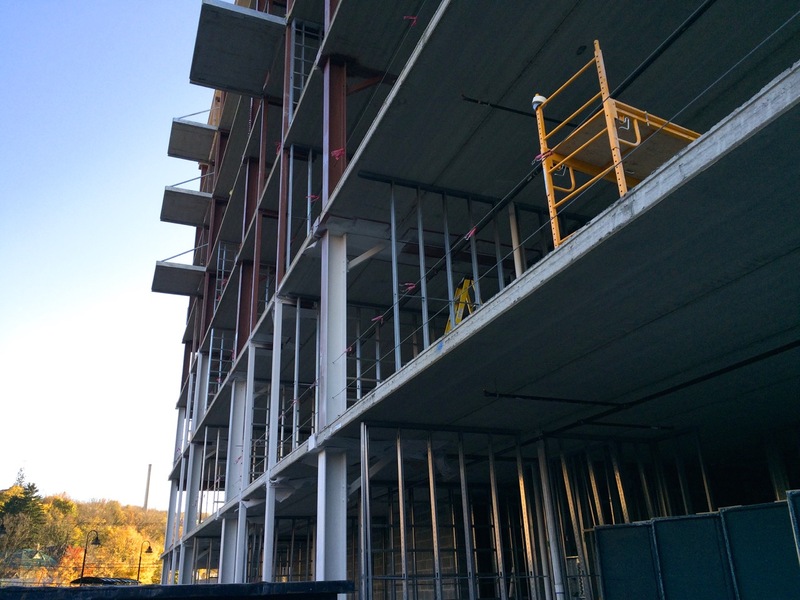 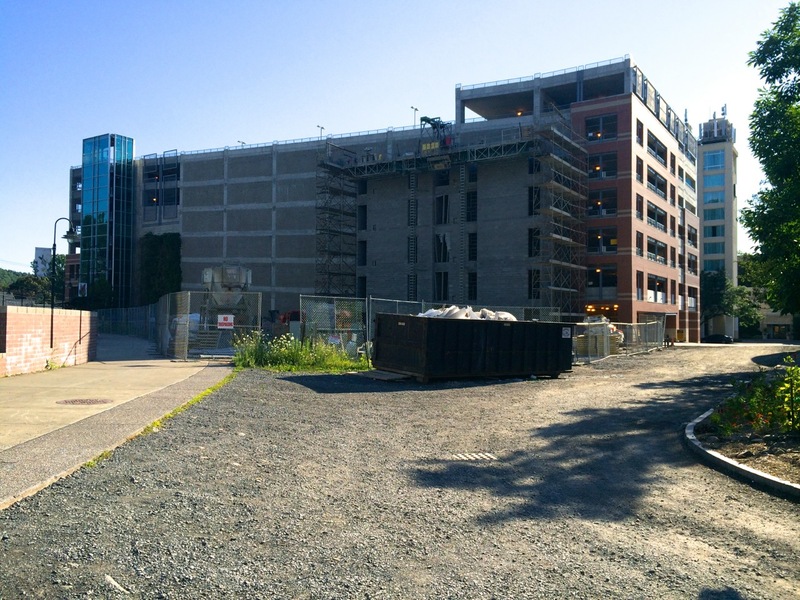 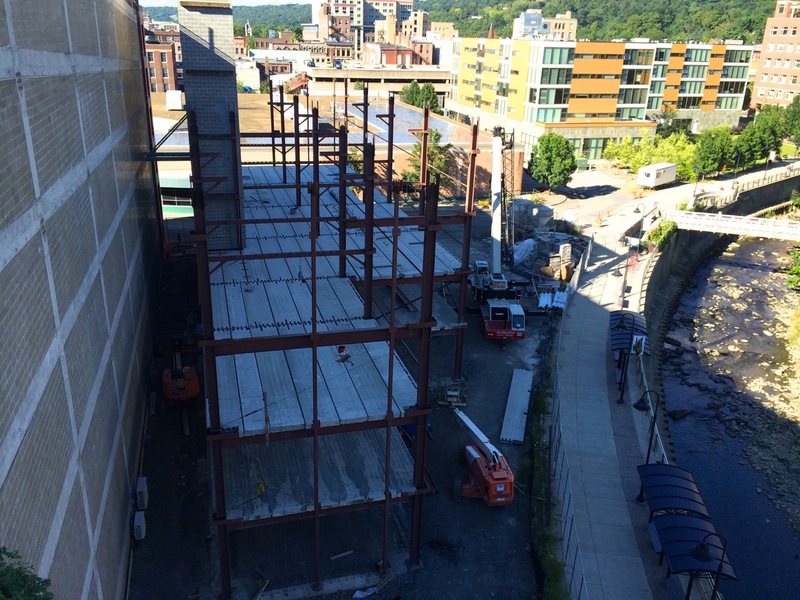 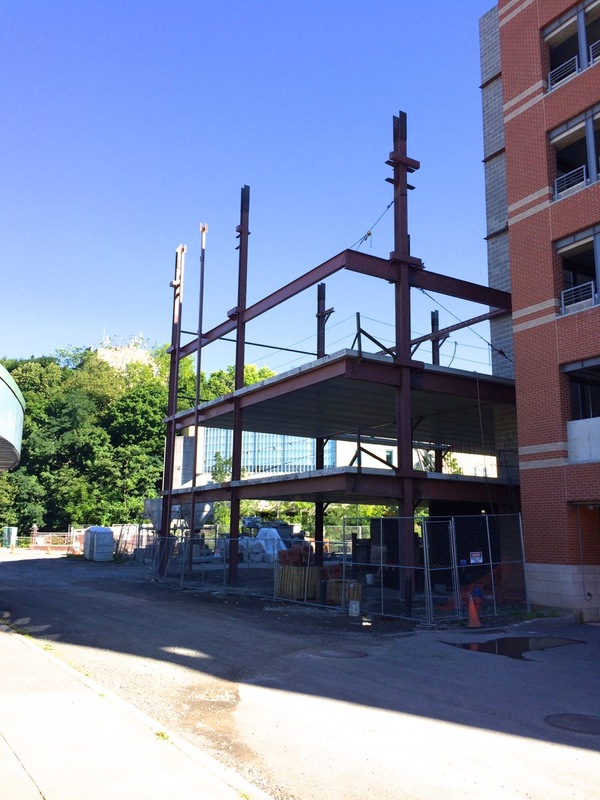 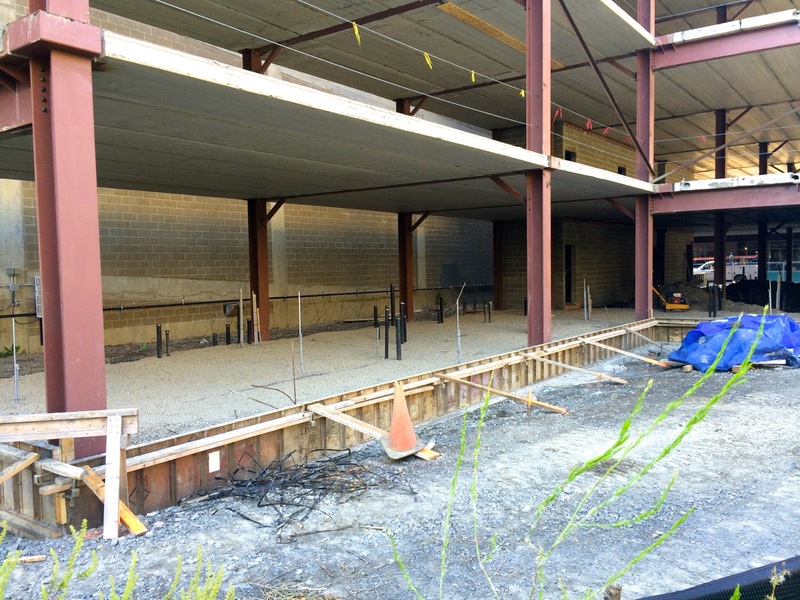 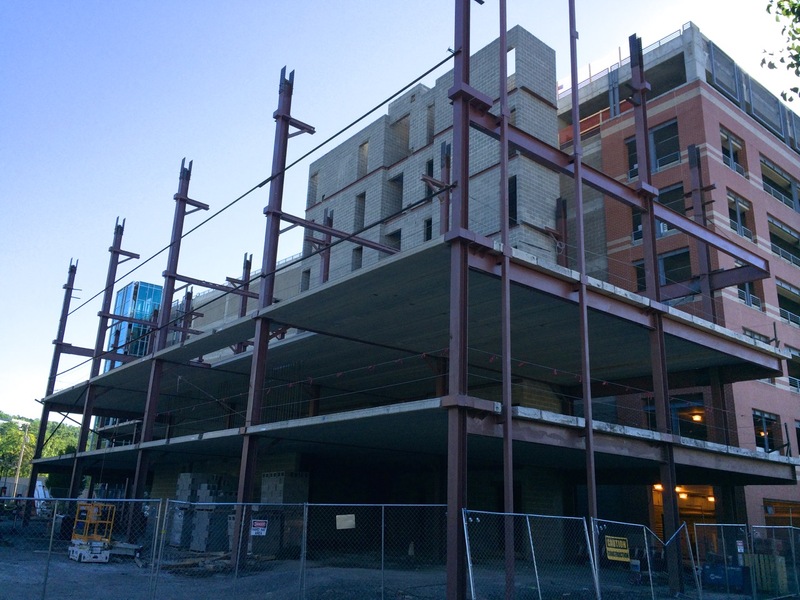 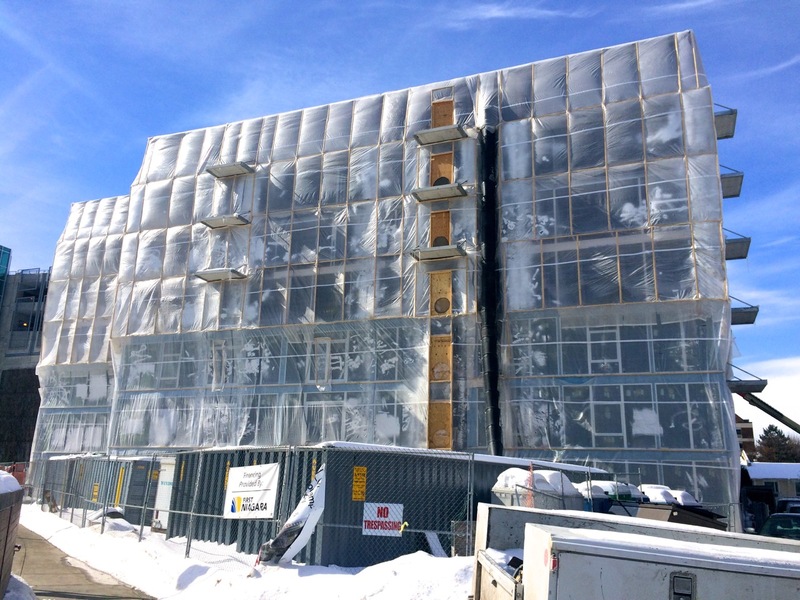 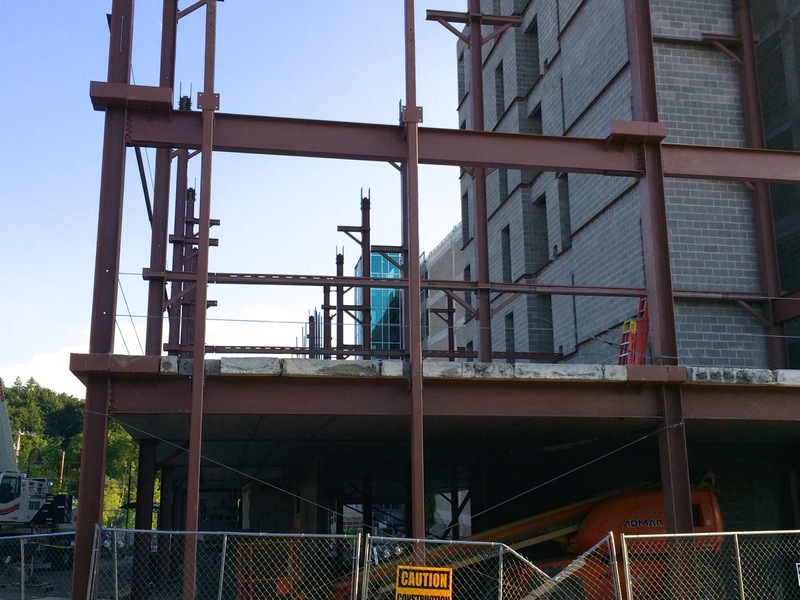 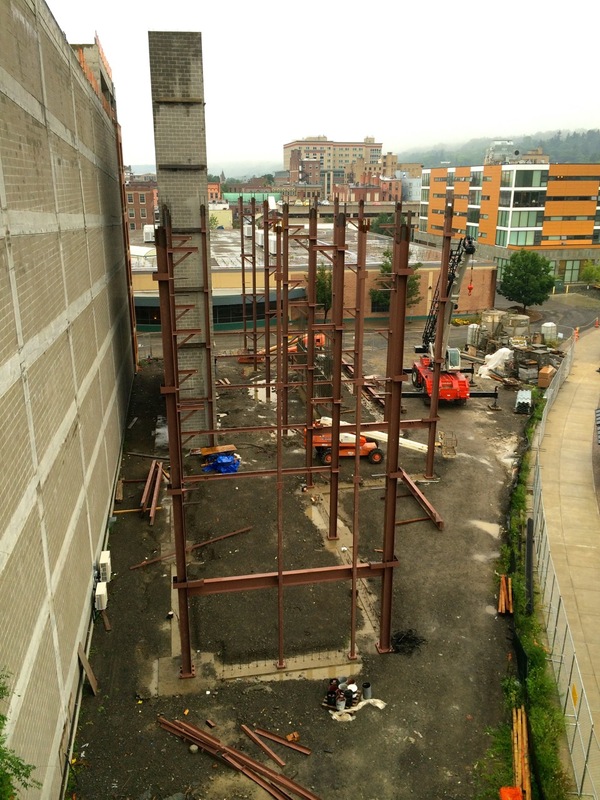 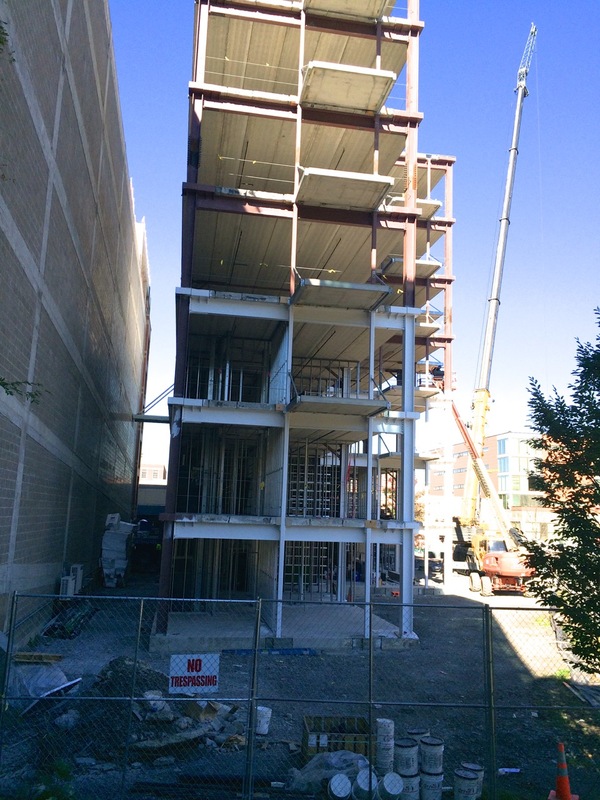 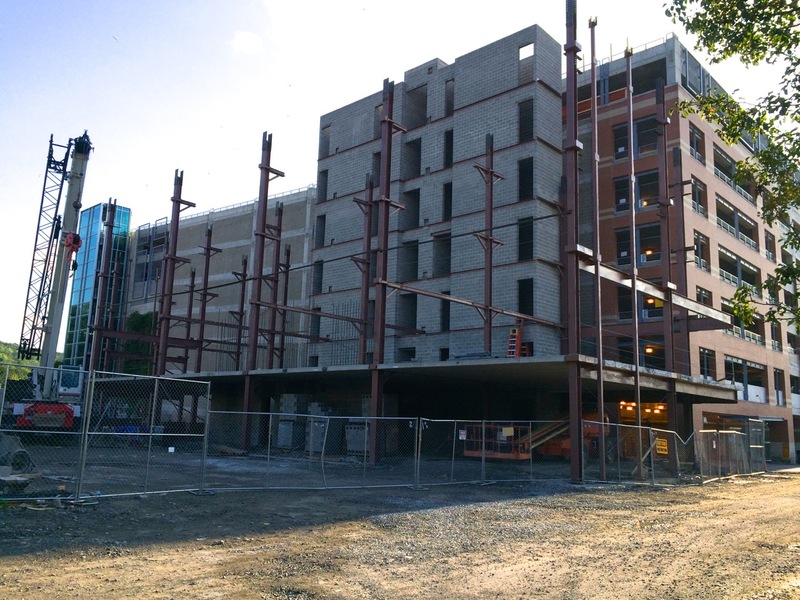 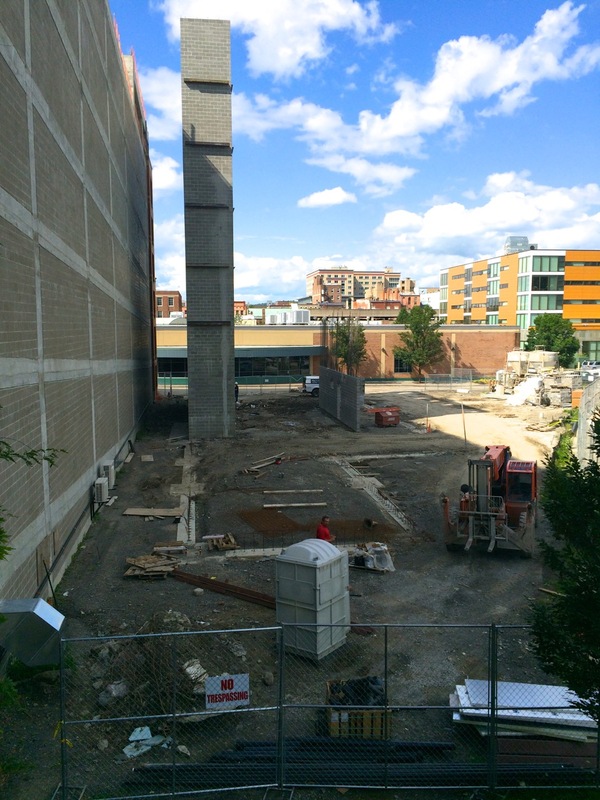 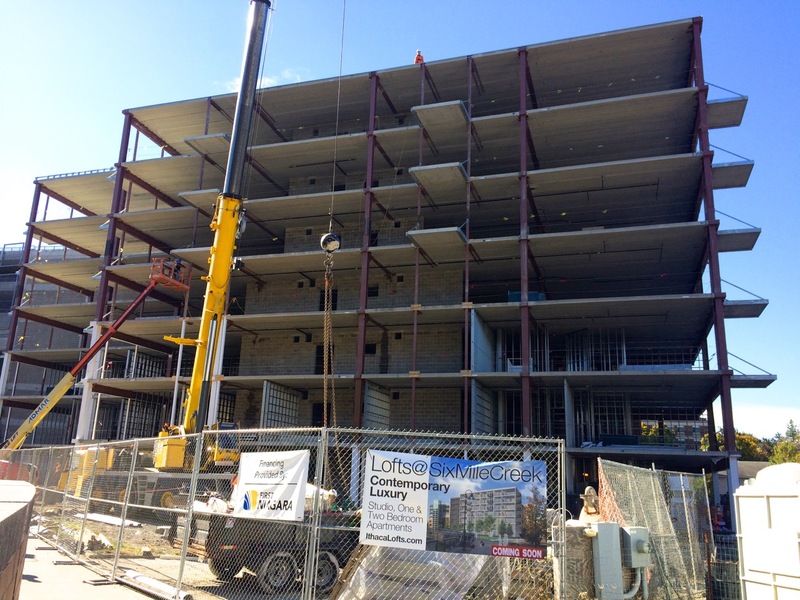 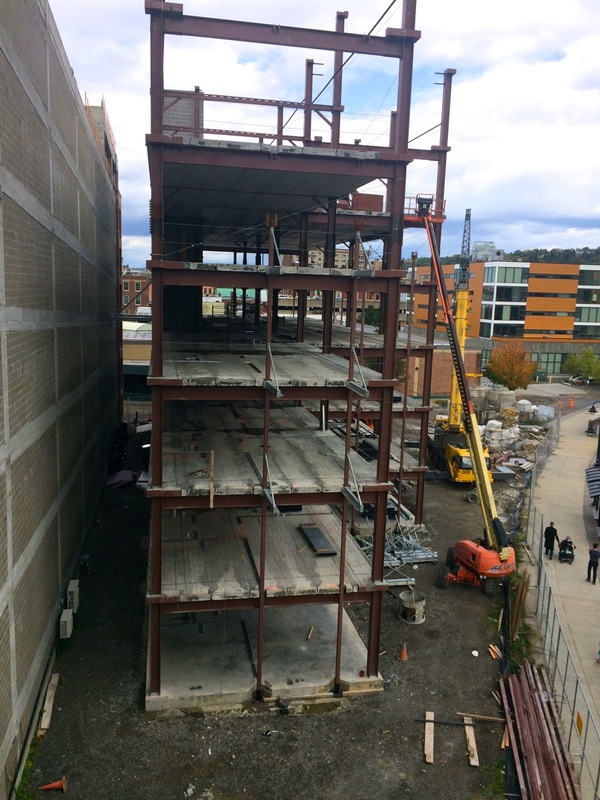 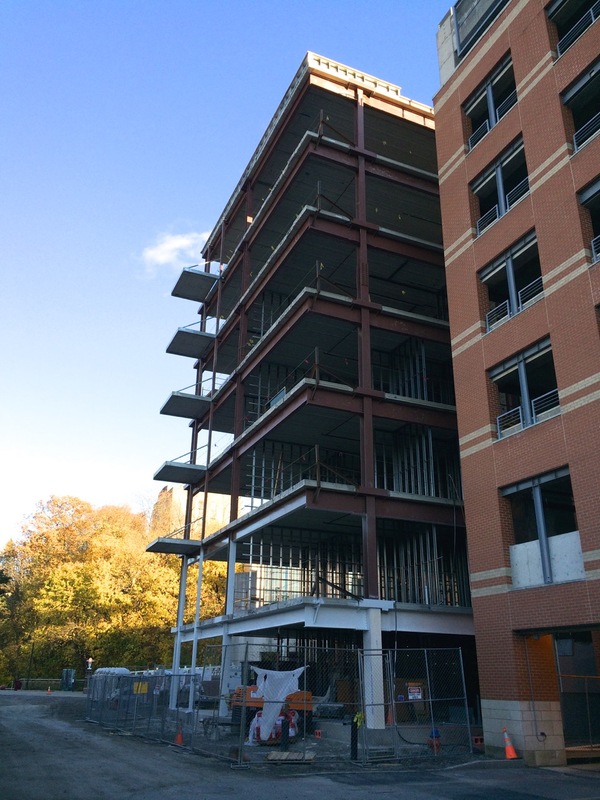 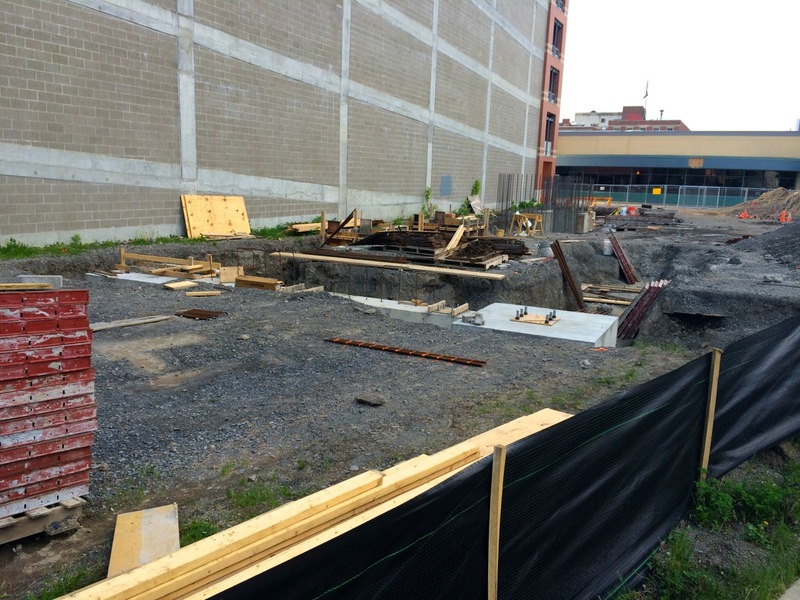 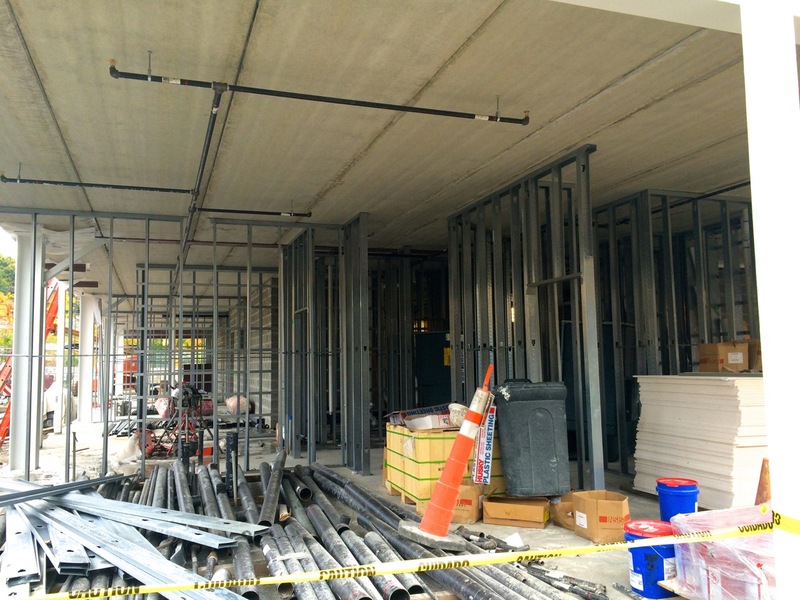 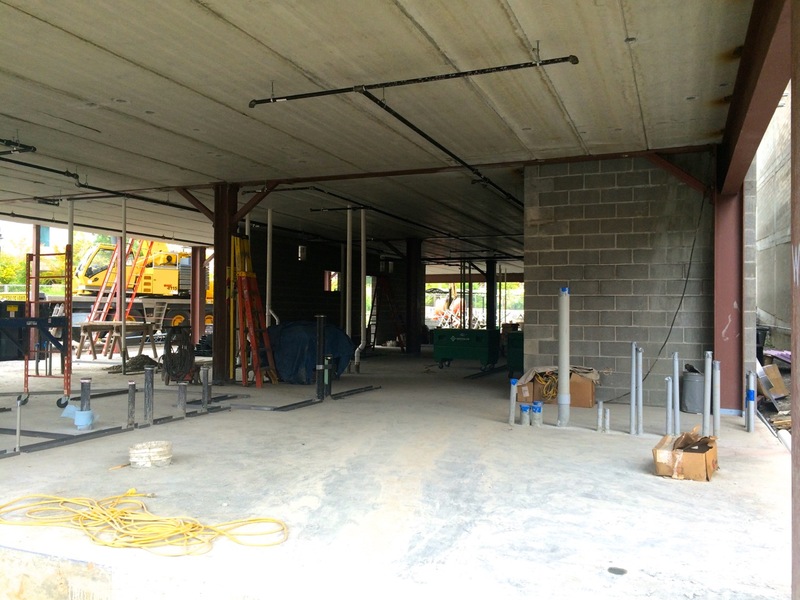 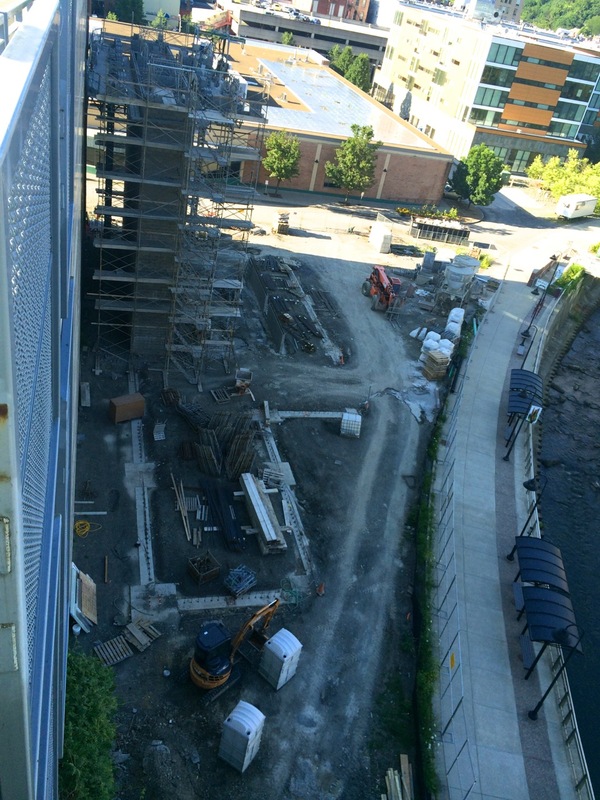 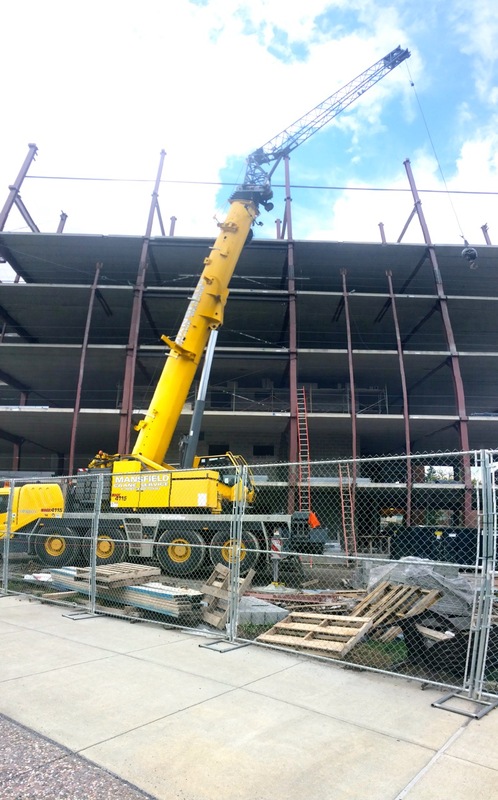 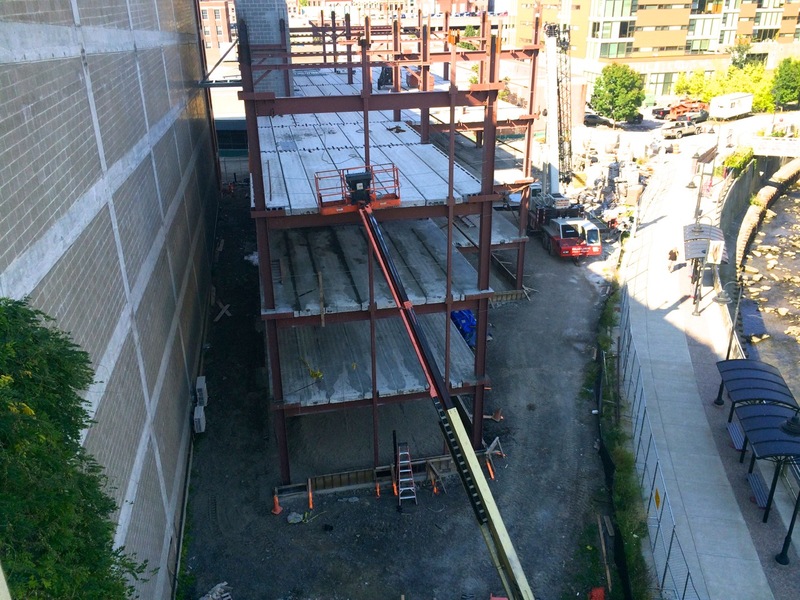 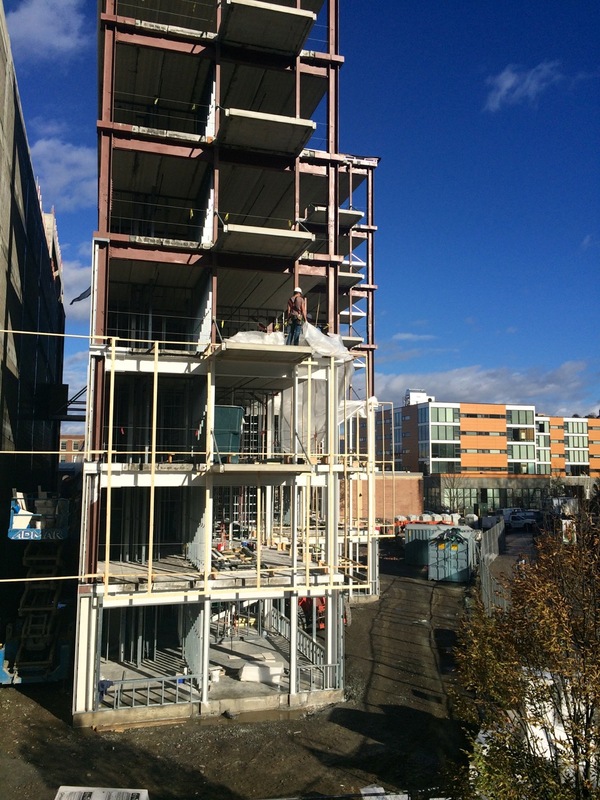 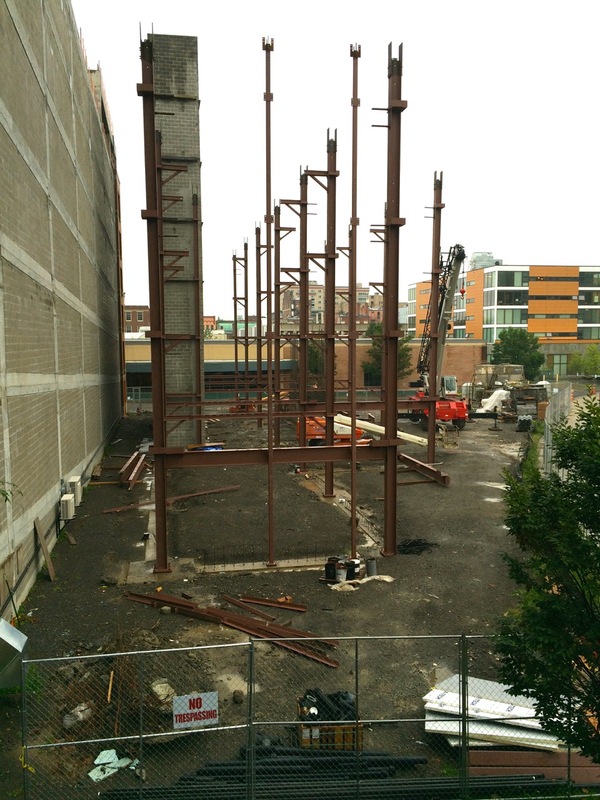 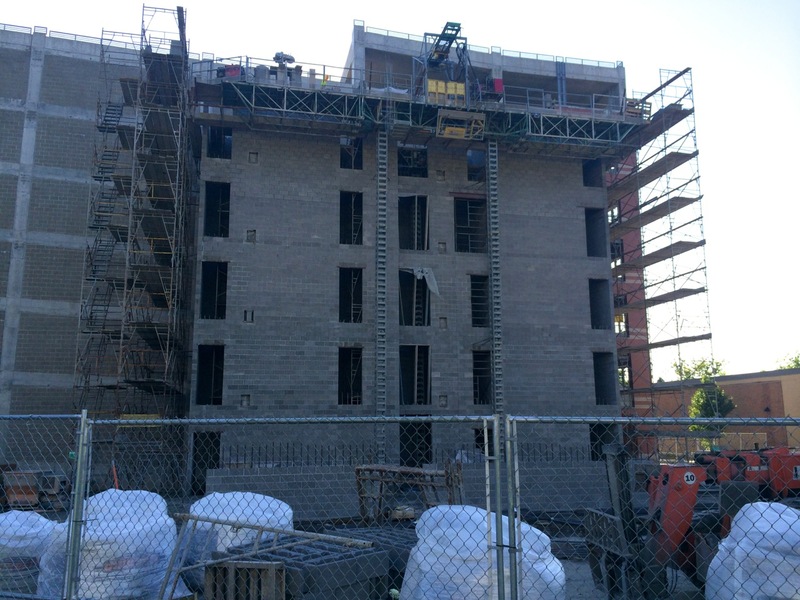 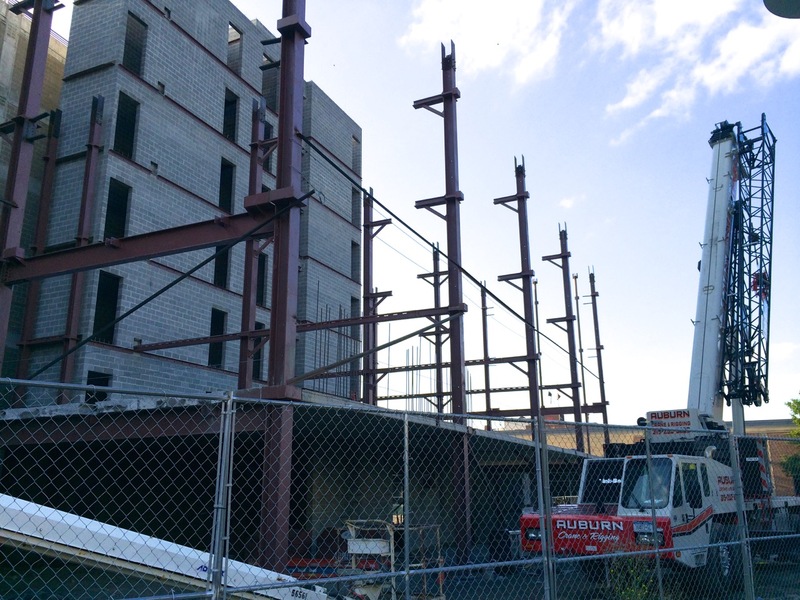 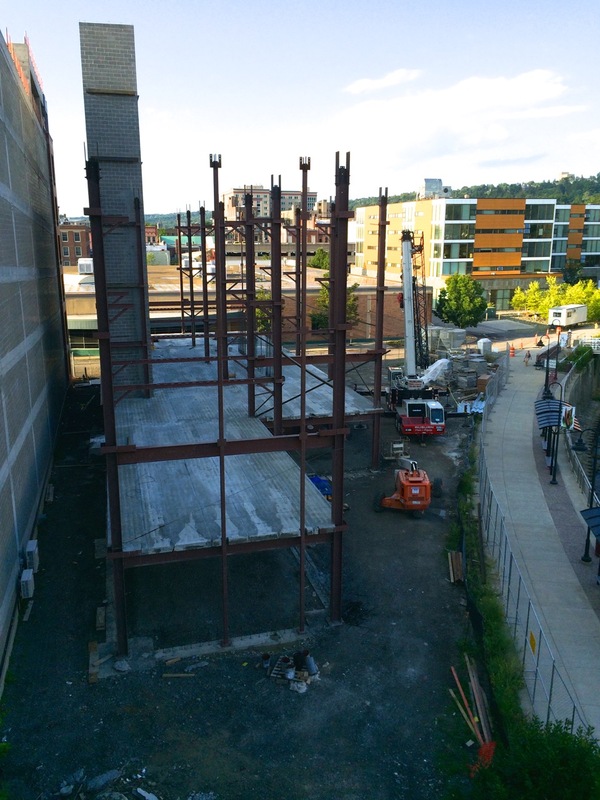 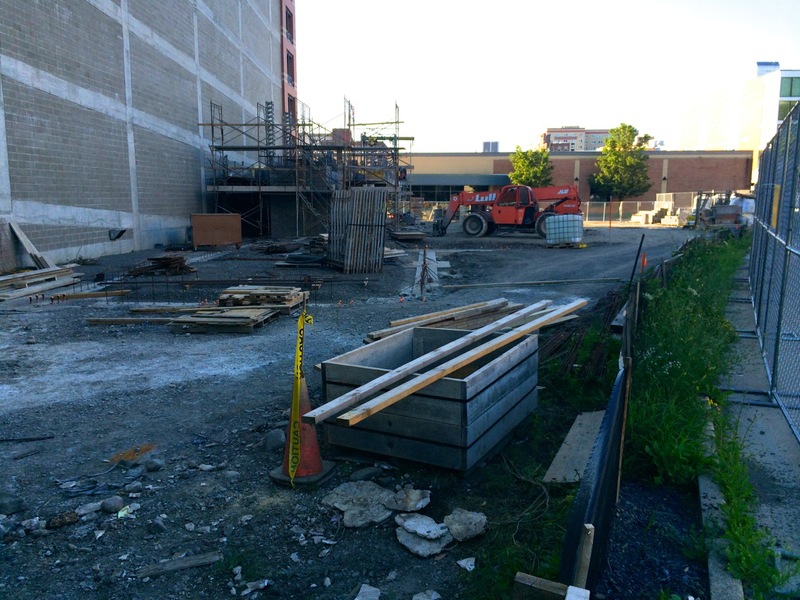 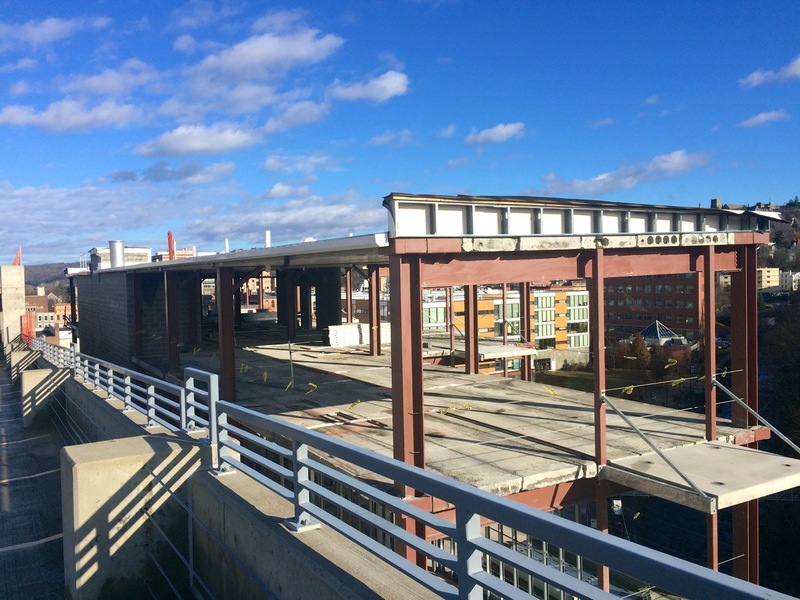 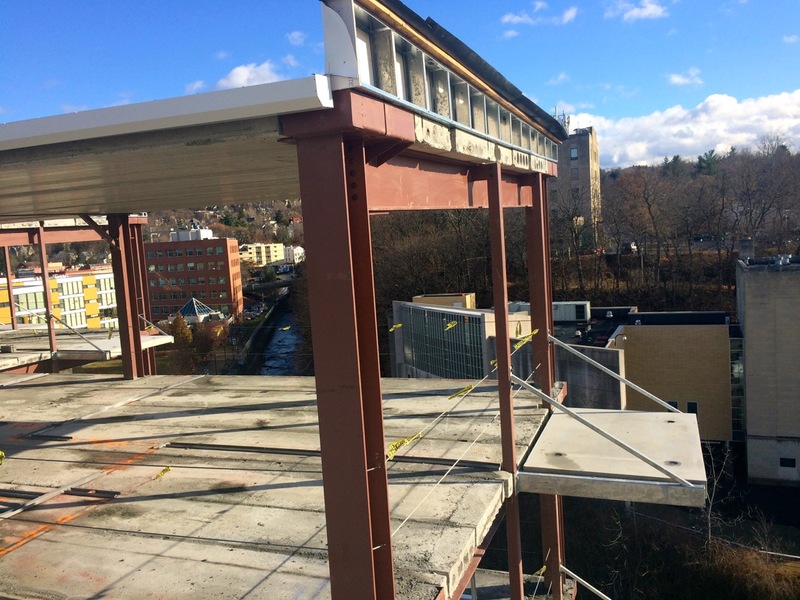 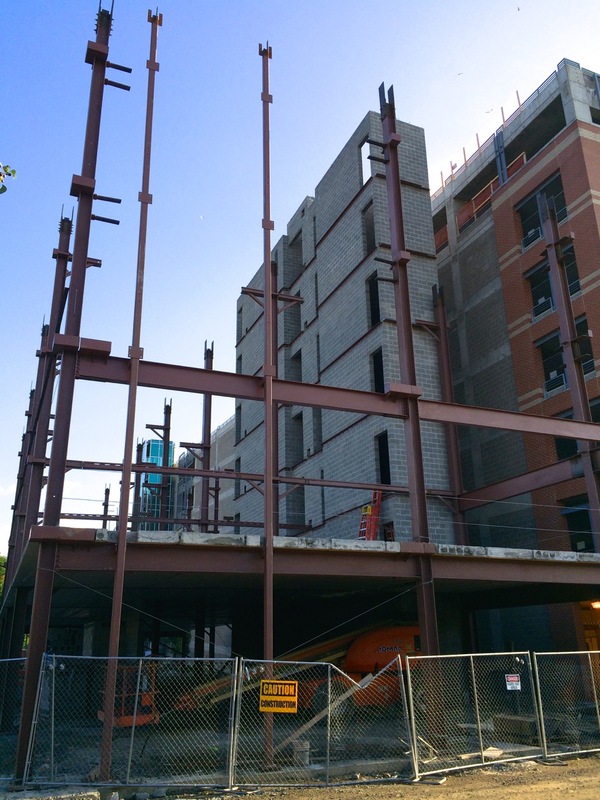 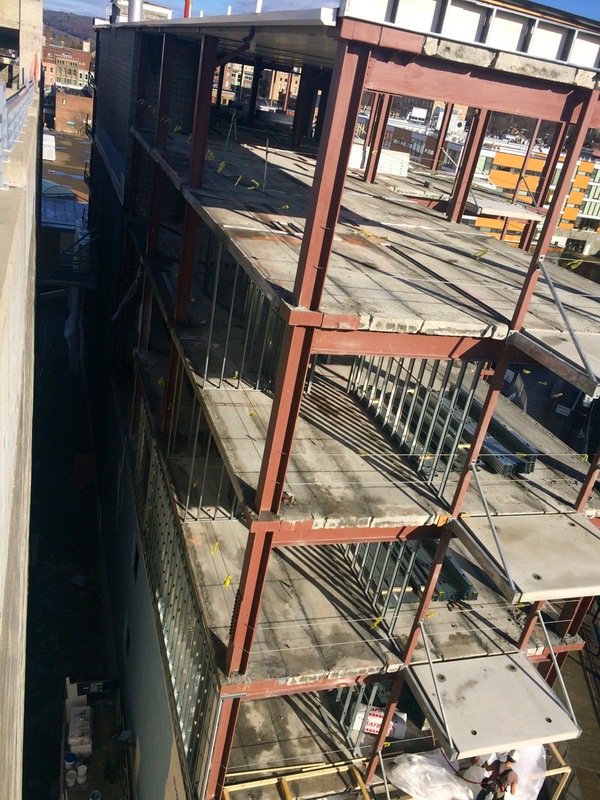 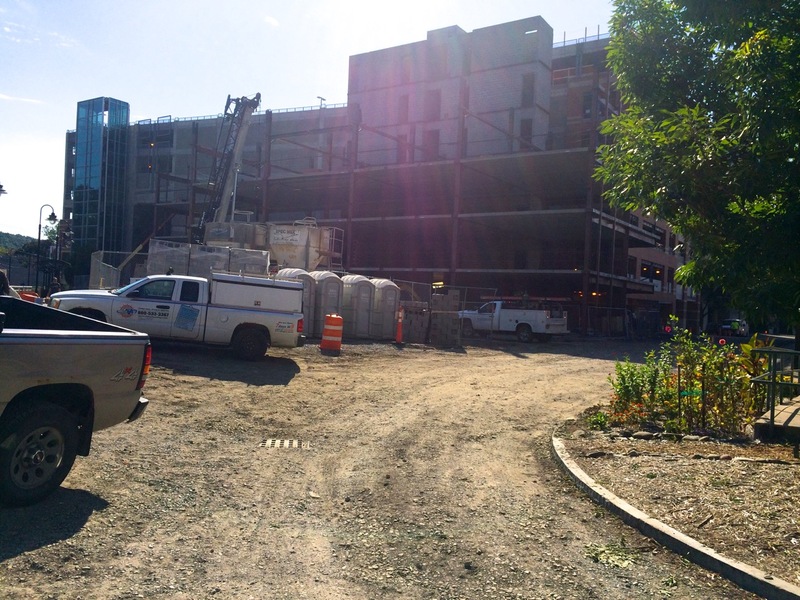 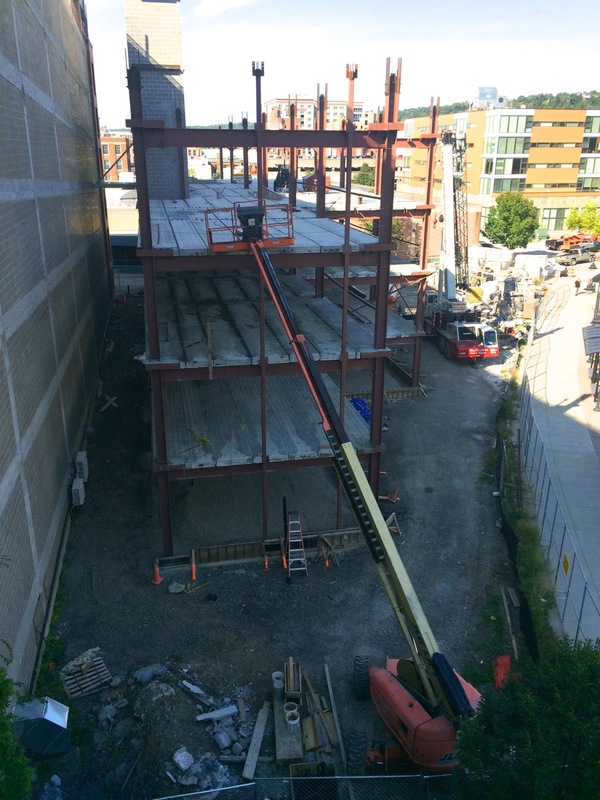 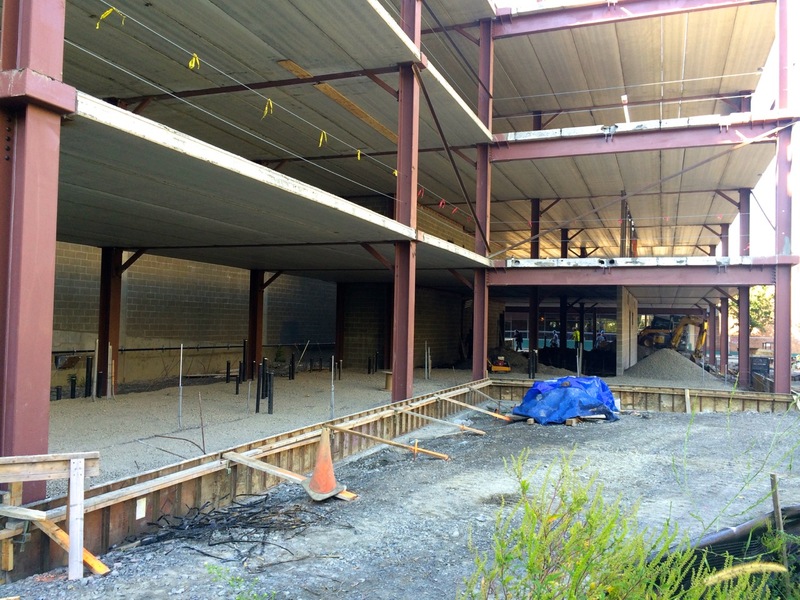 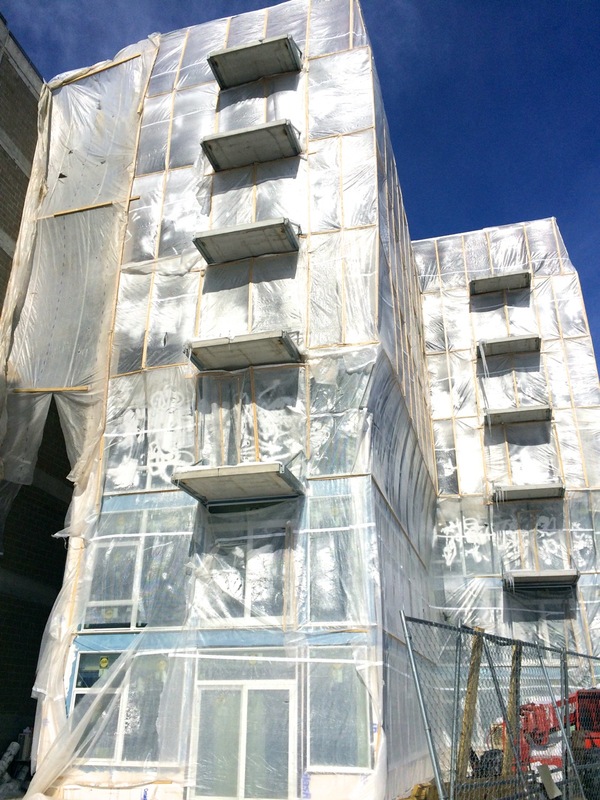 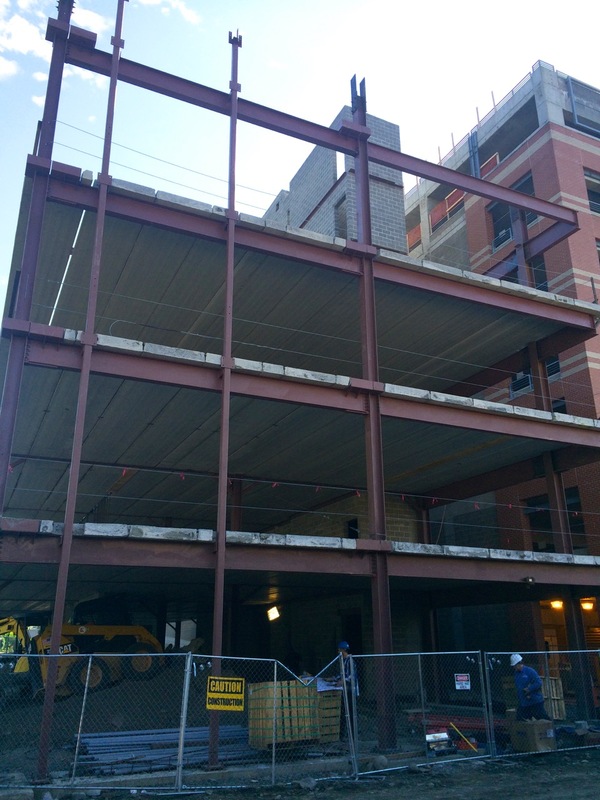 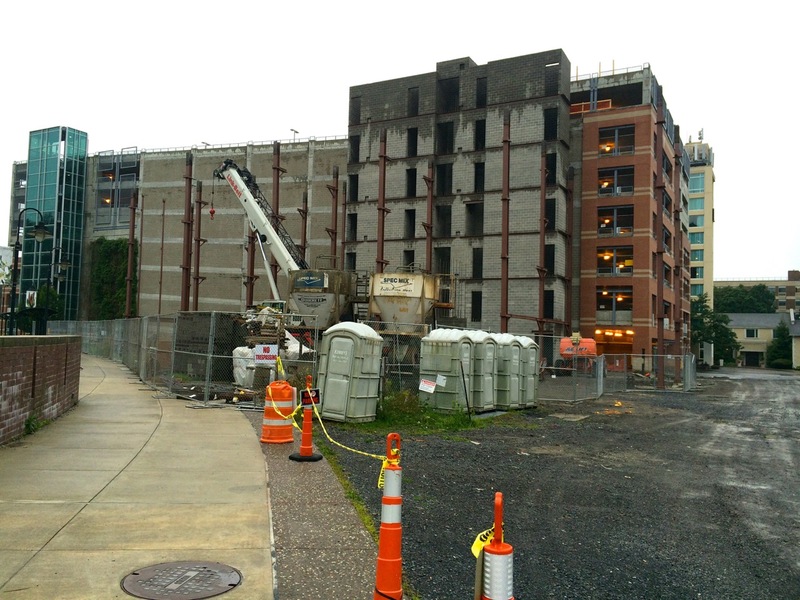 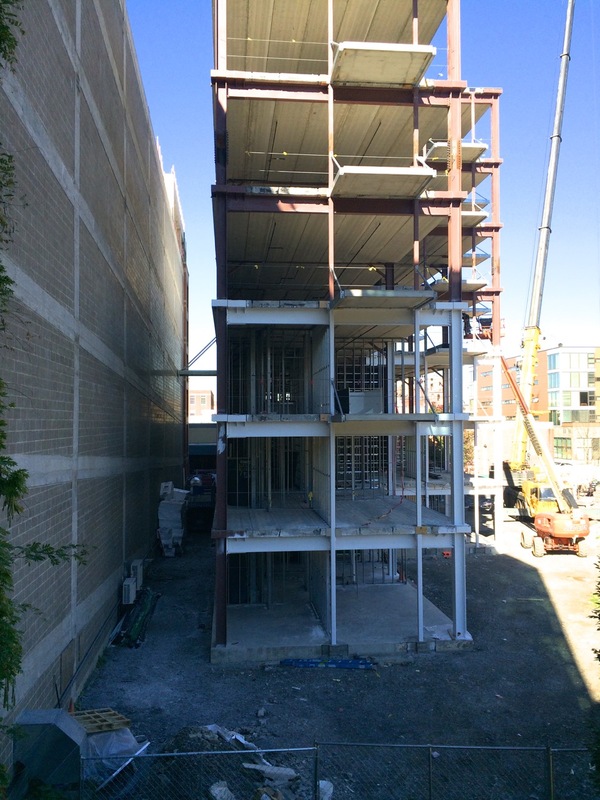 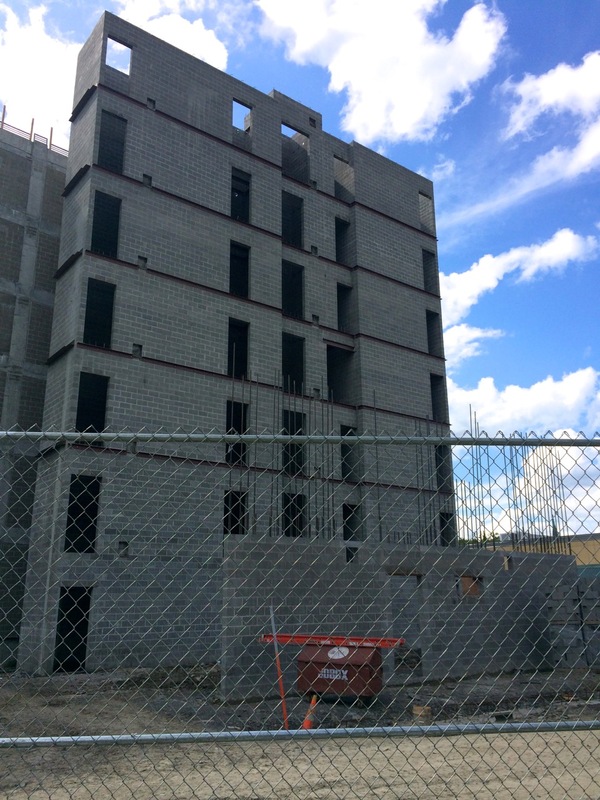 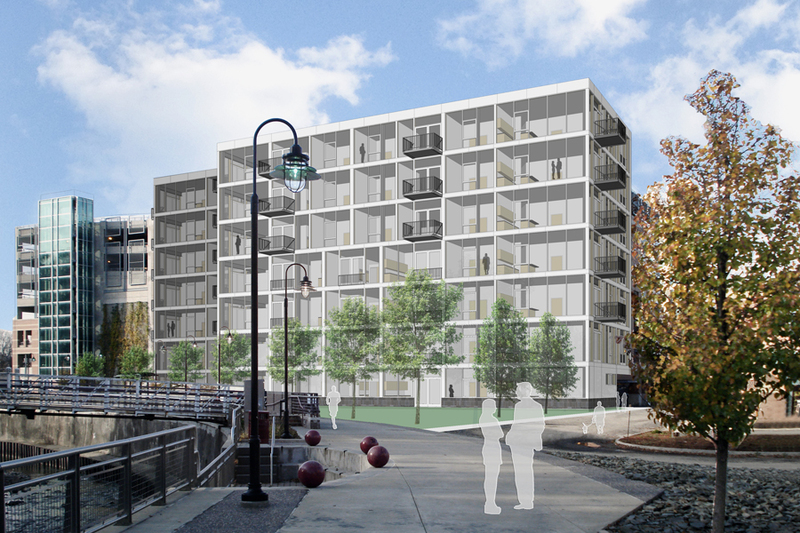 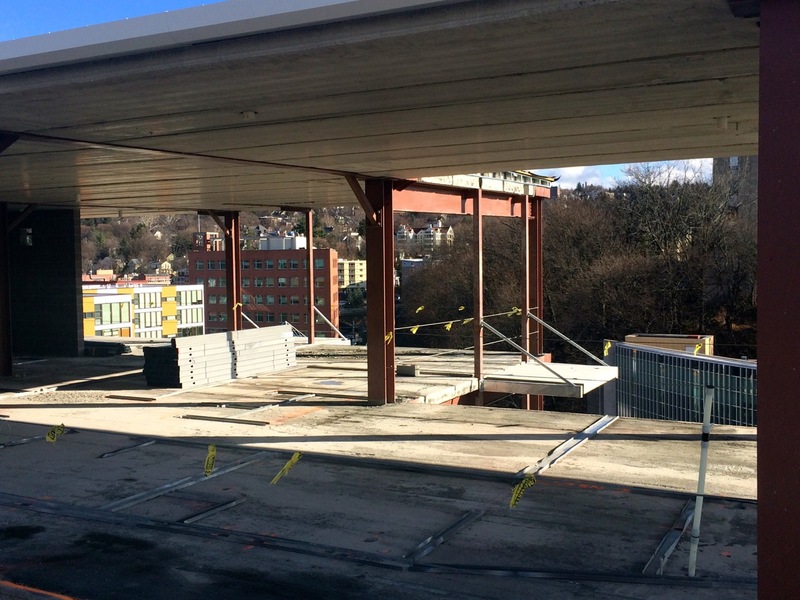 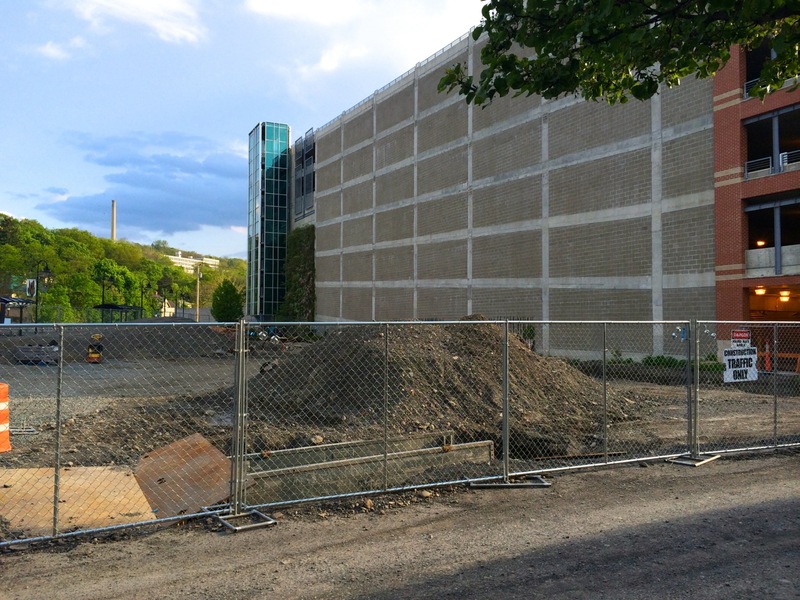 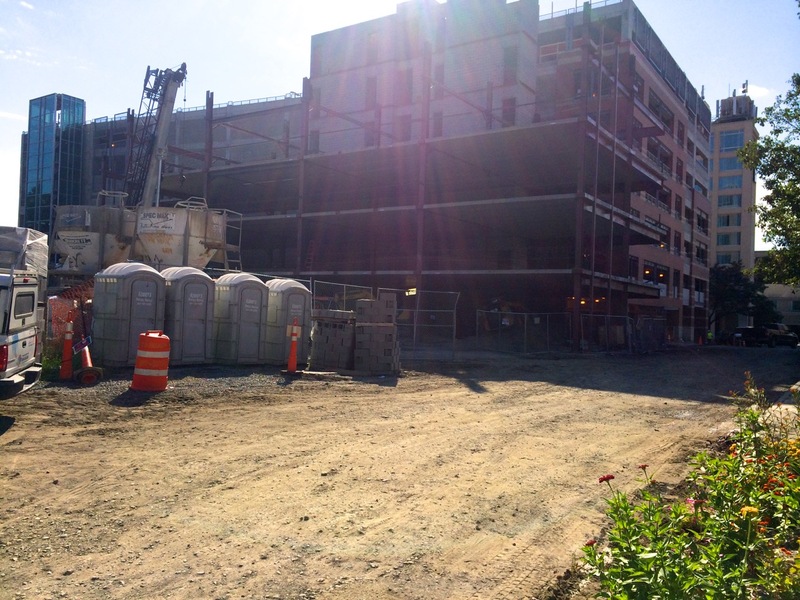 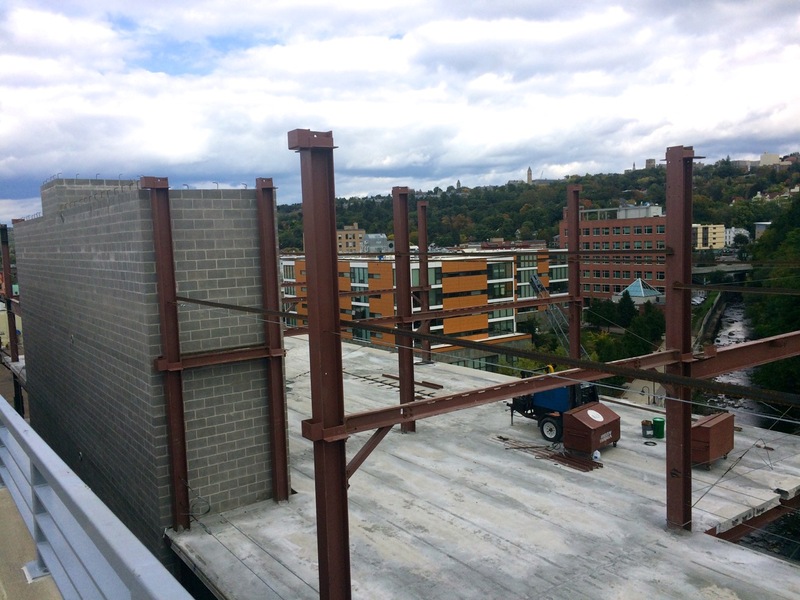 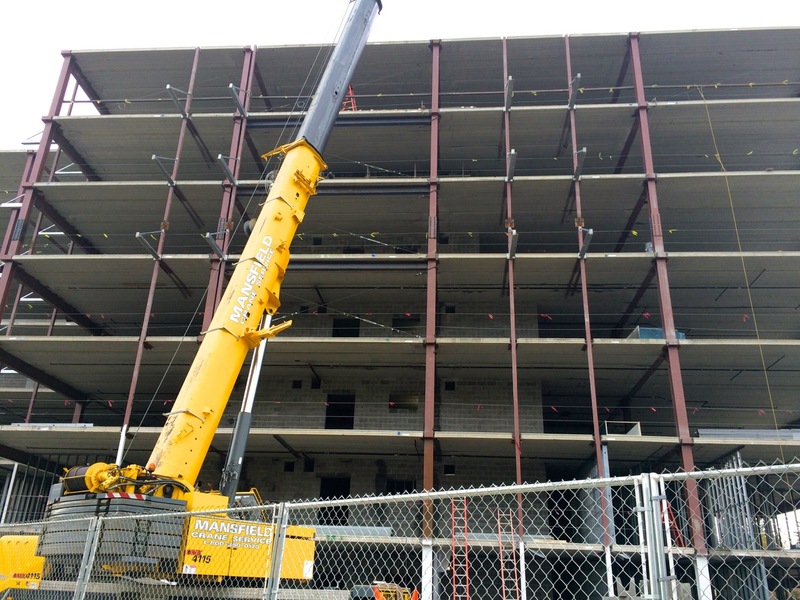 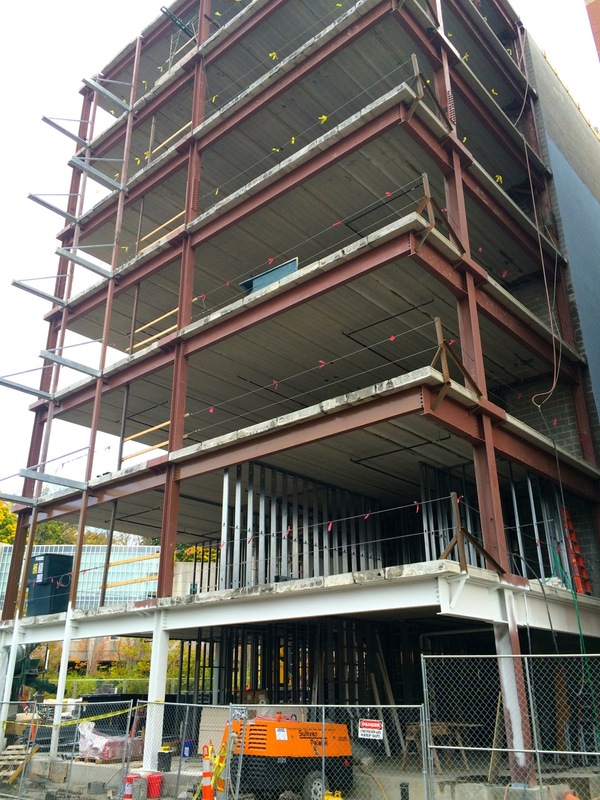 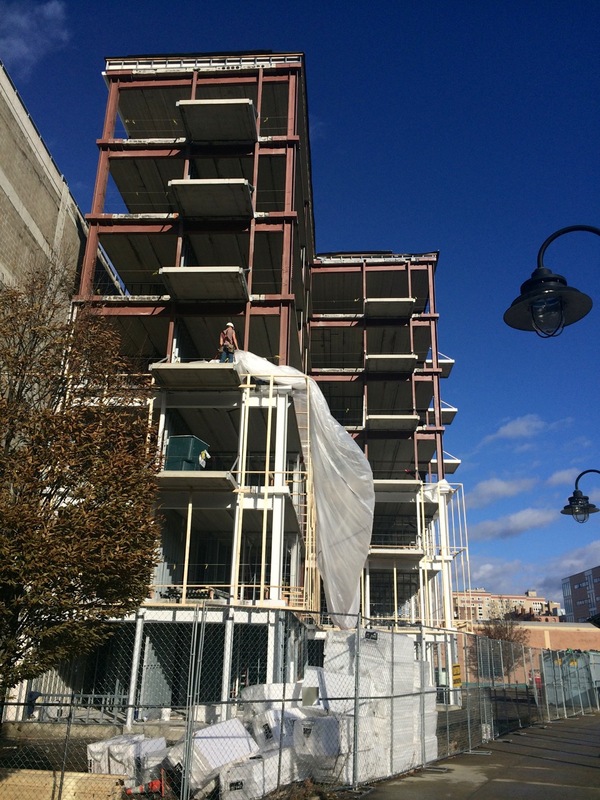 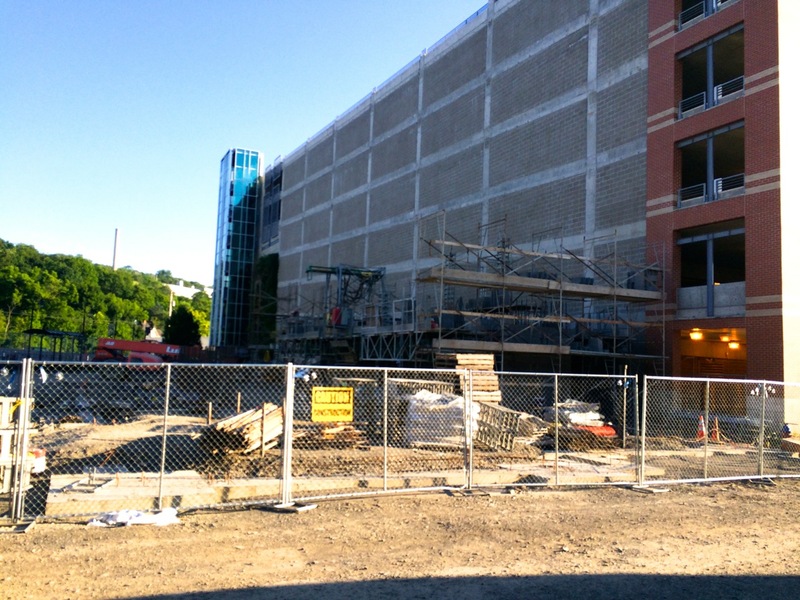 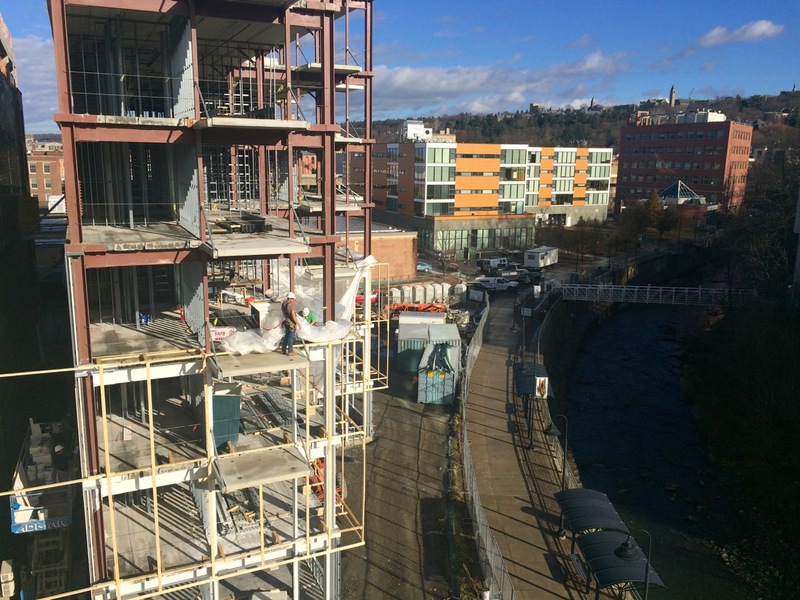 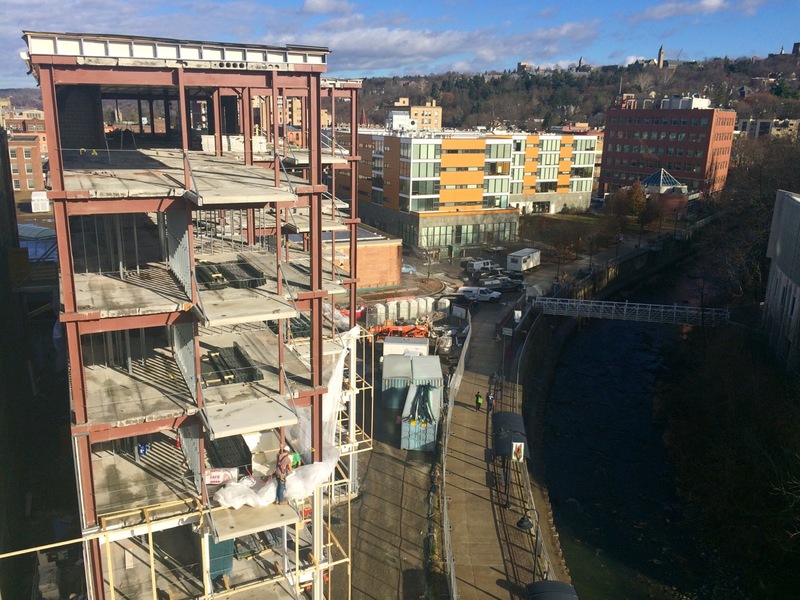 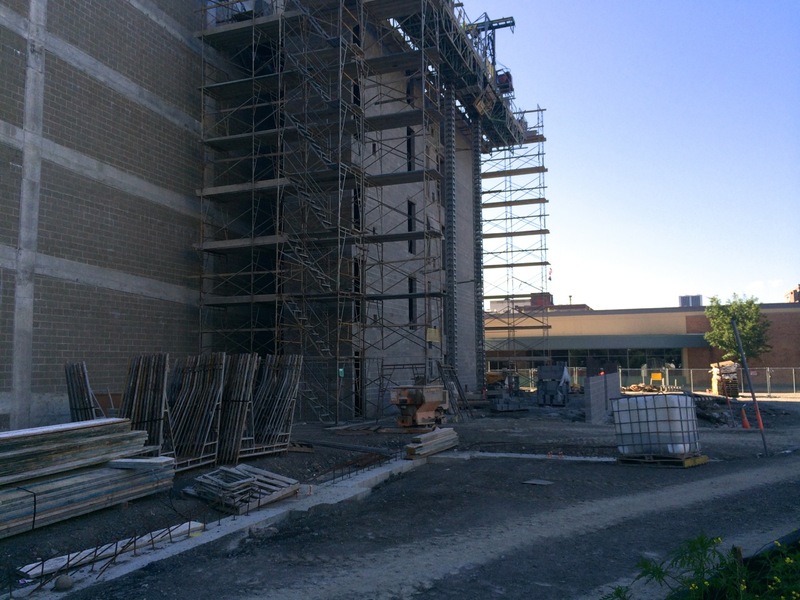 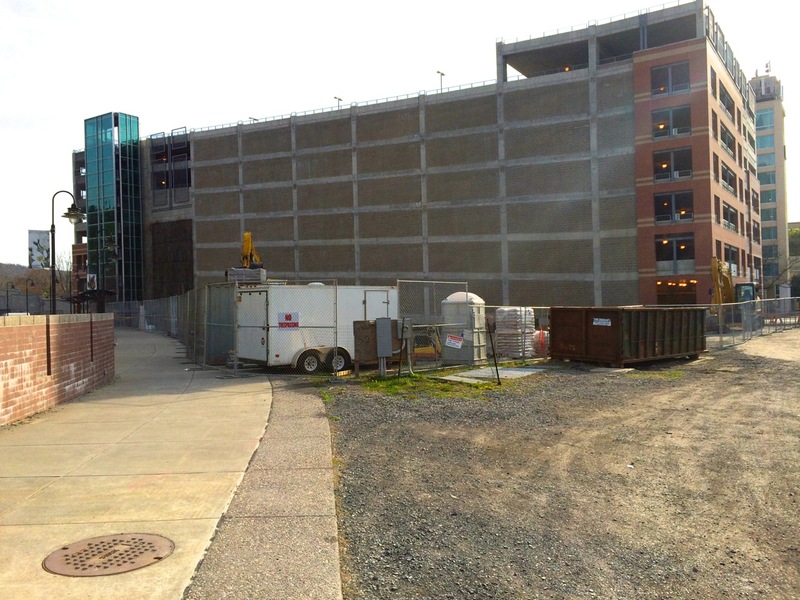 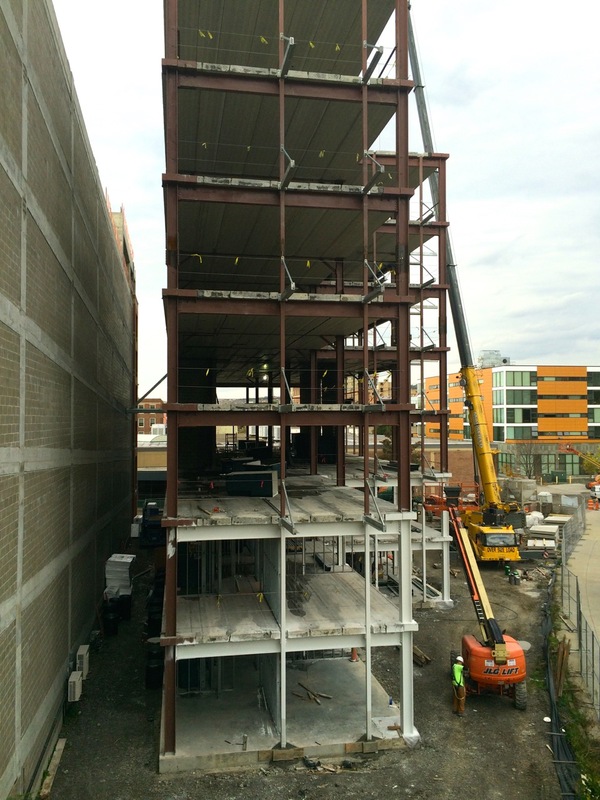 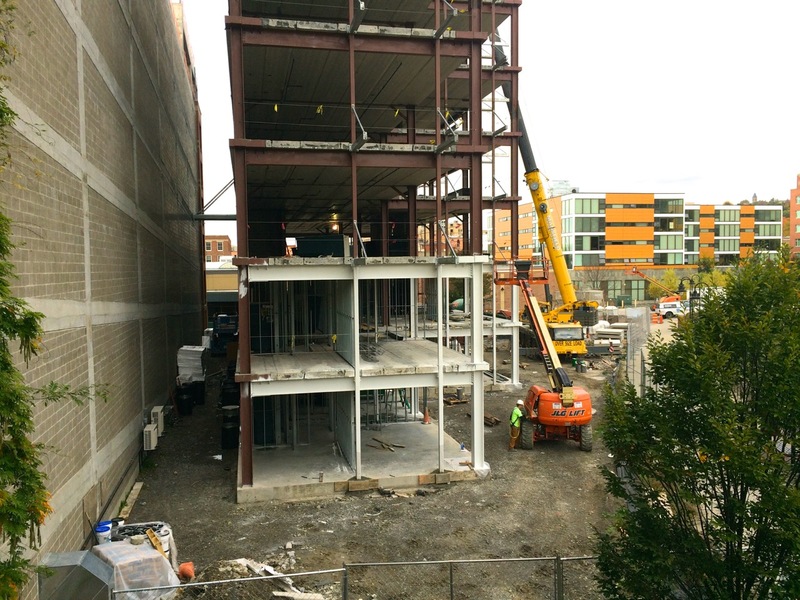 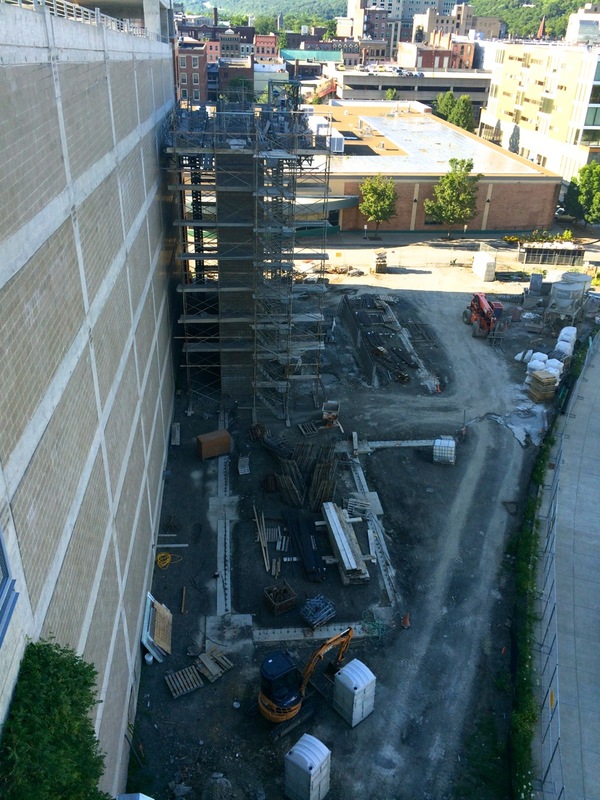 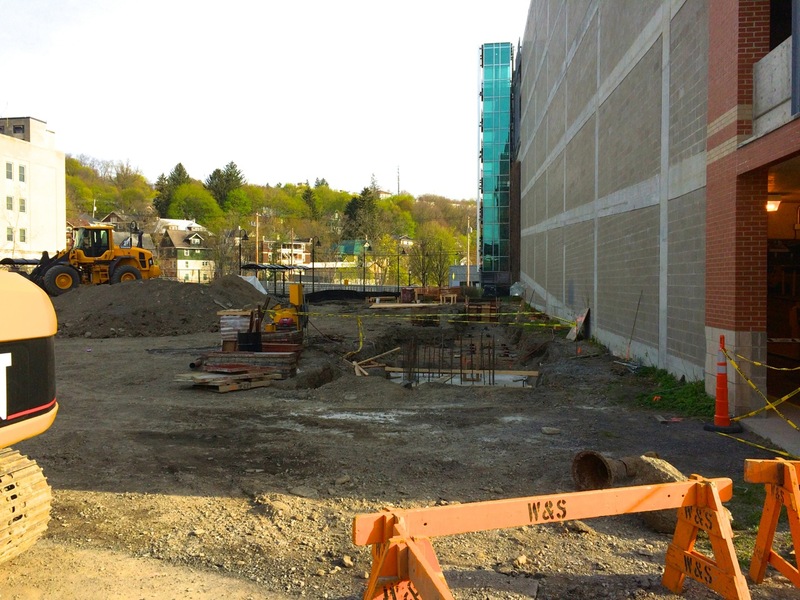 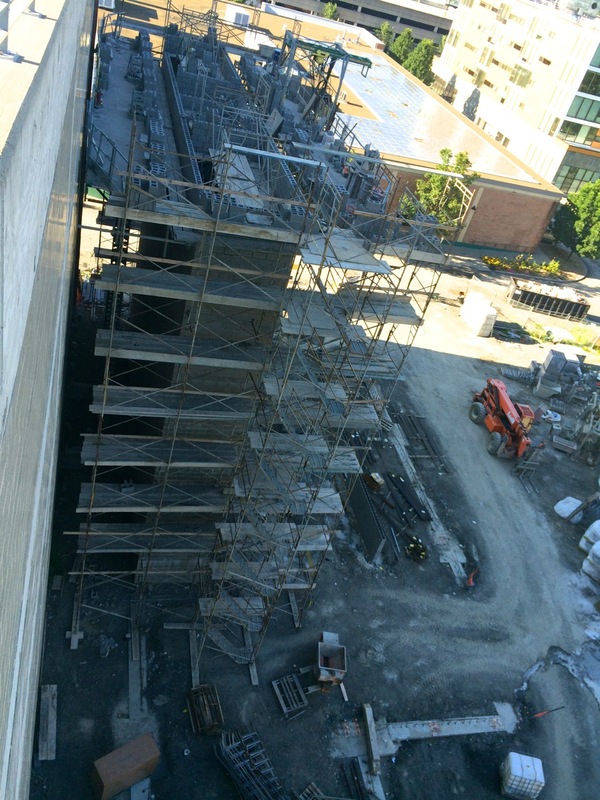 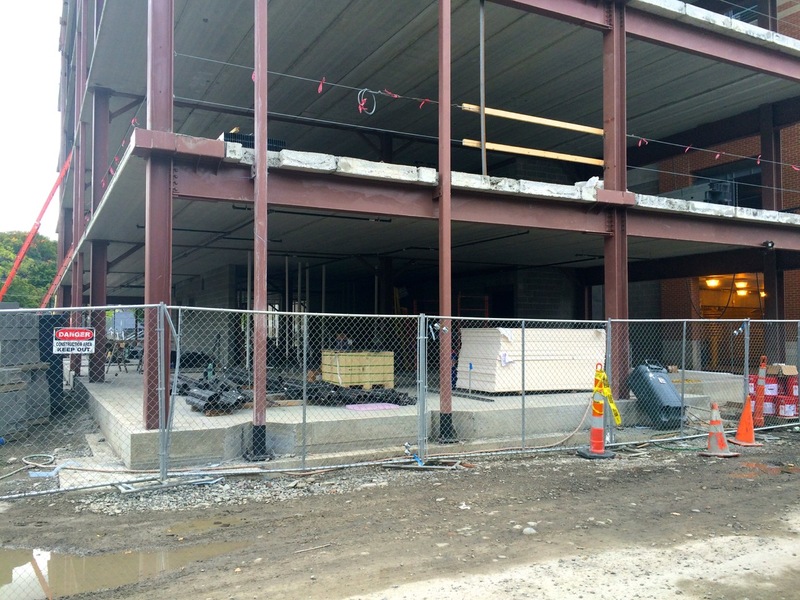 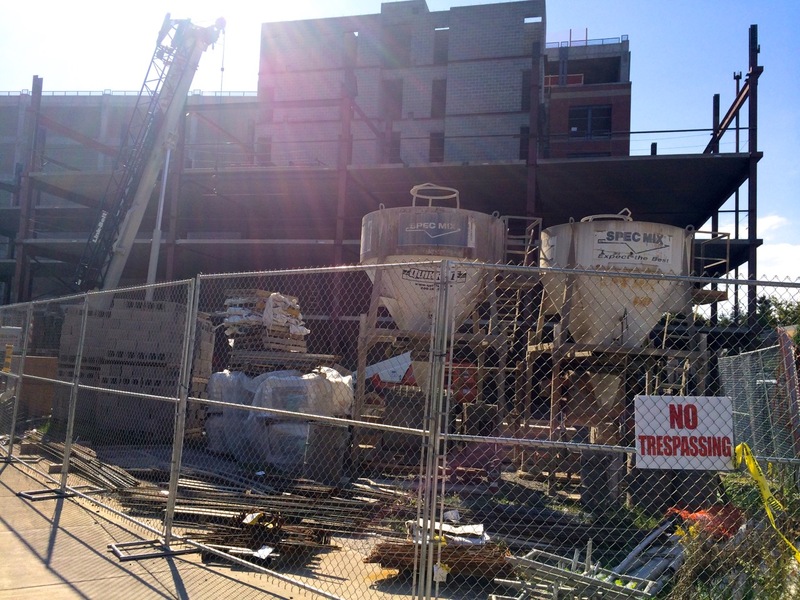 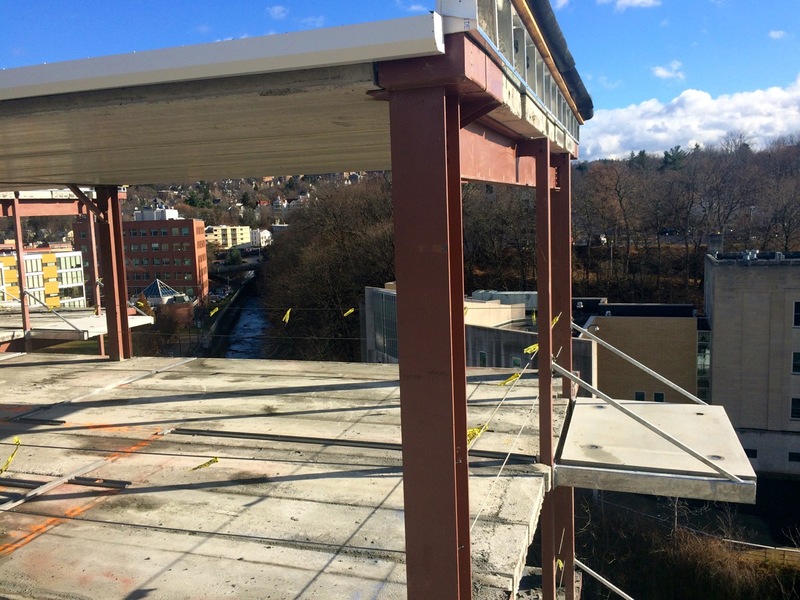 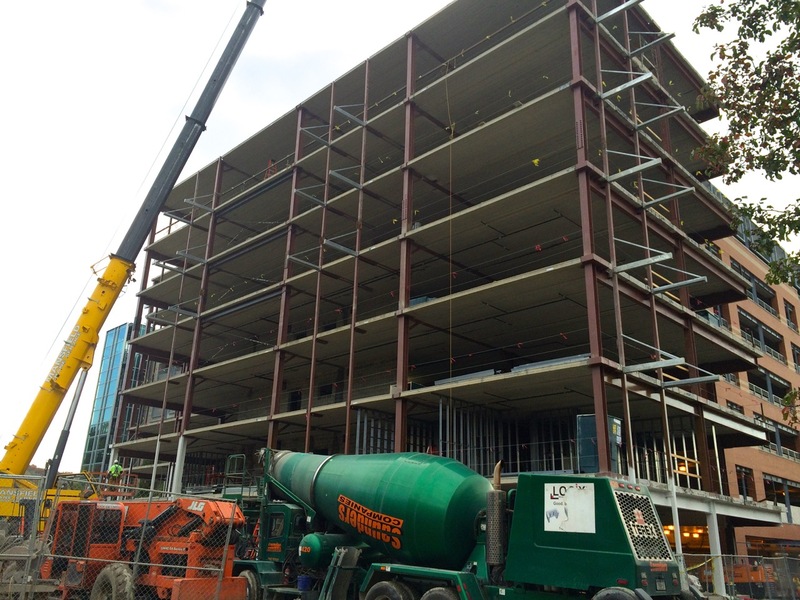 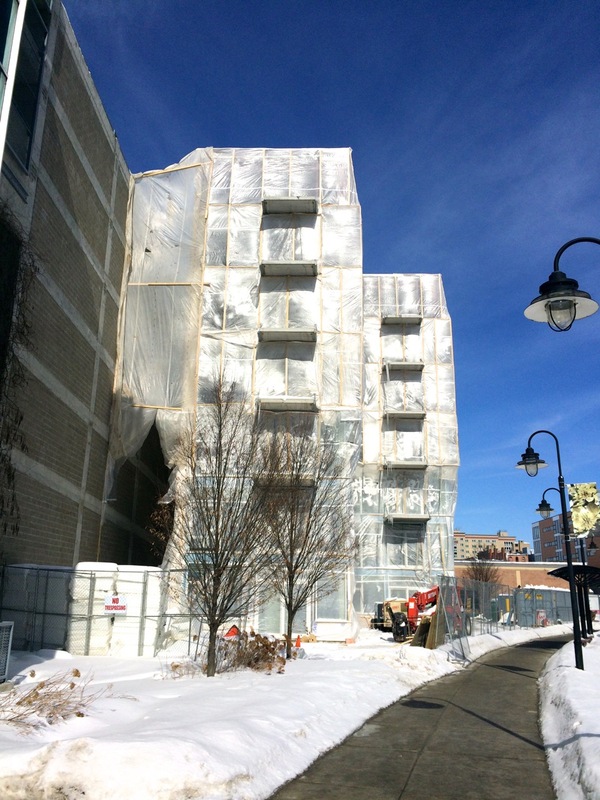 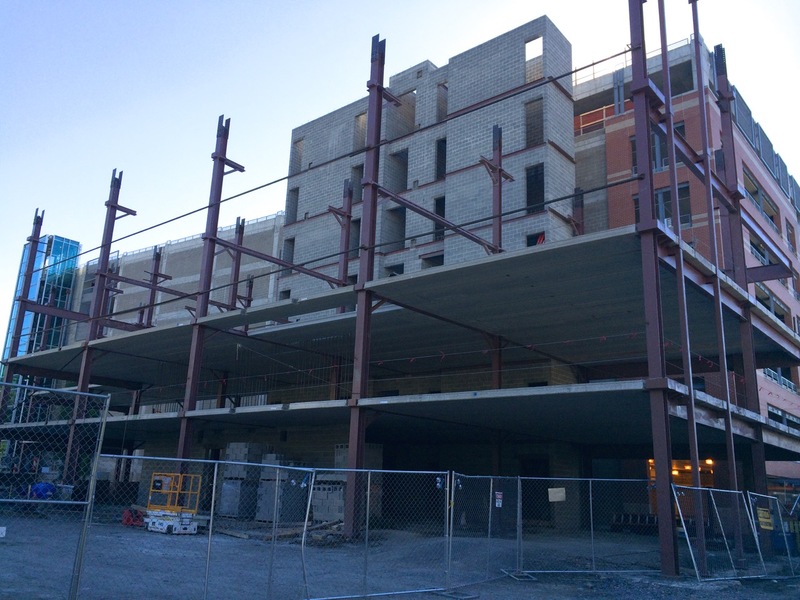 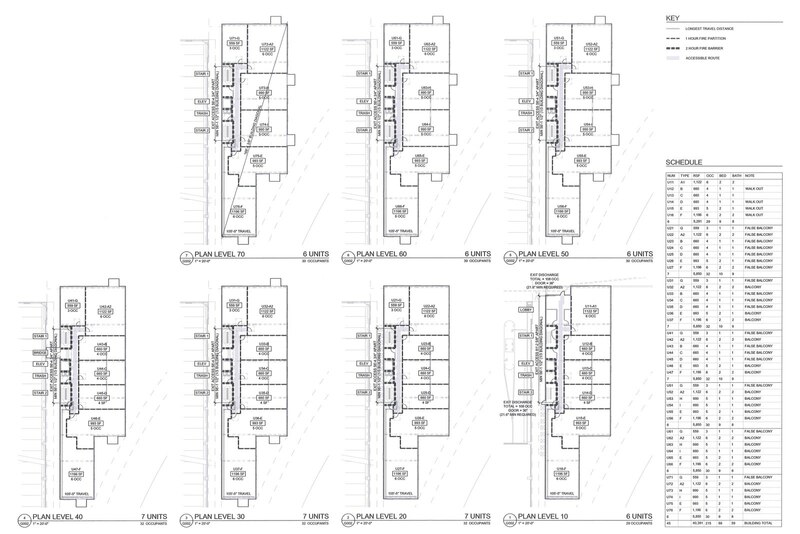 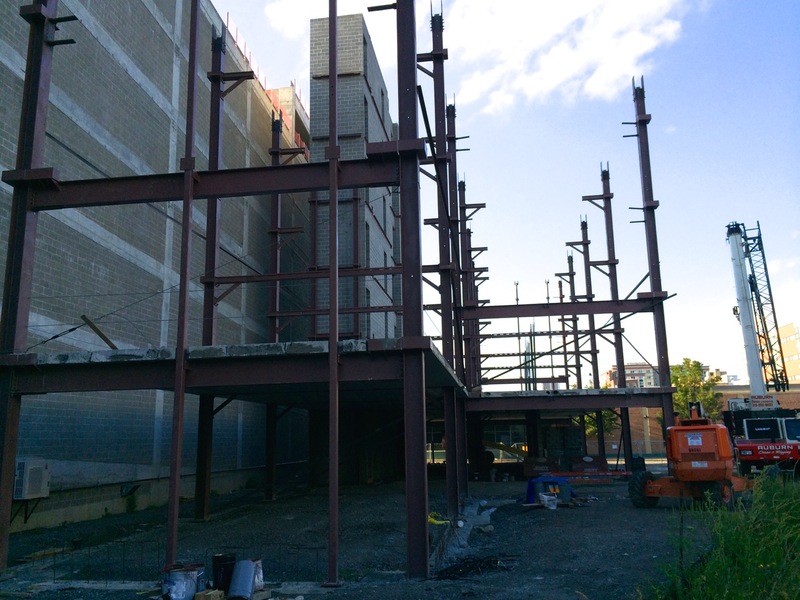 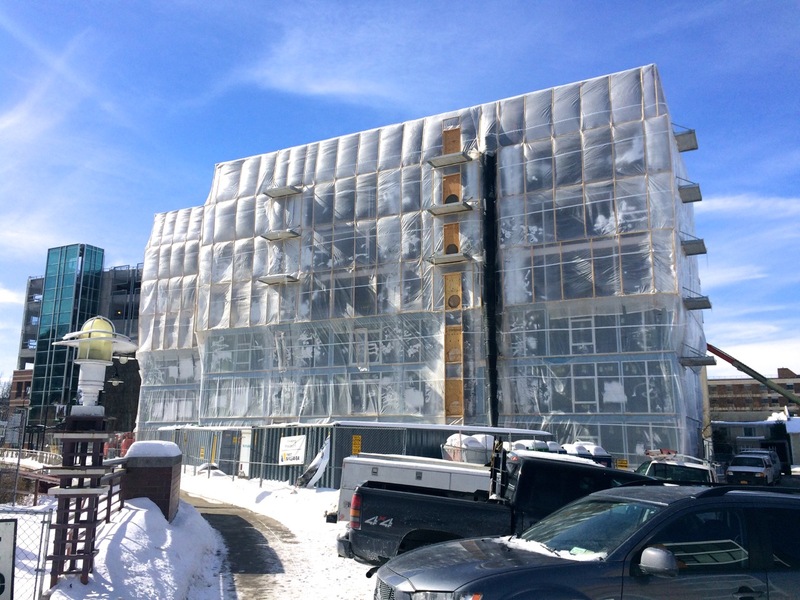 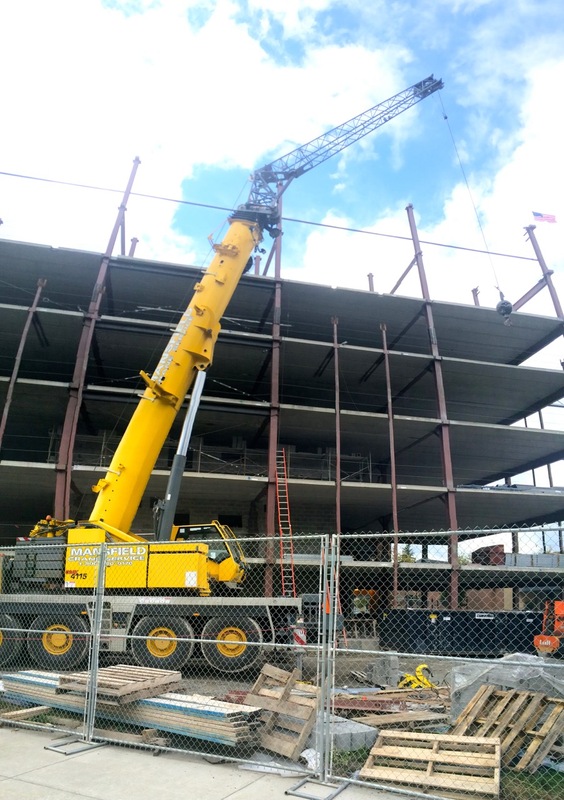 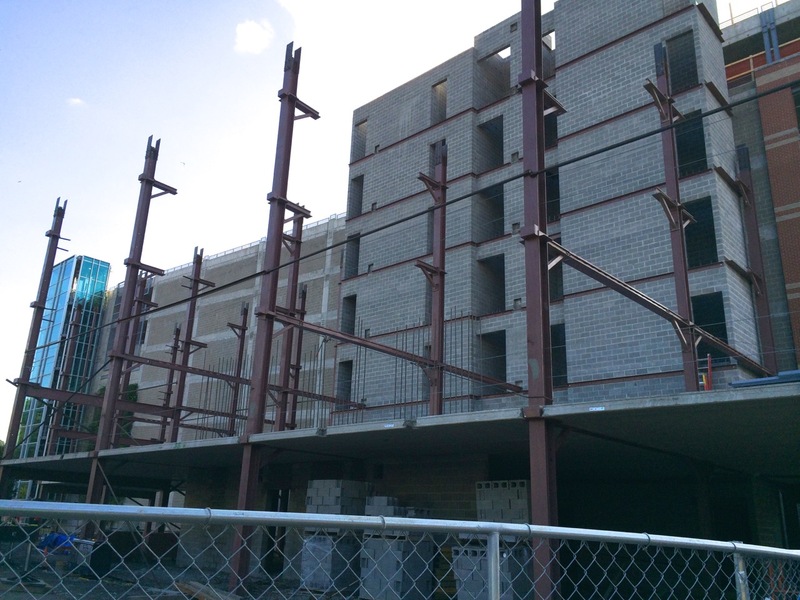 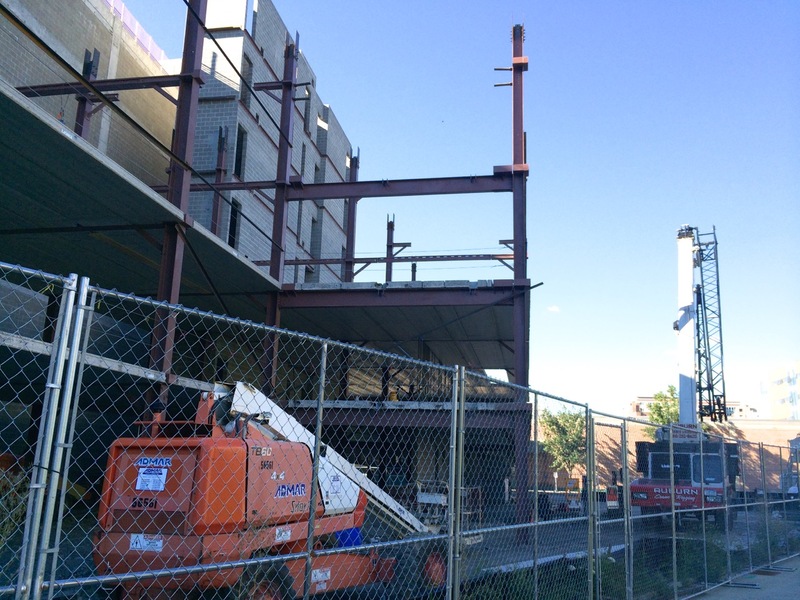 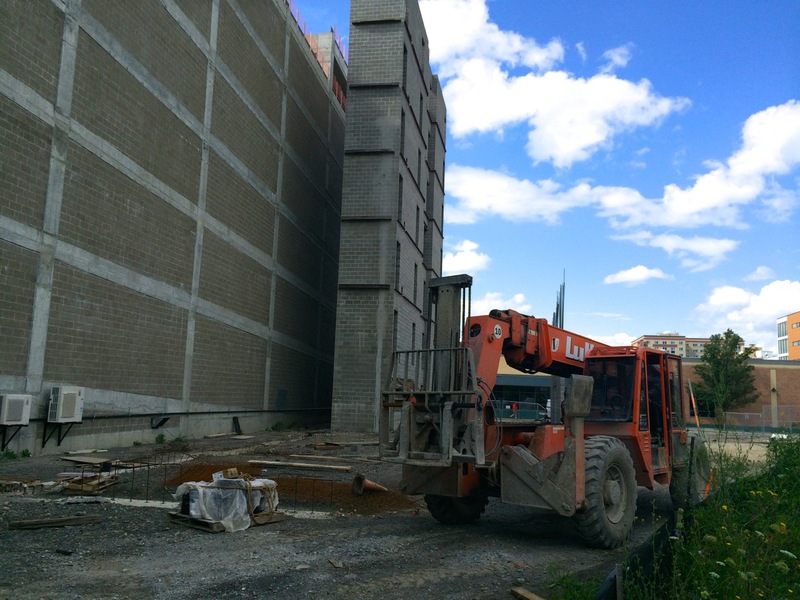 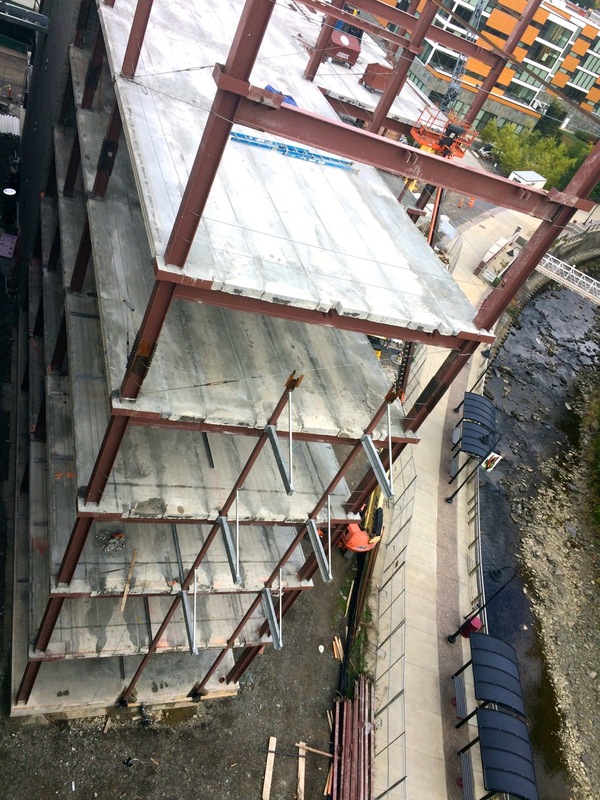 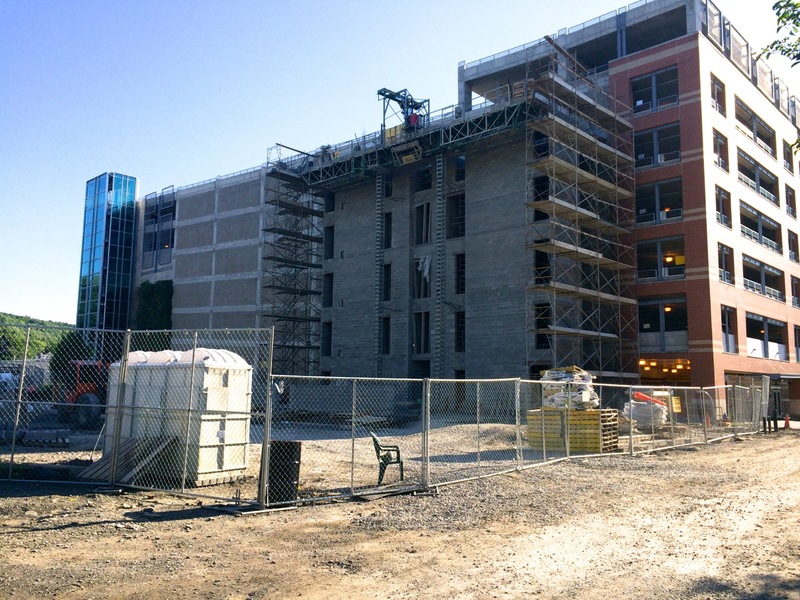 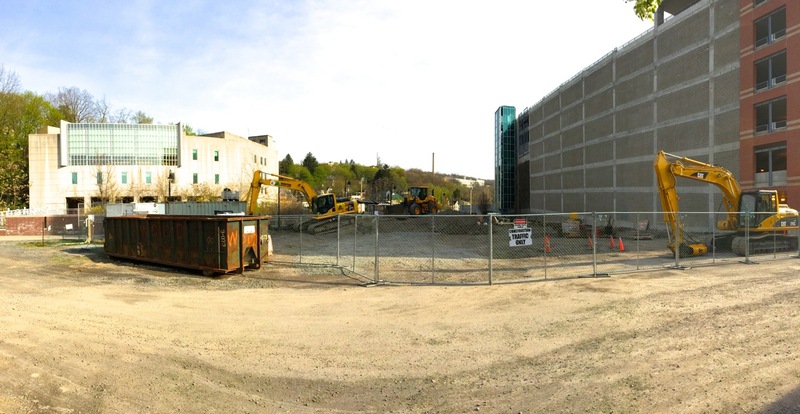 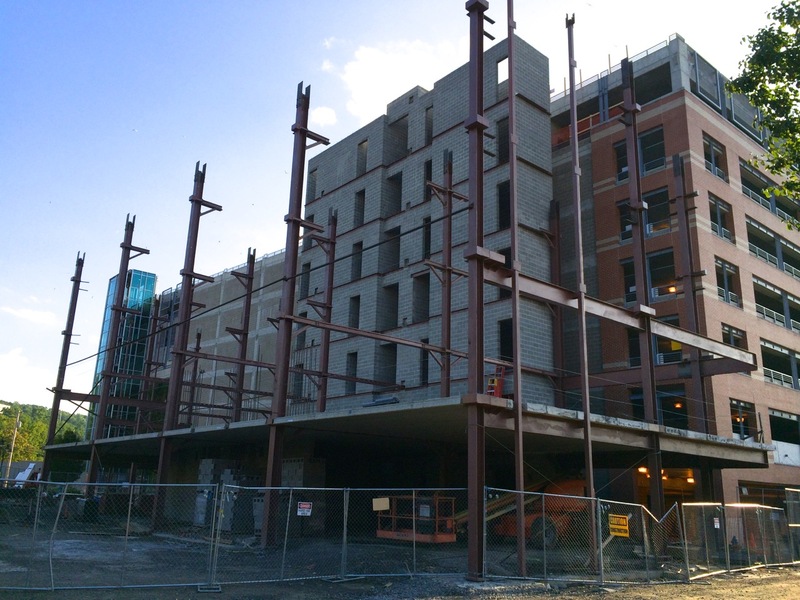 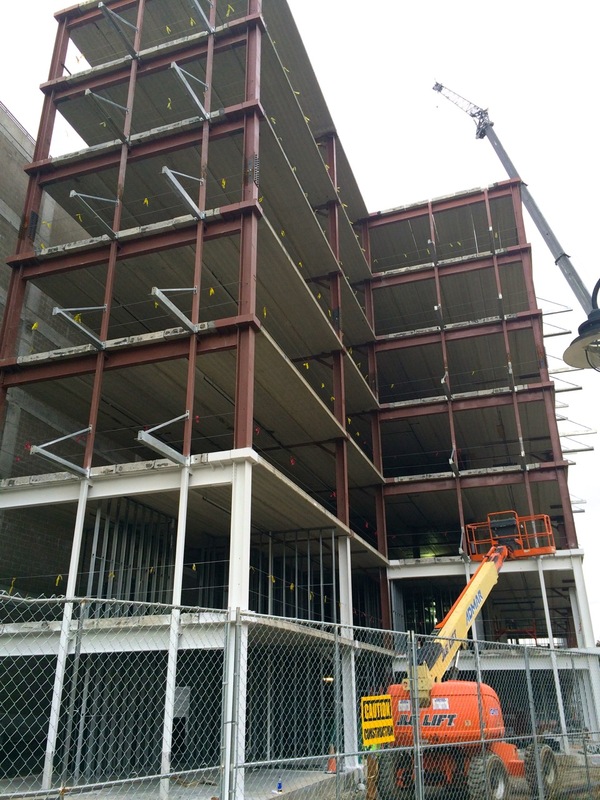 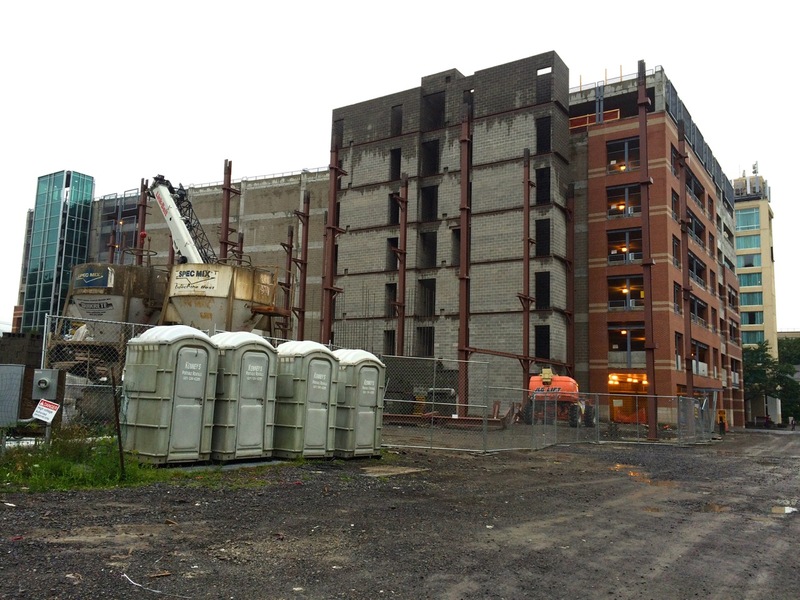 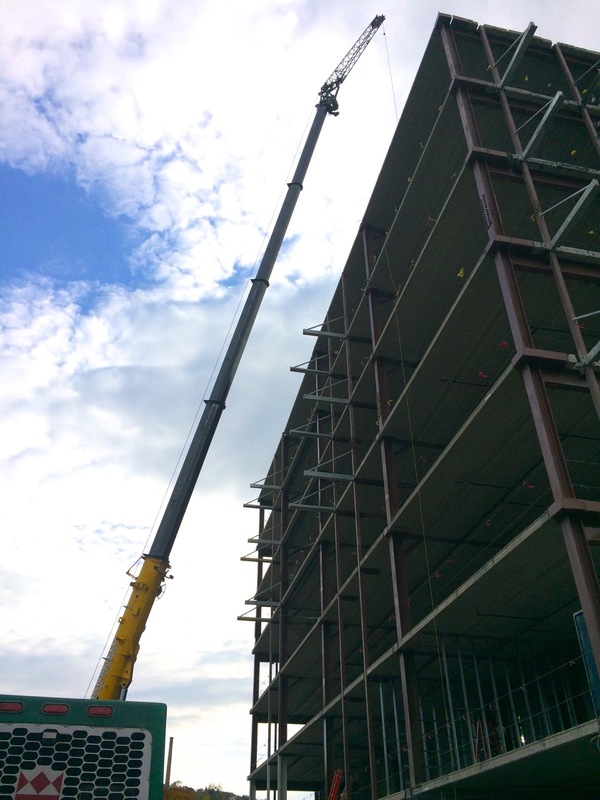 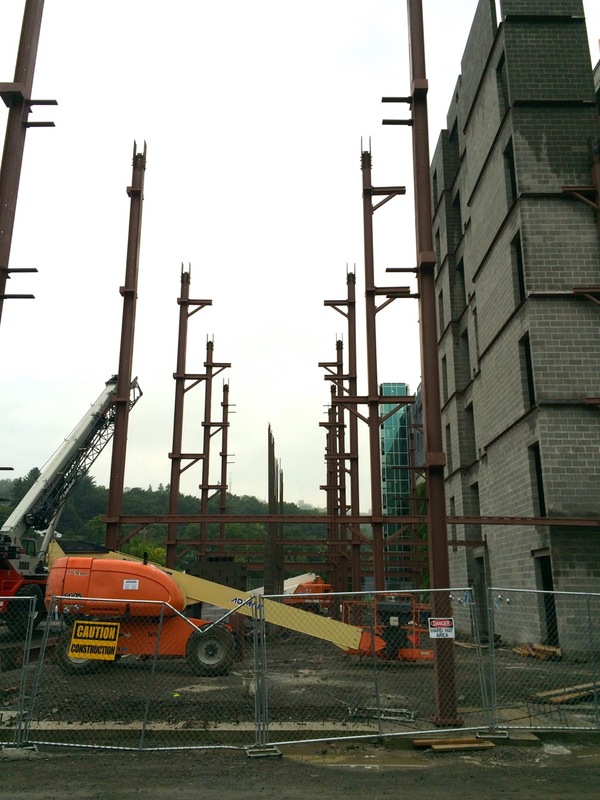 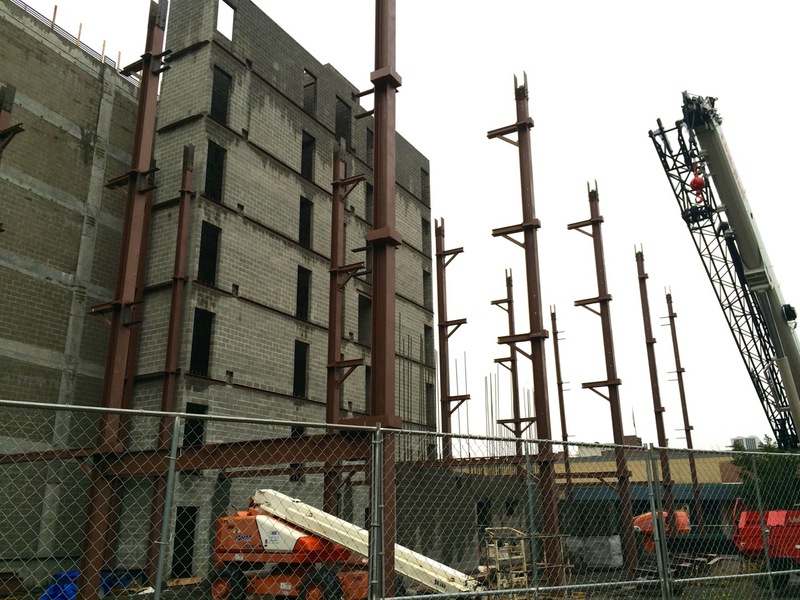 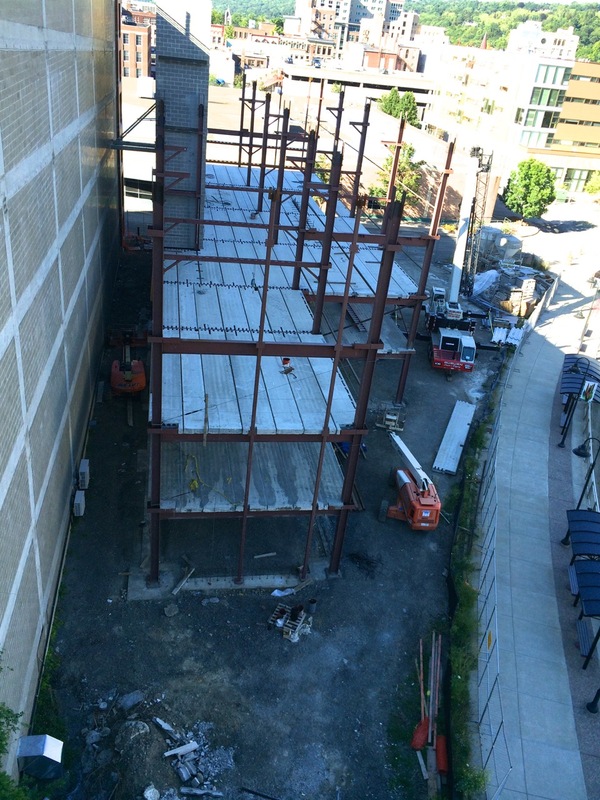 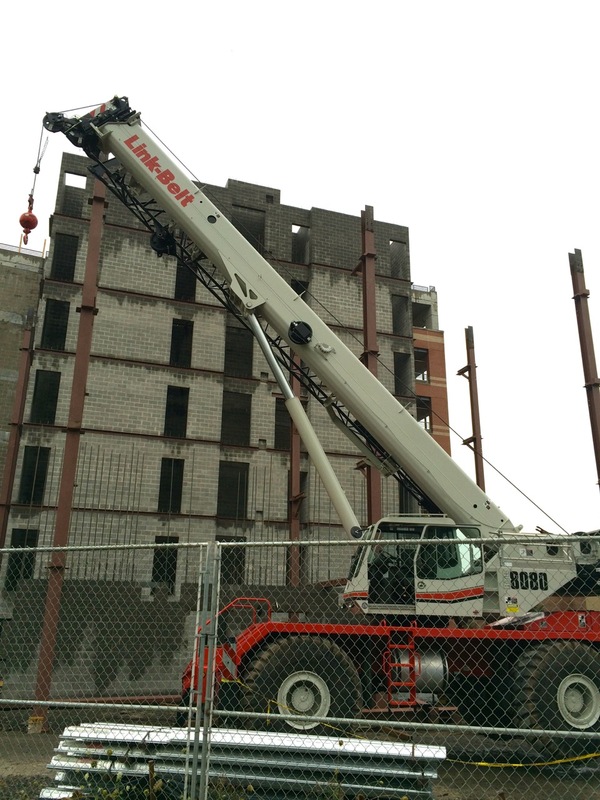 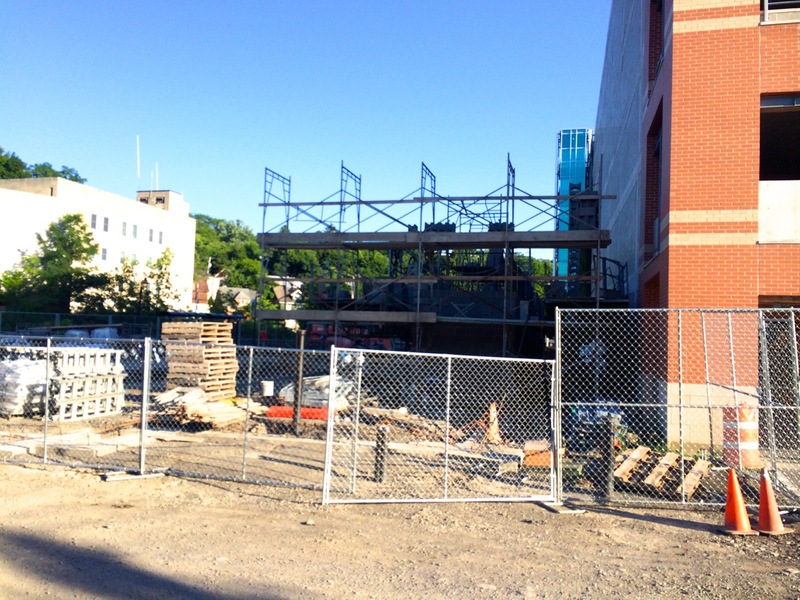 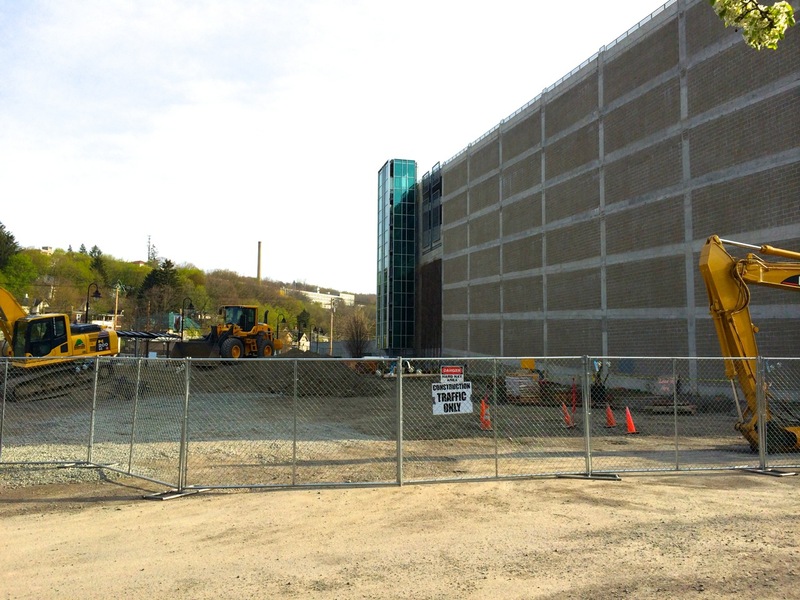 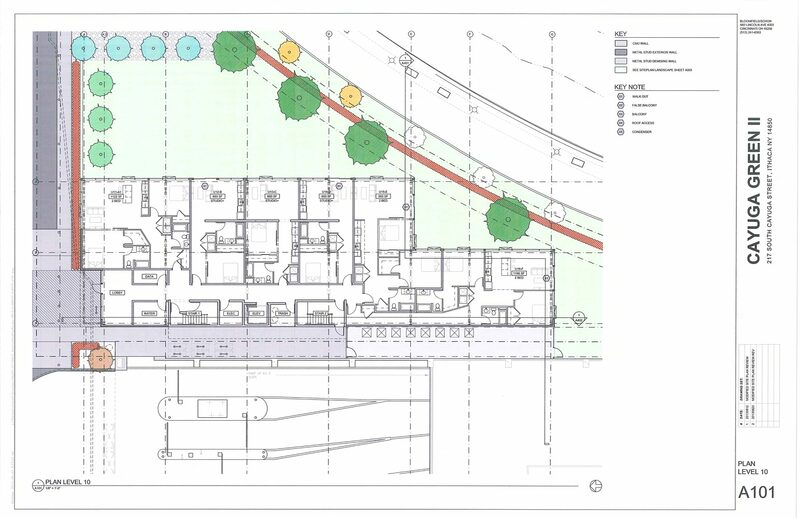 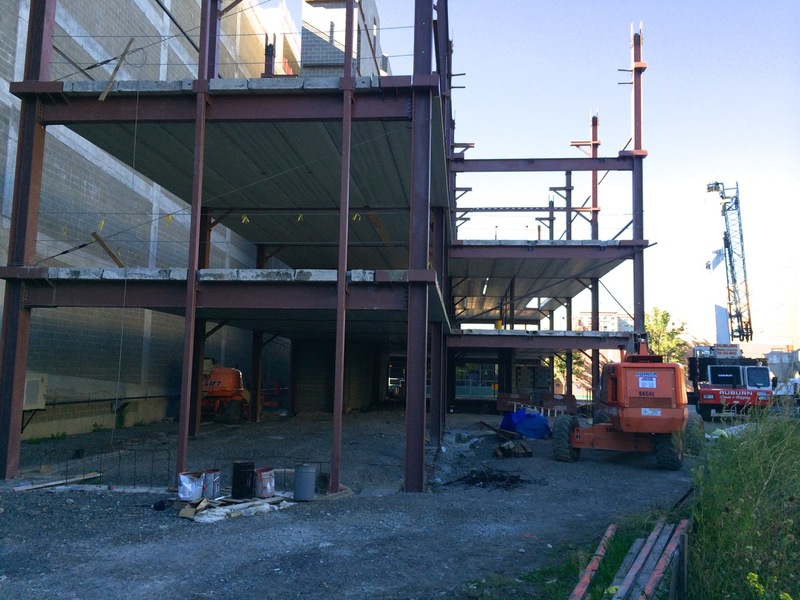 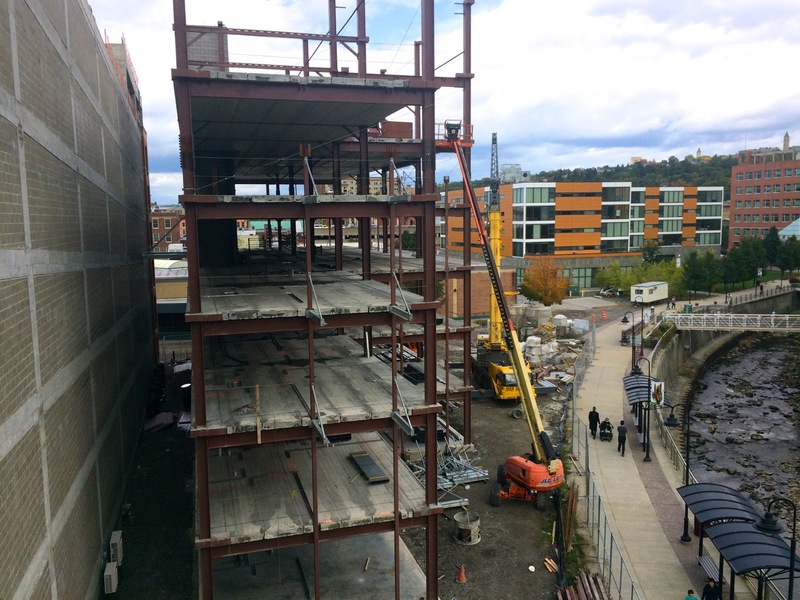 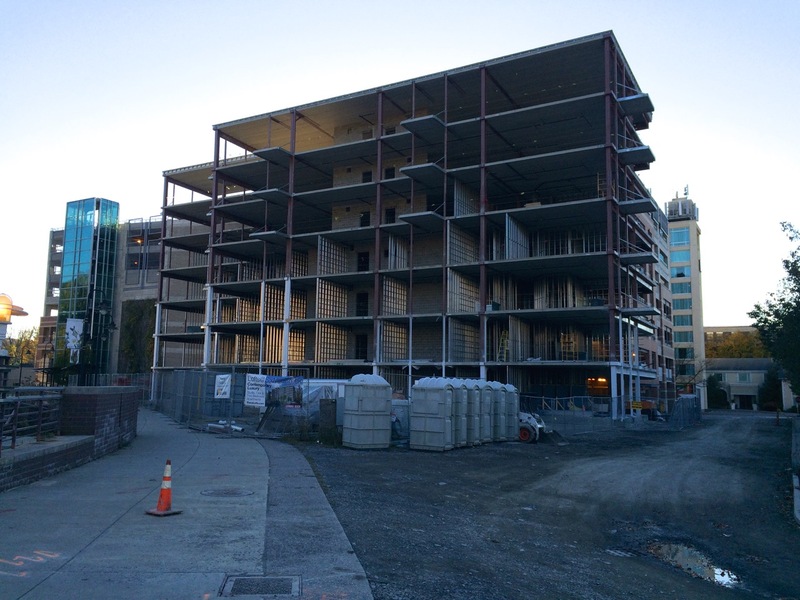 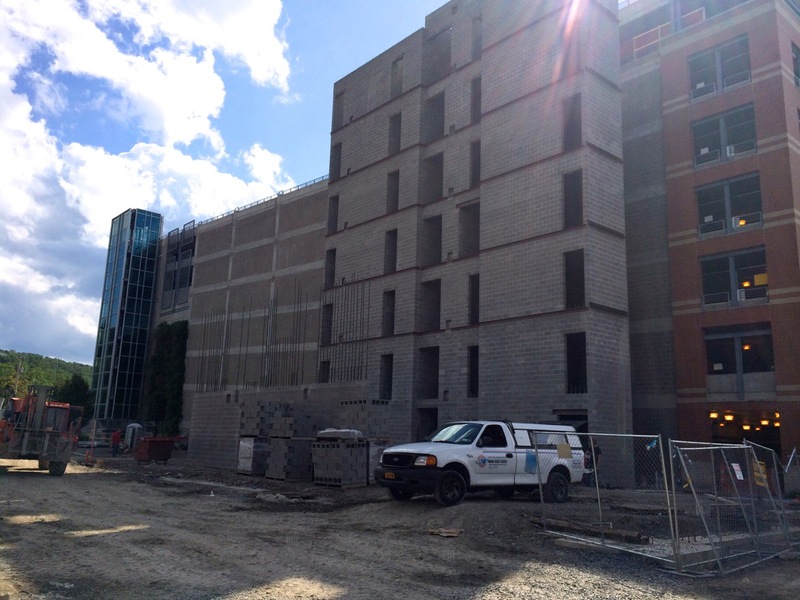 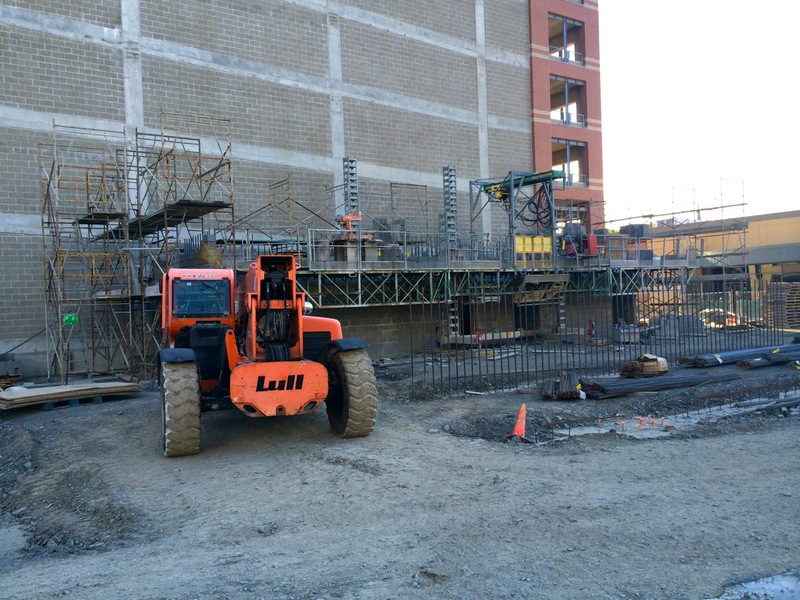 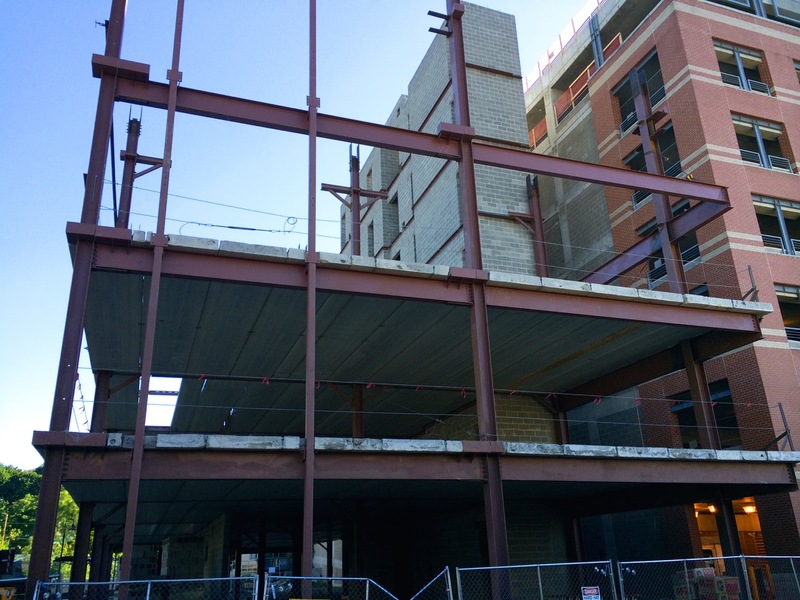 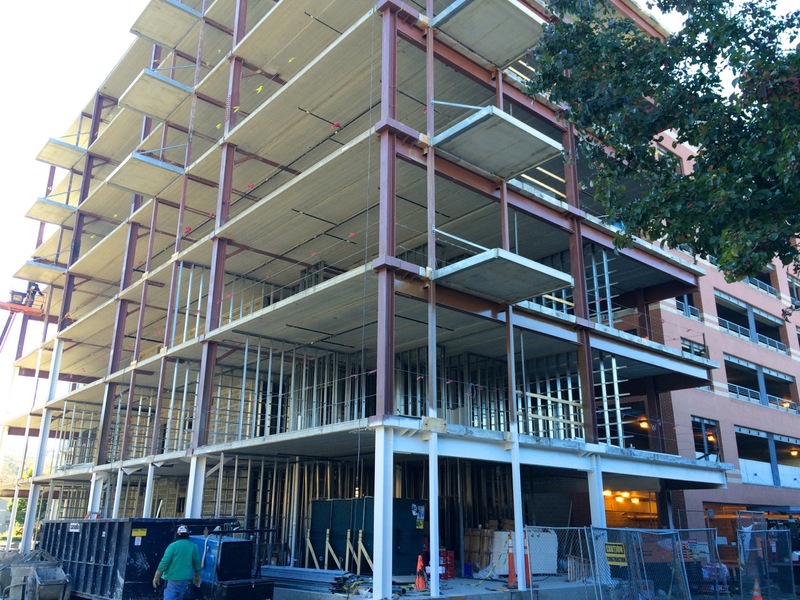 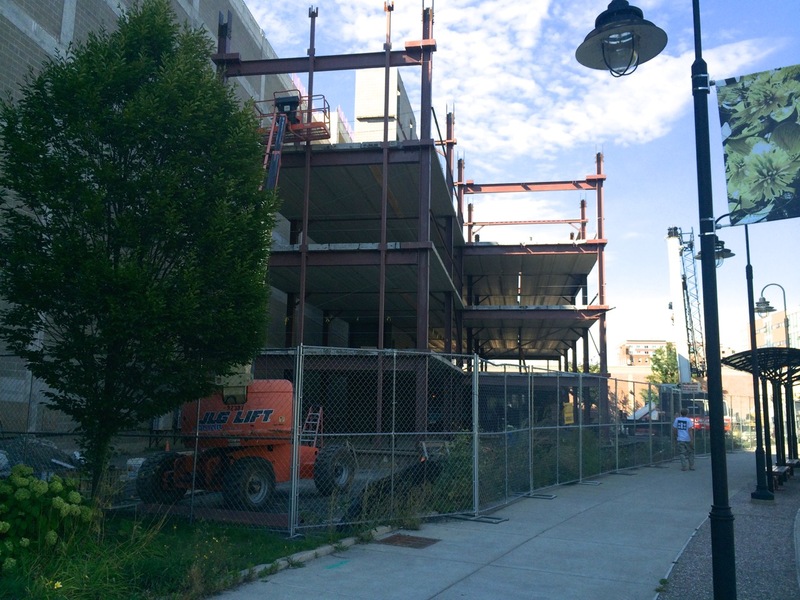 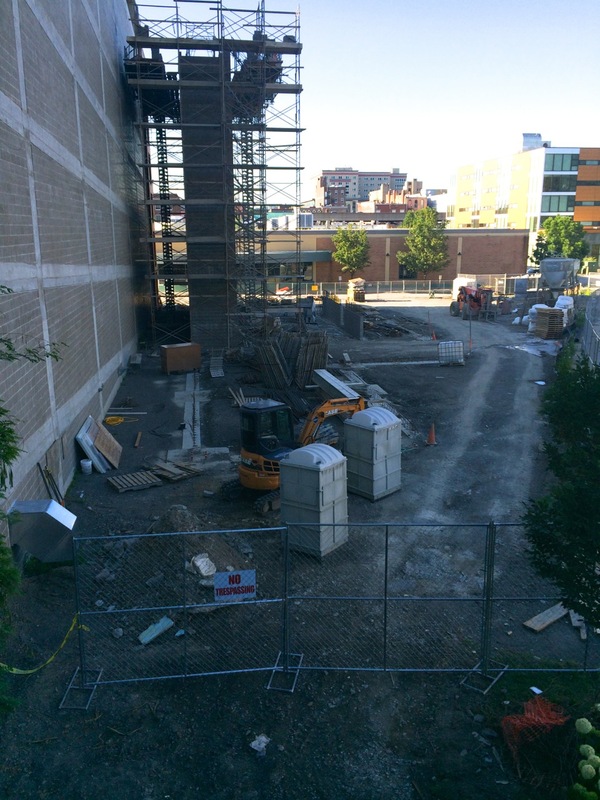 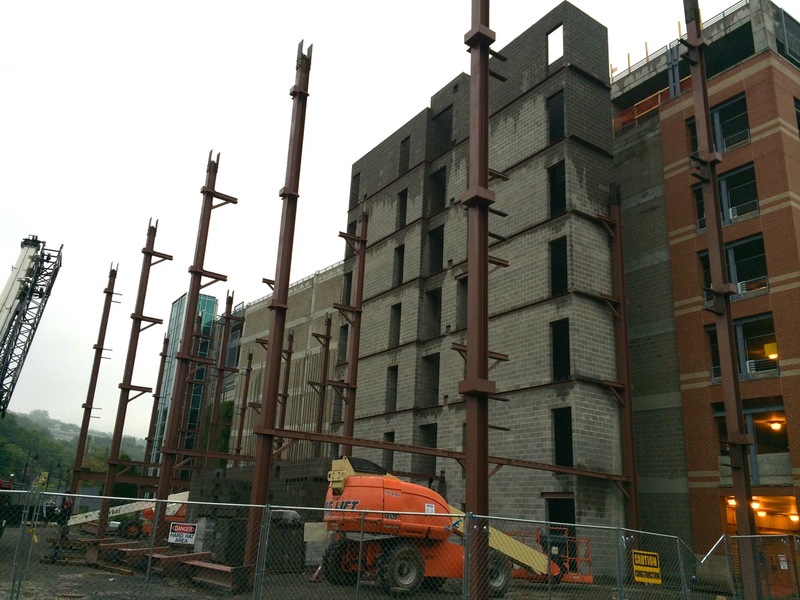 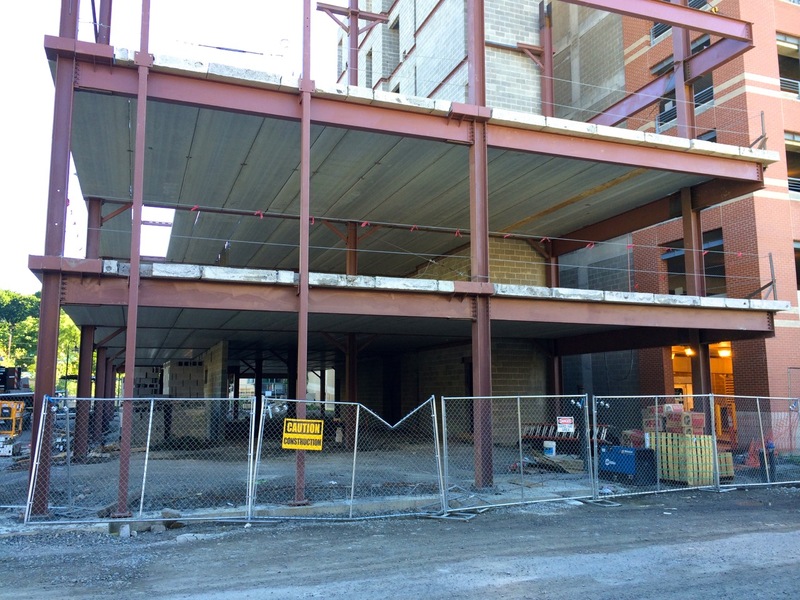 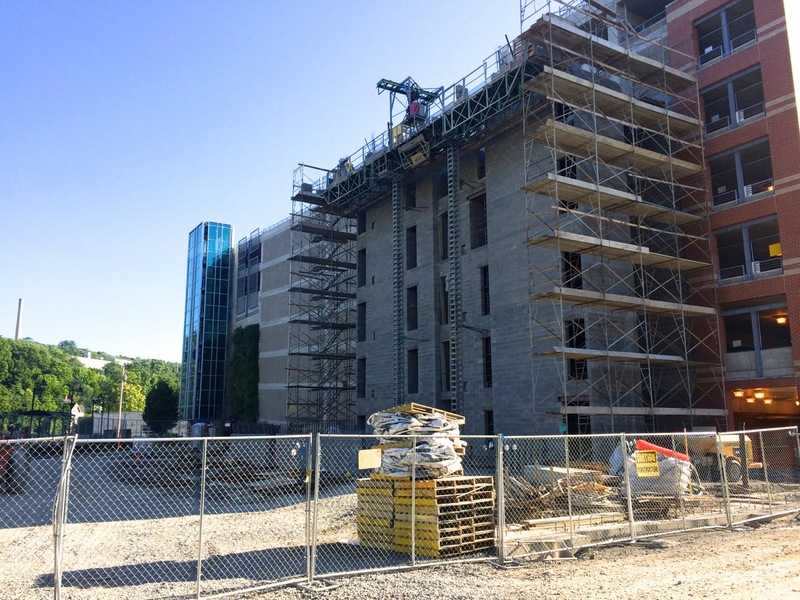 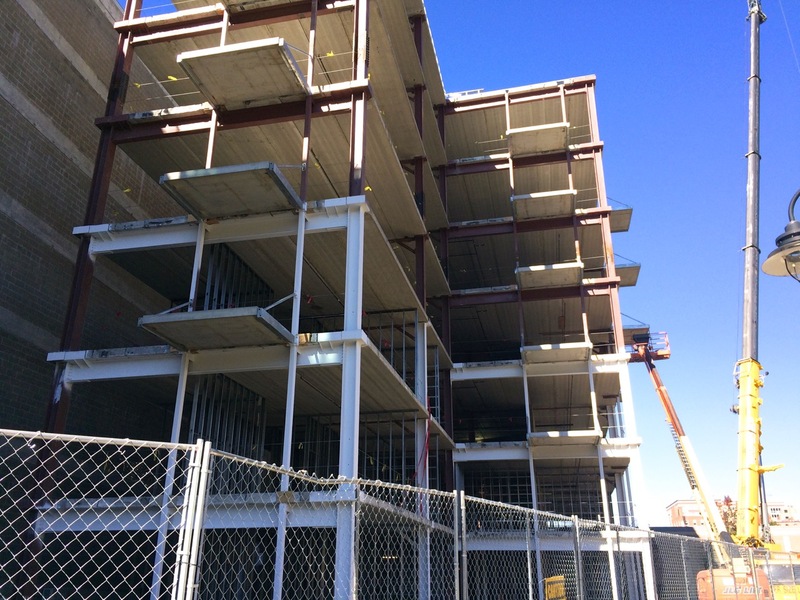 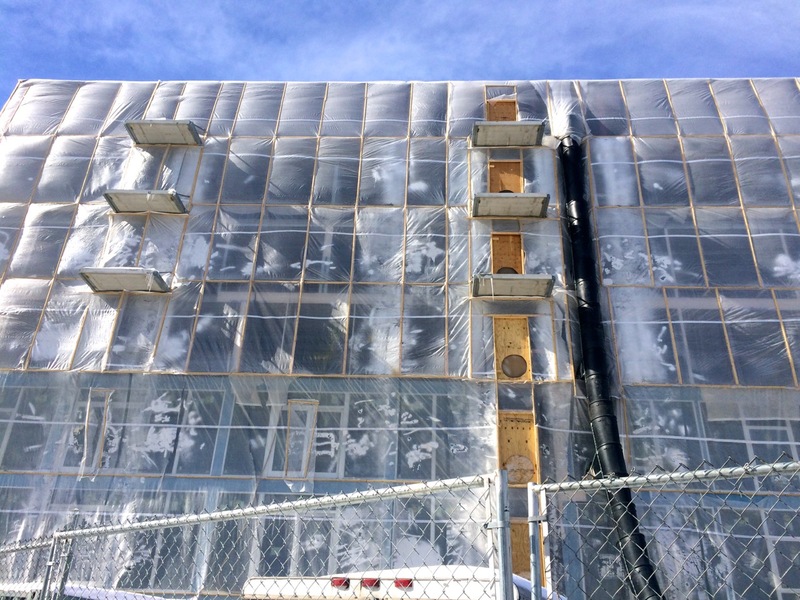 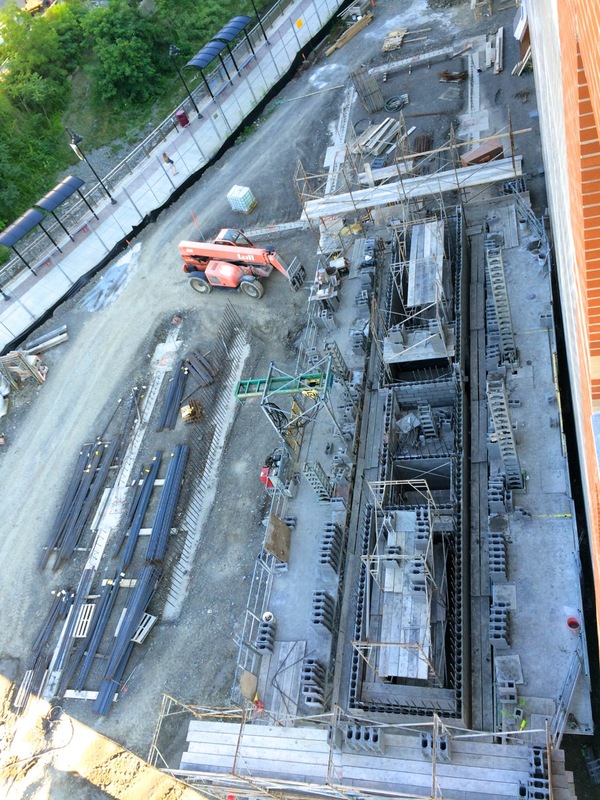 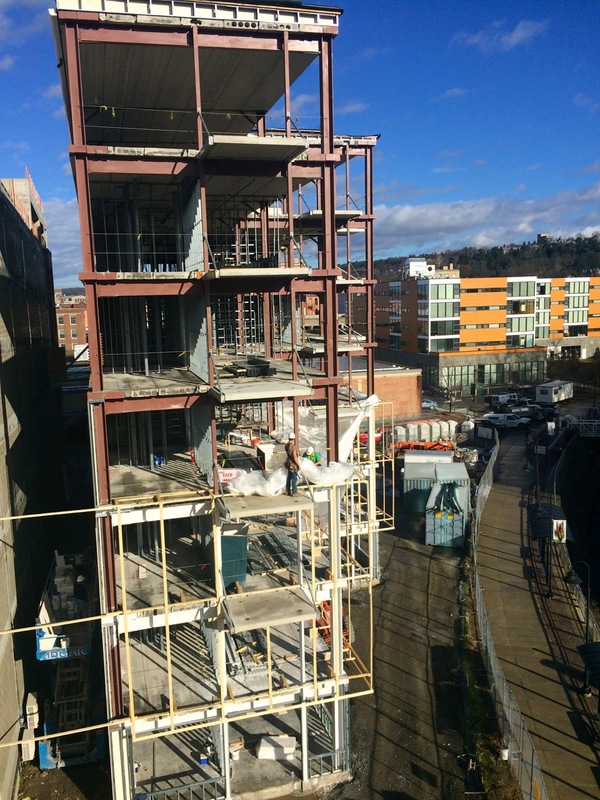 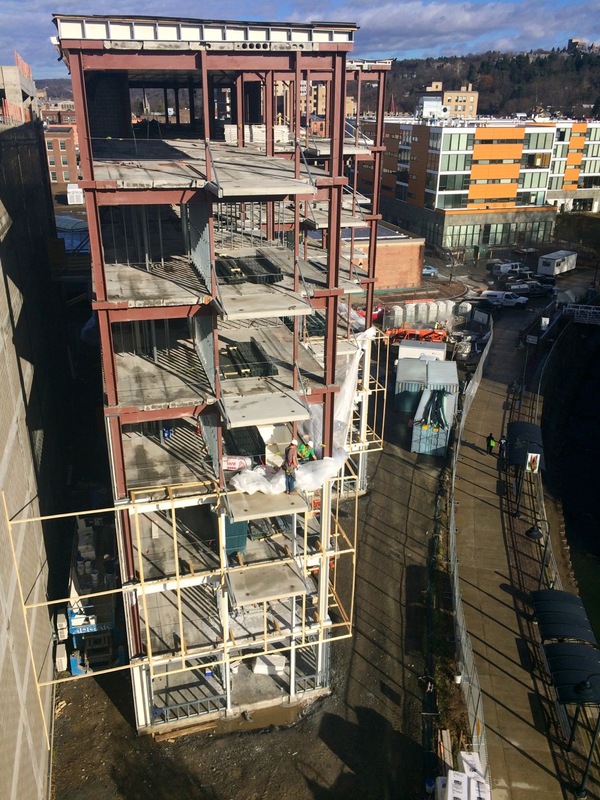 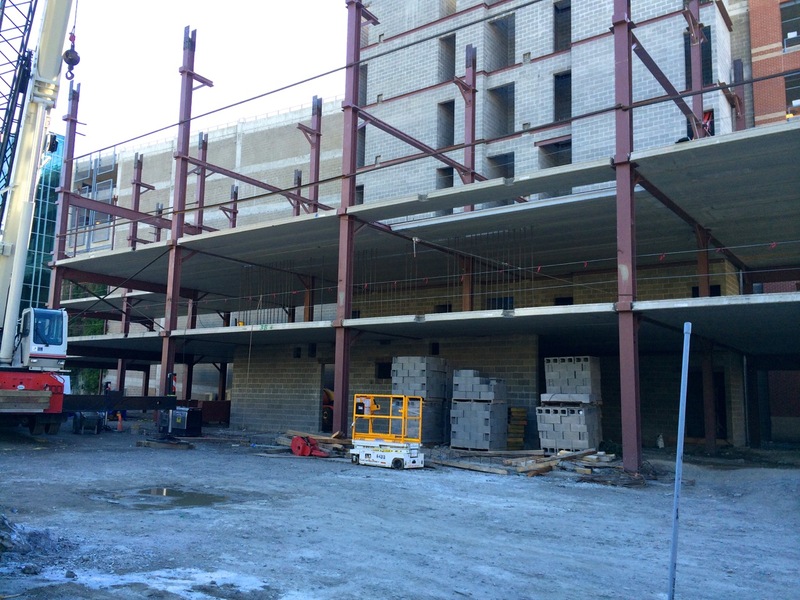 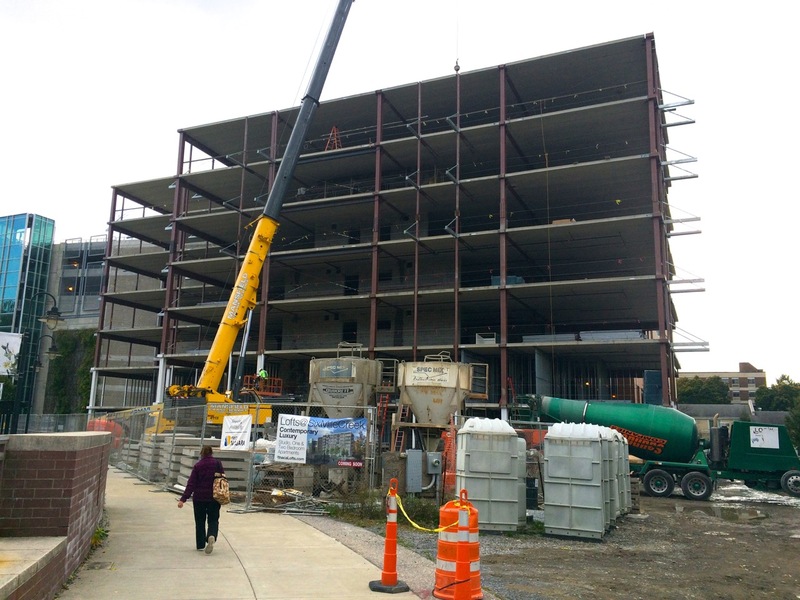 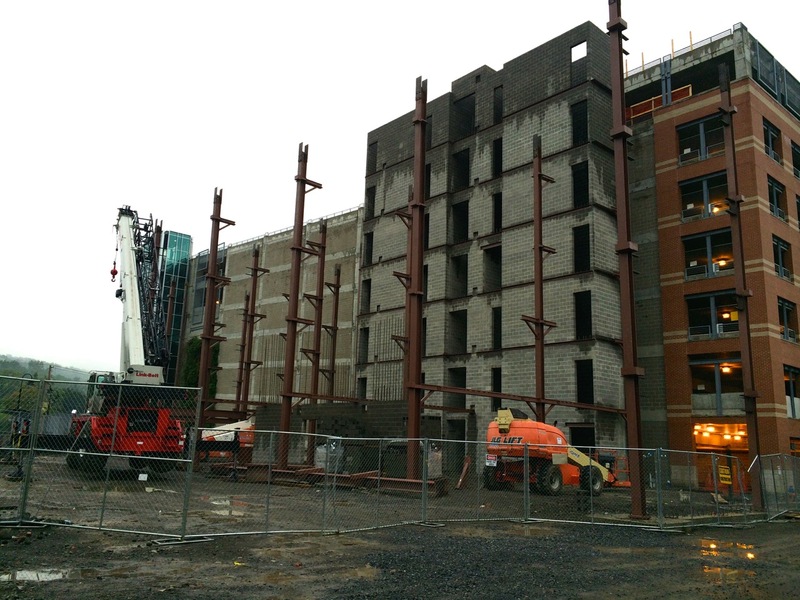 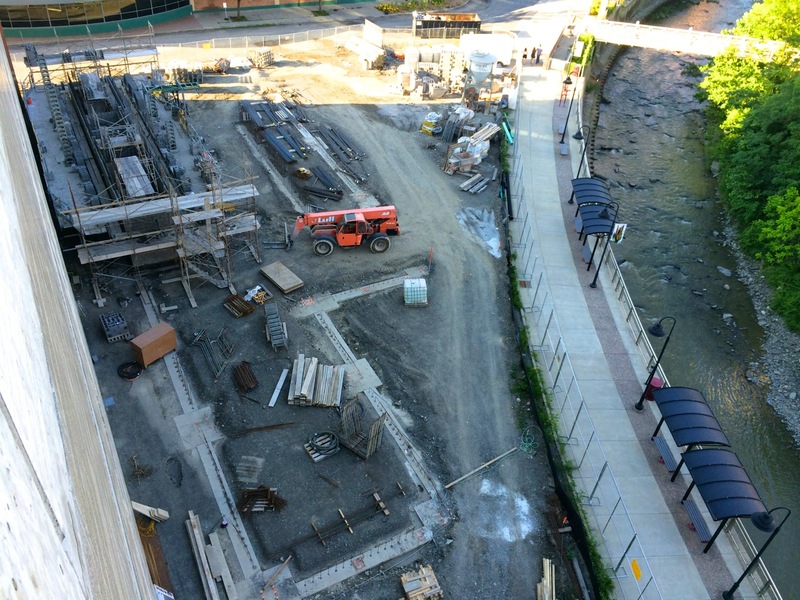 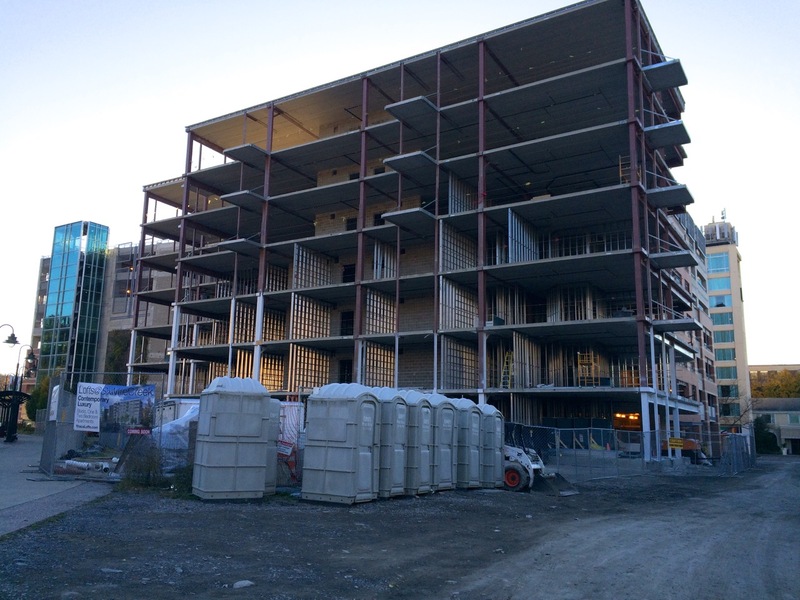 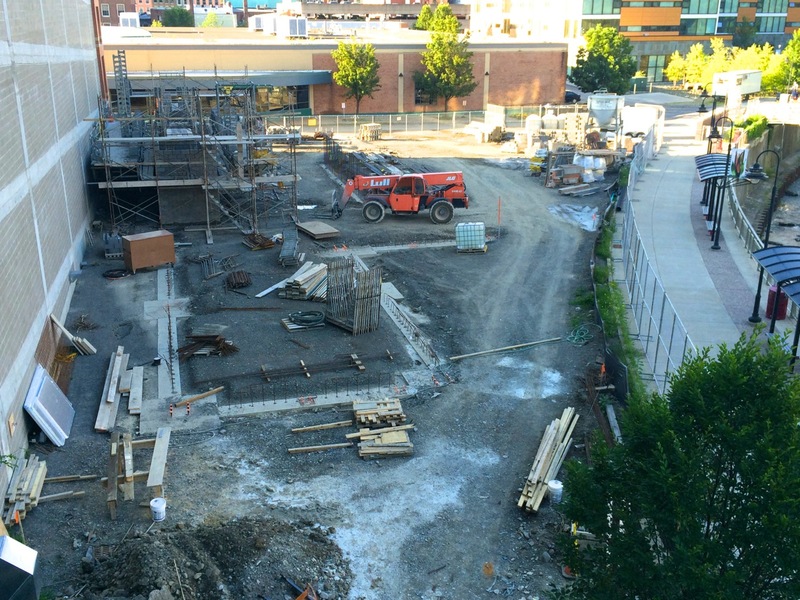 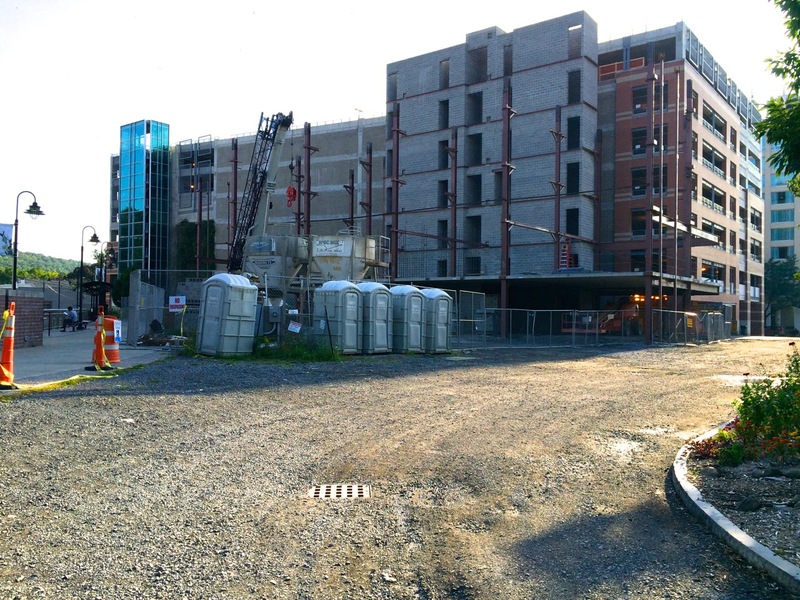 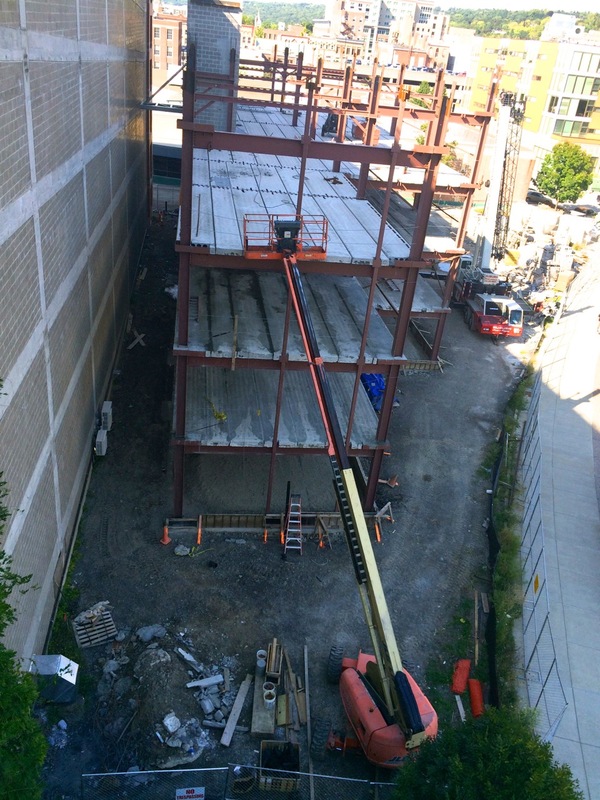 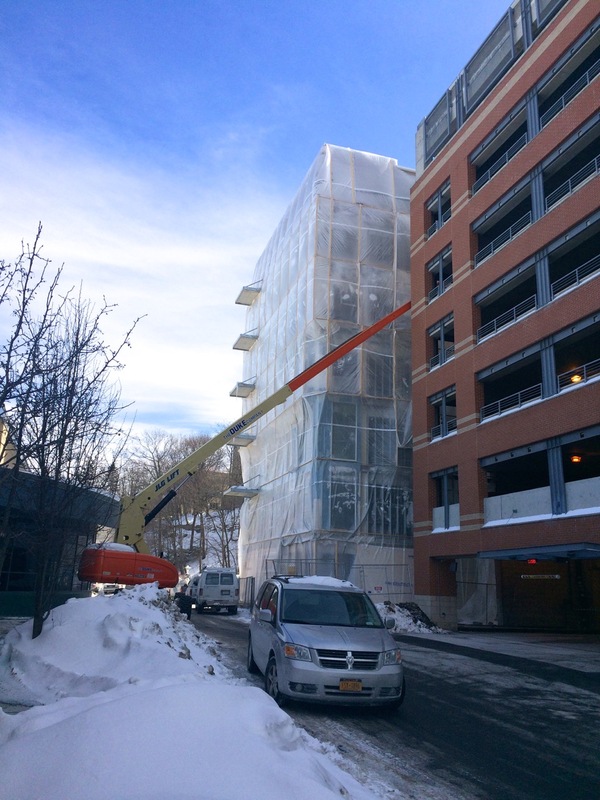 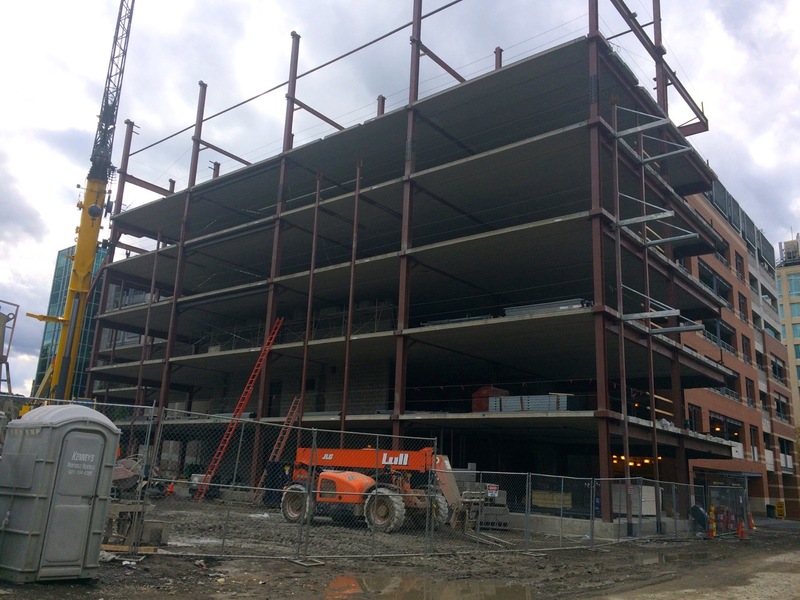 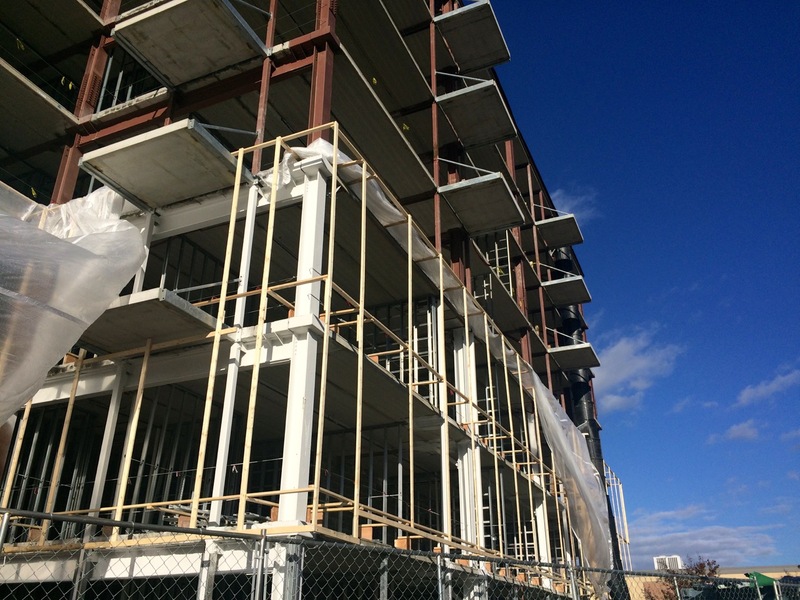 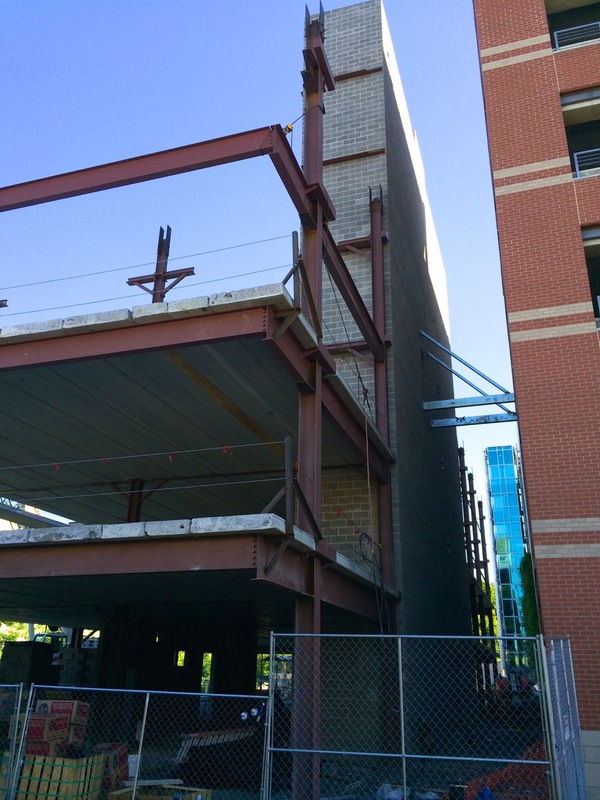 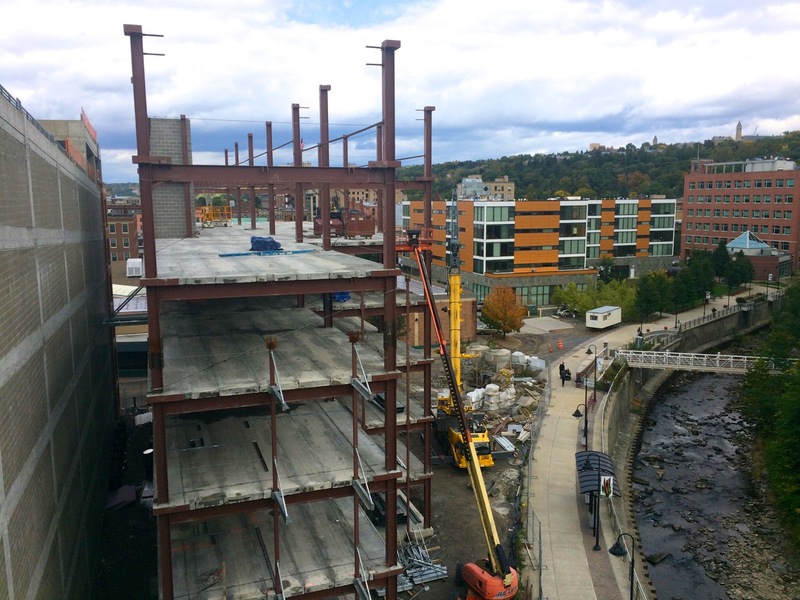 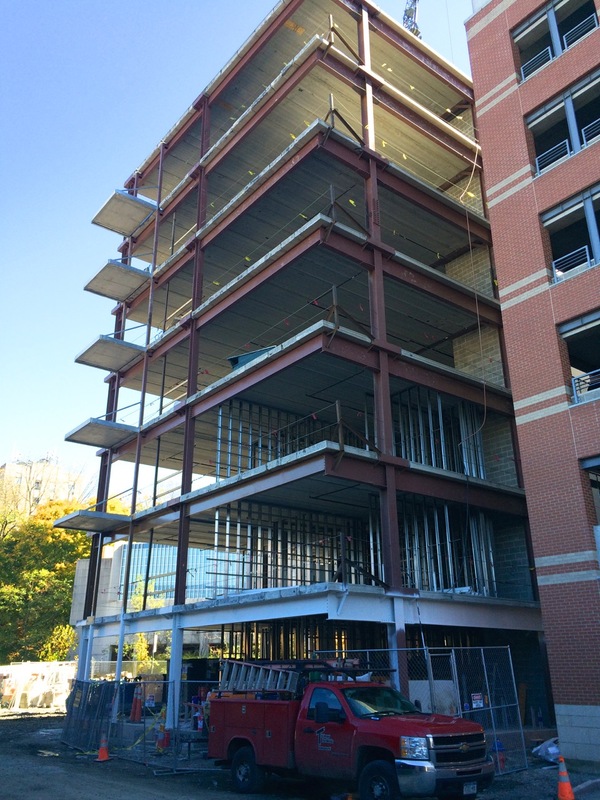 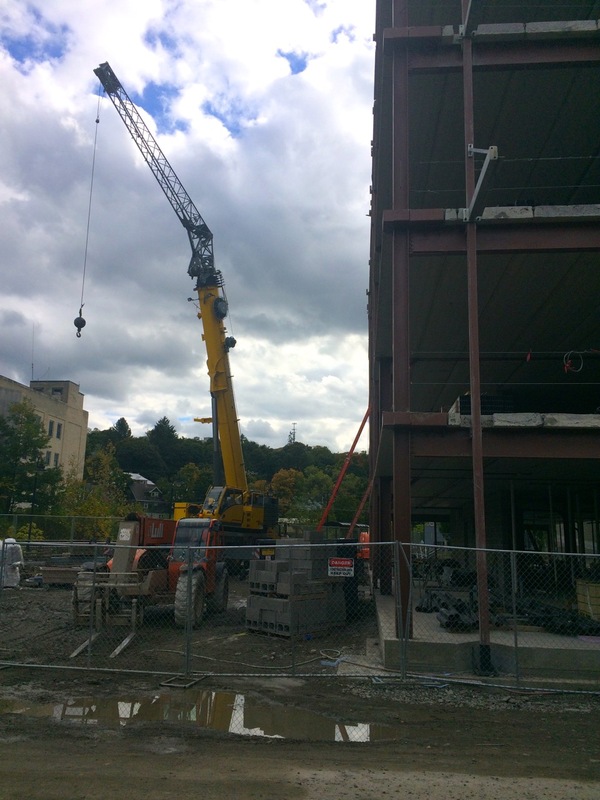 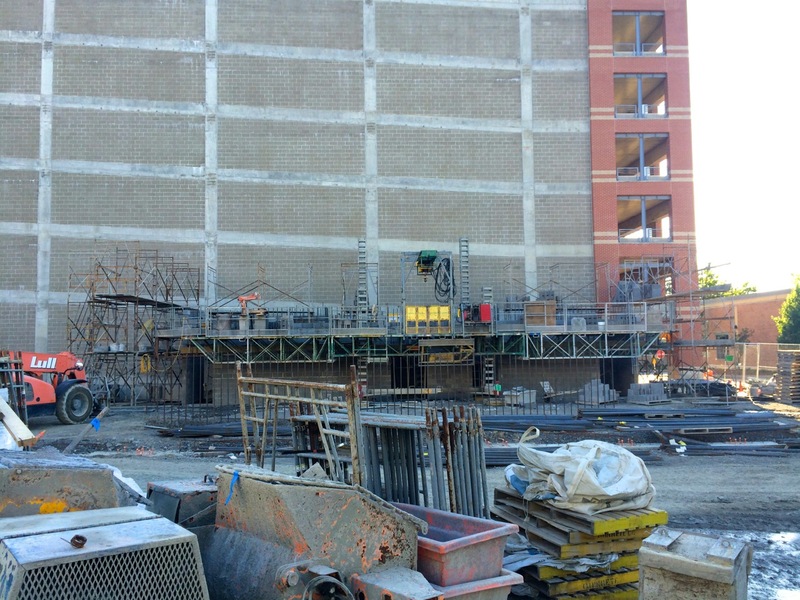 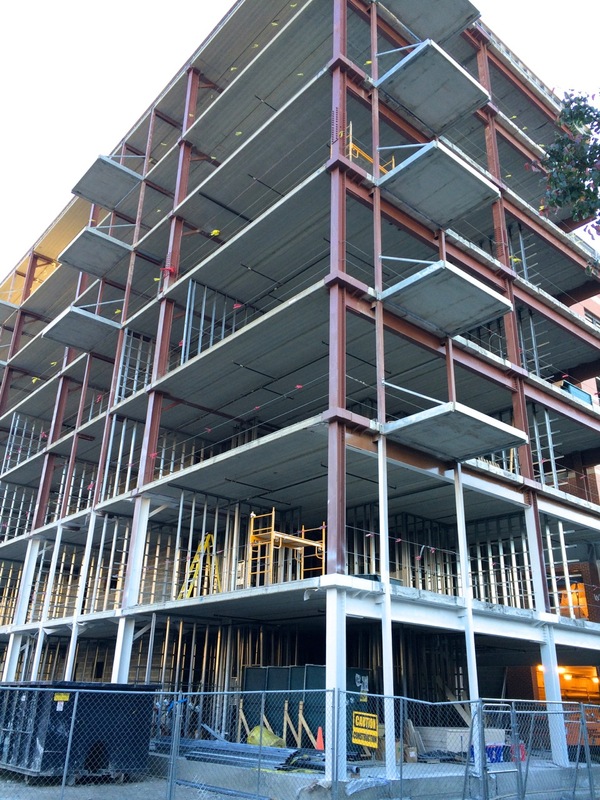 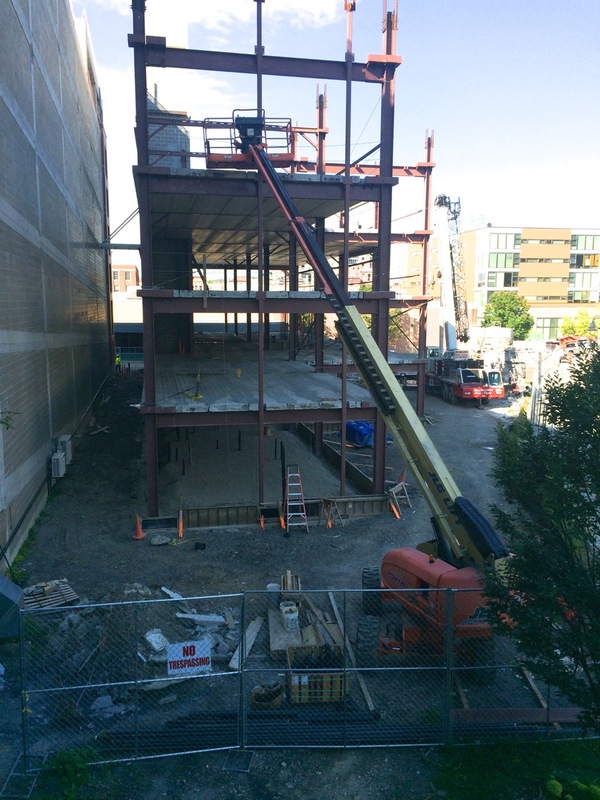 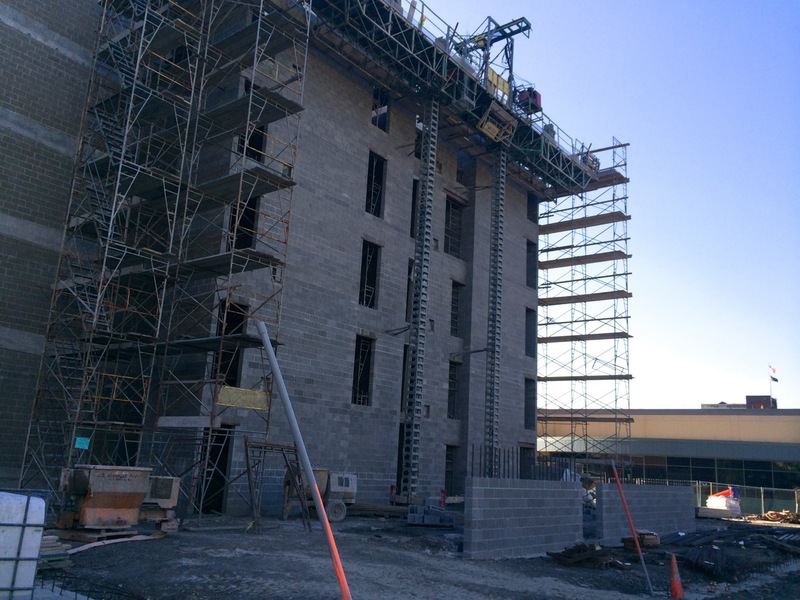 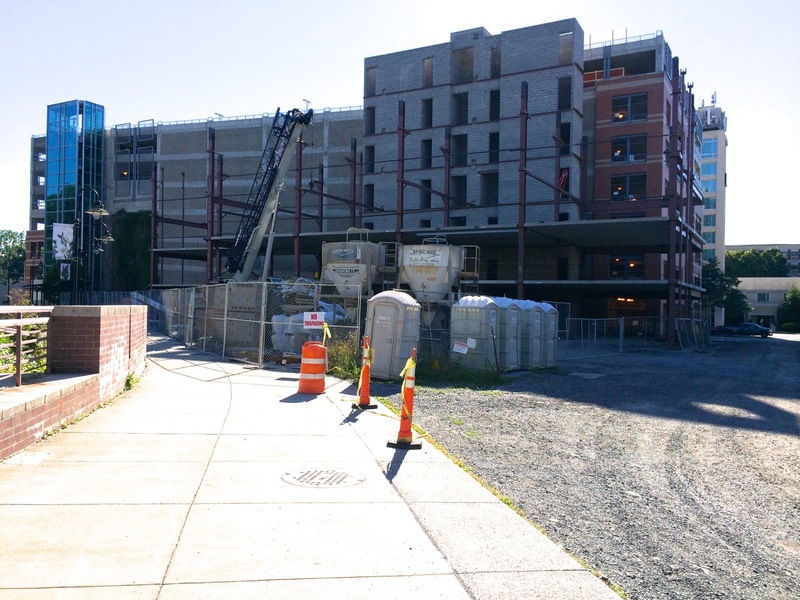 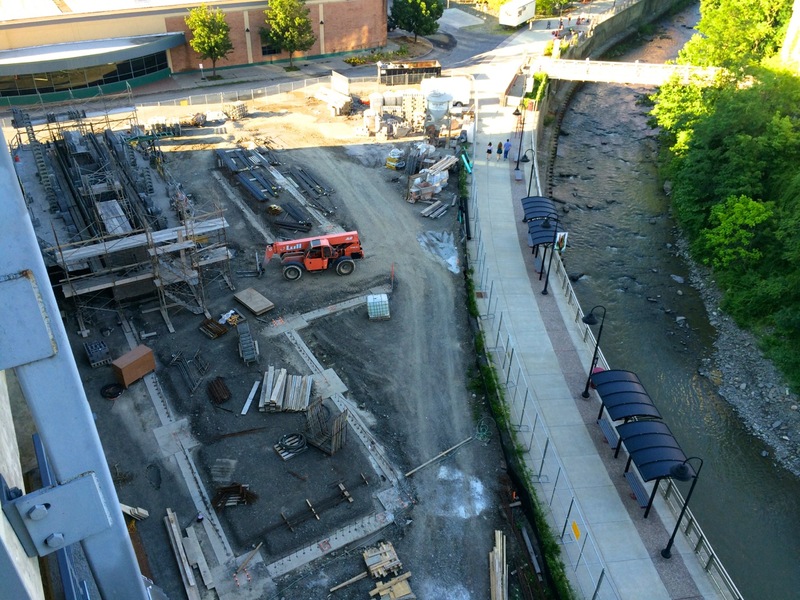 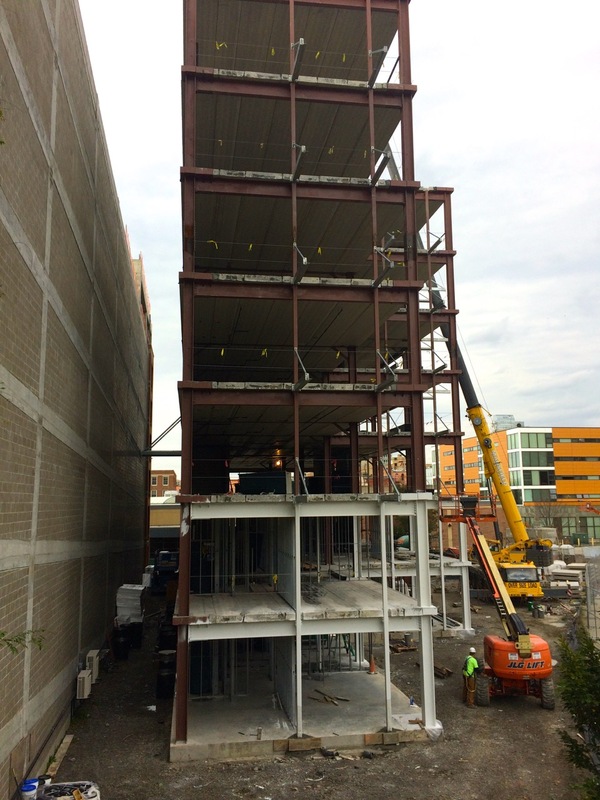 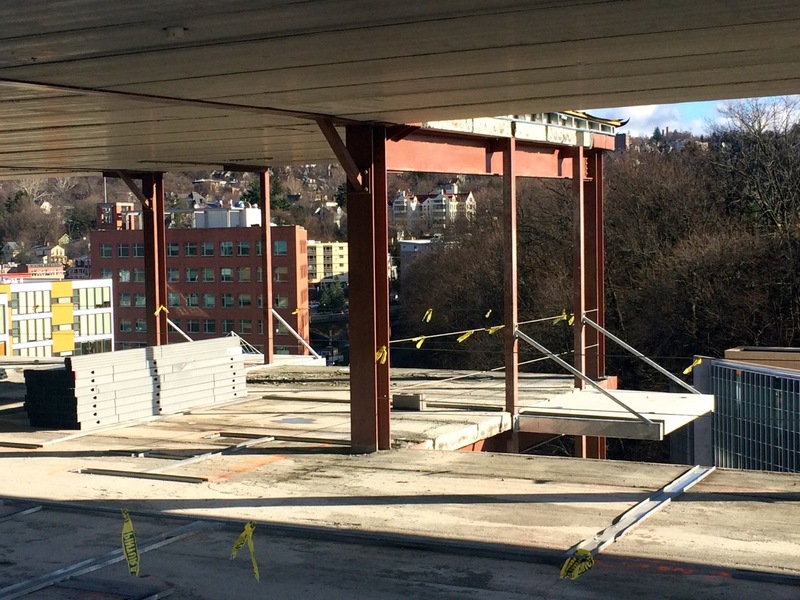 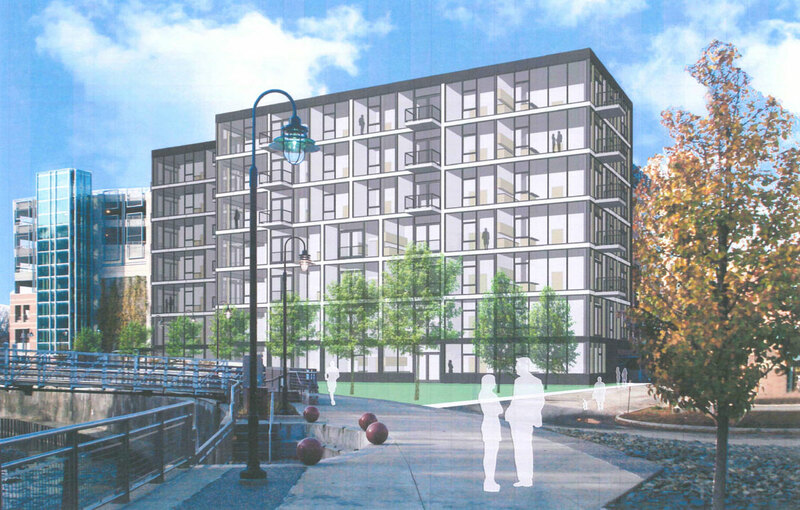 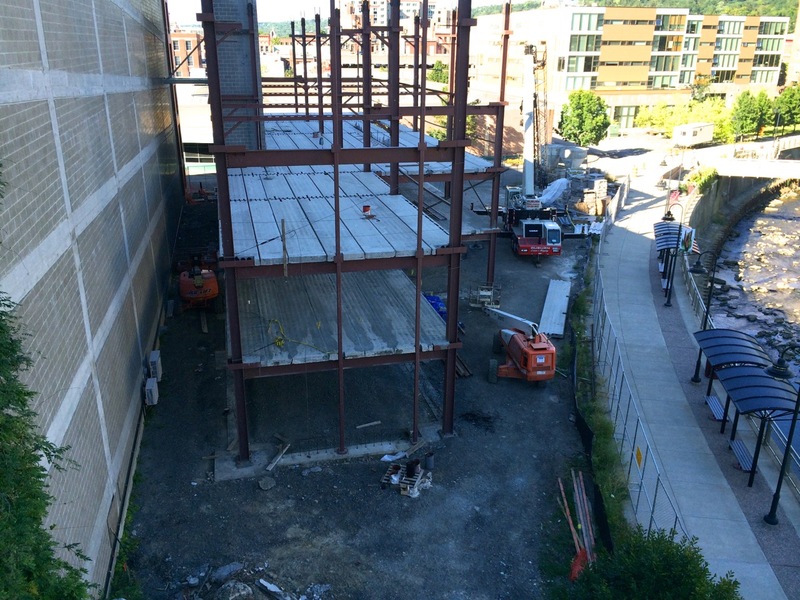 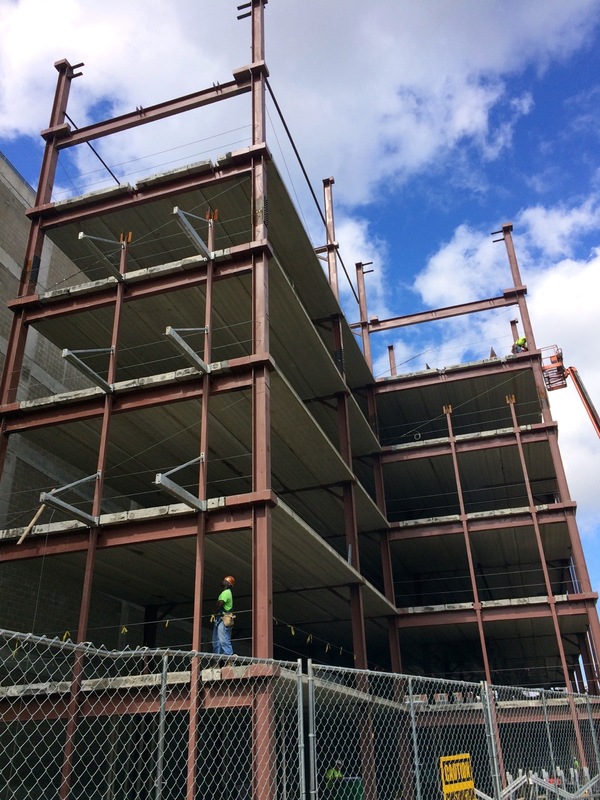 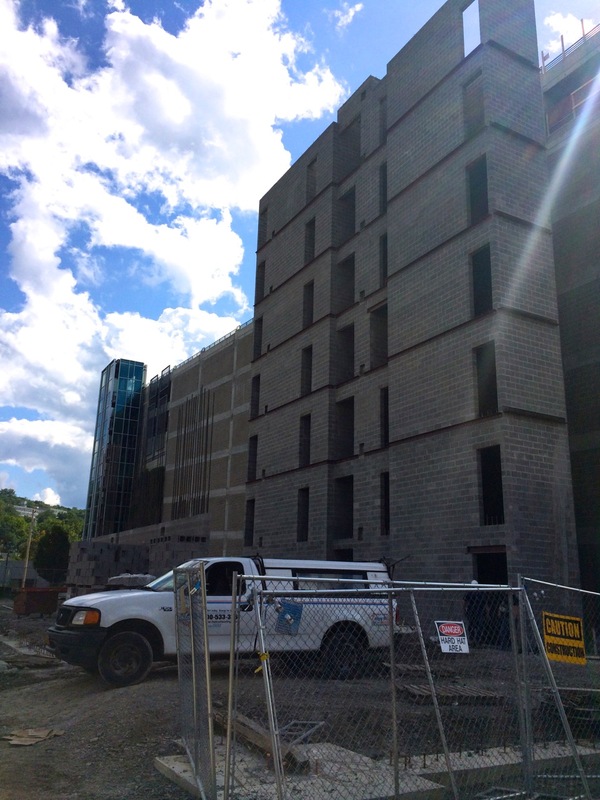 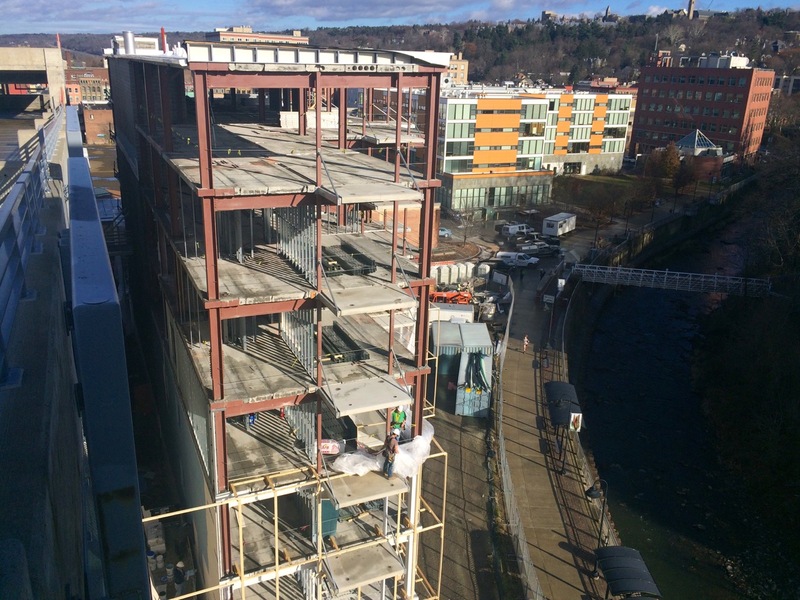 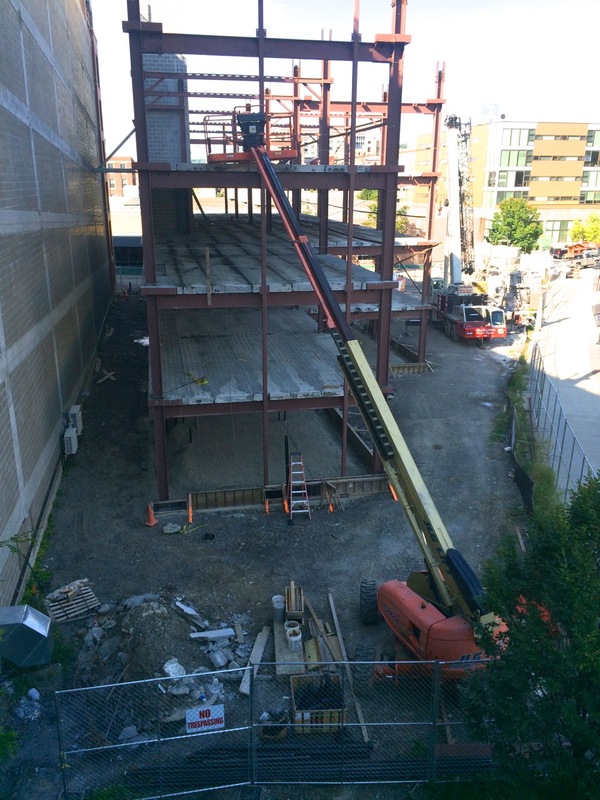 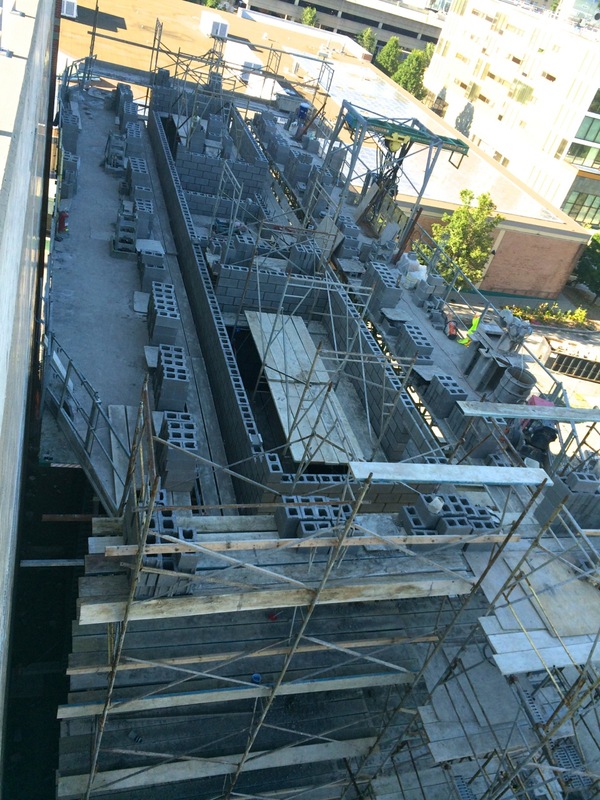 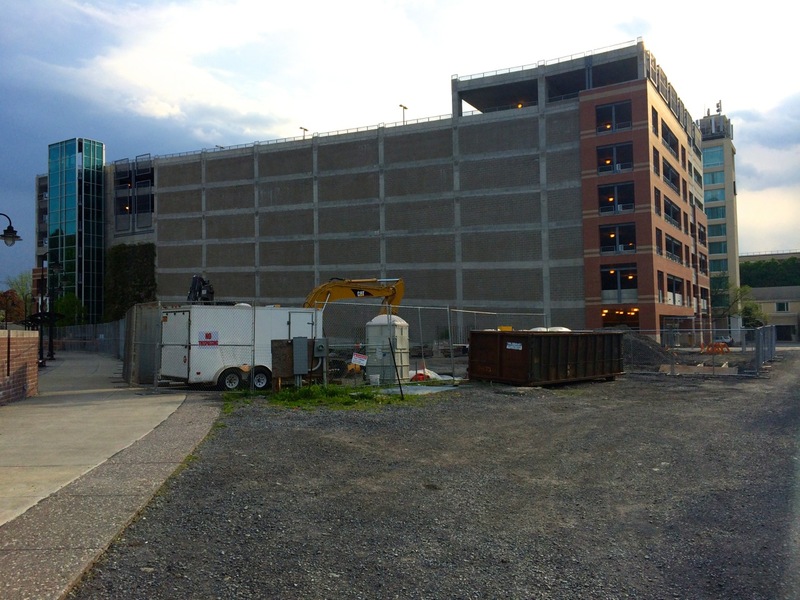 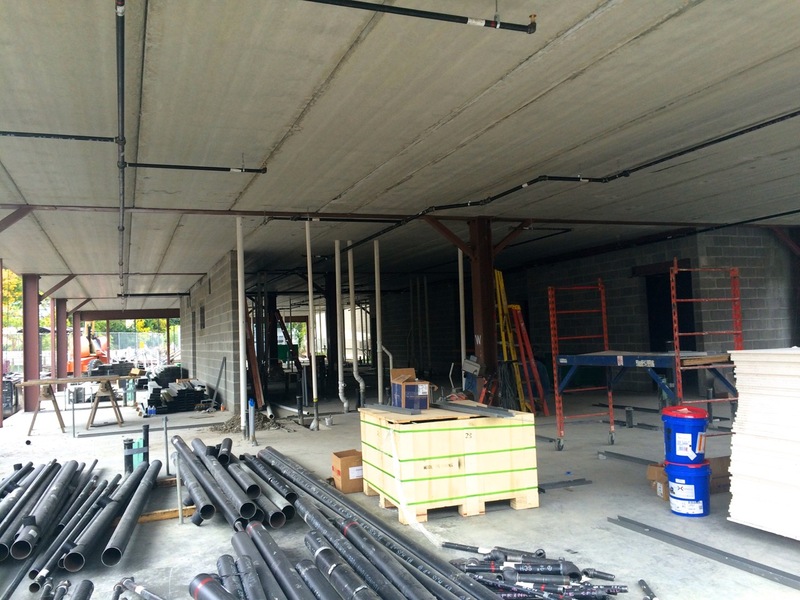 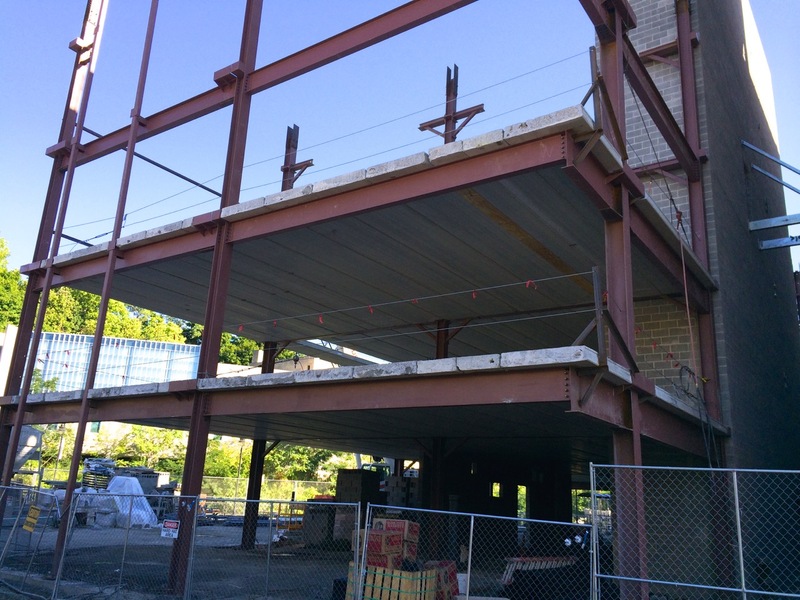 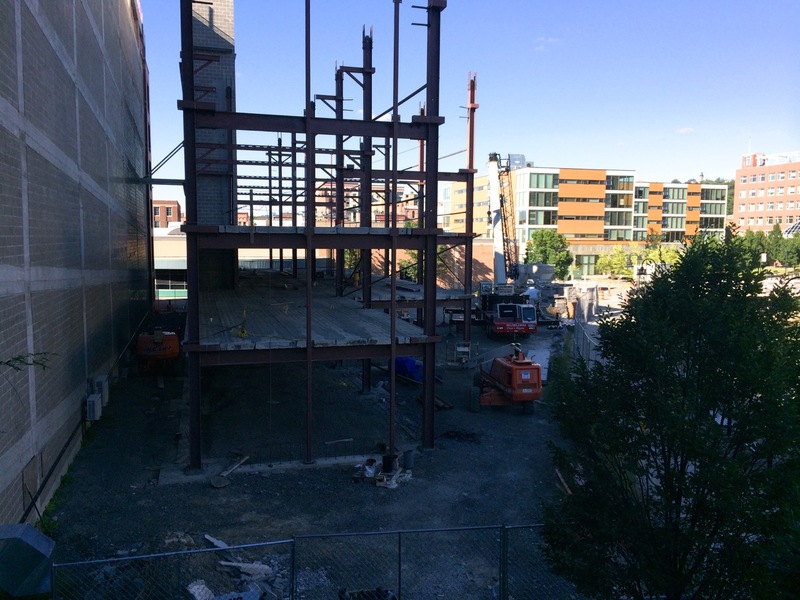 The long solid footing with the high rebar heights will be holding the stairwells, elevator shaft, and utility rooms.